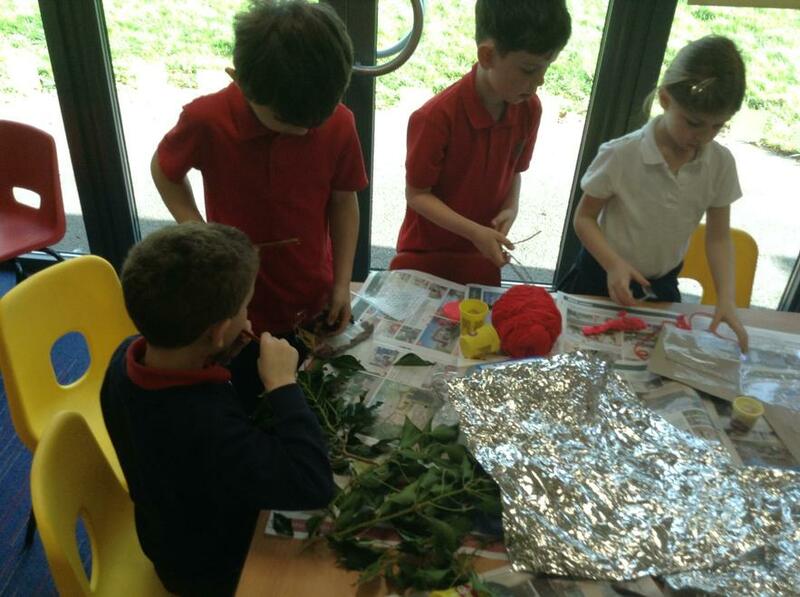 Owls have been very busy! 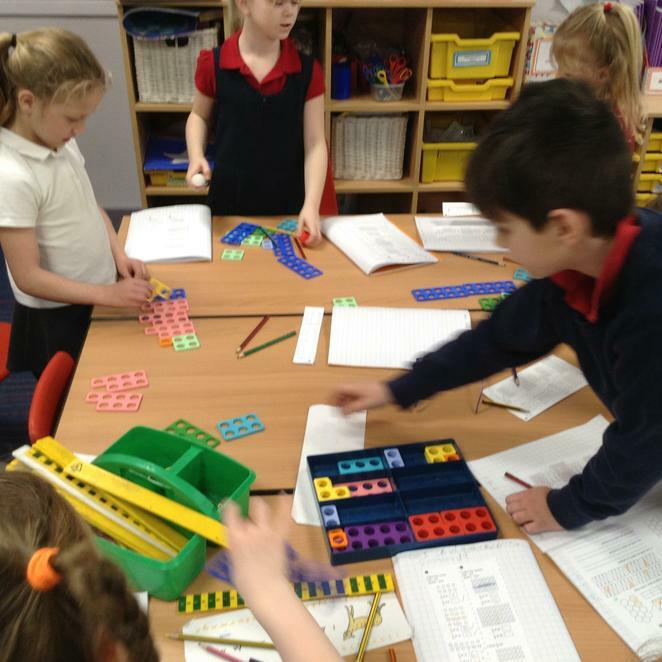 We found fractions of amounts and shapes. 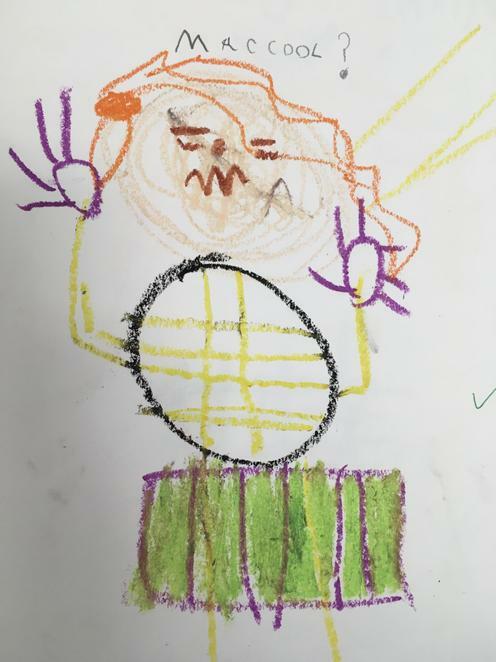 We started a new book called Beegu and we simply love it!. 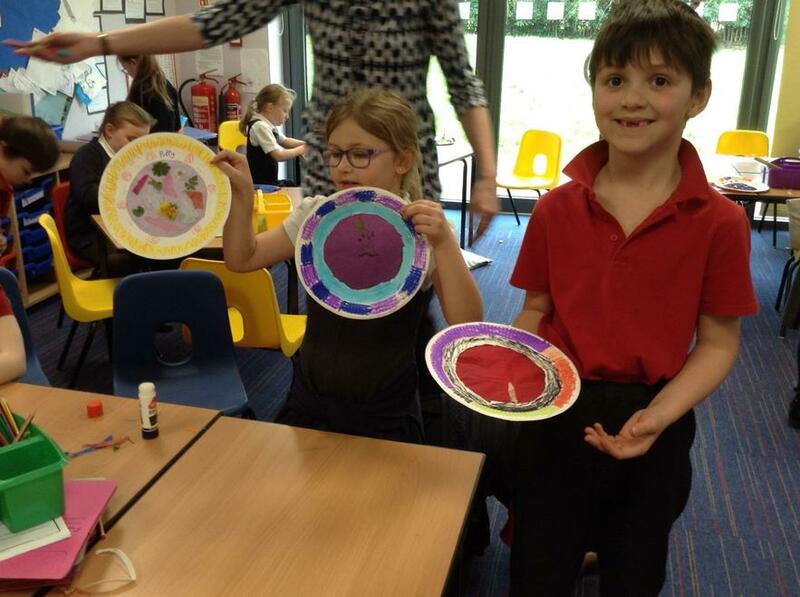 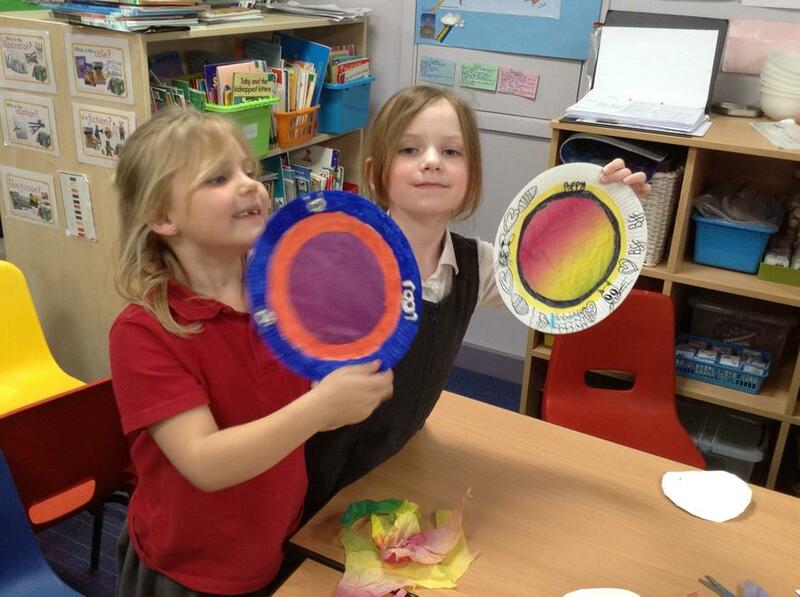 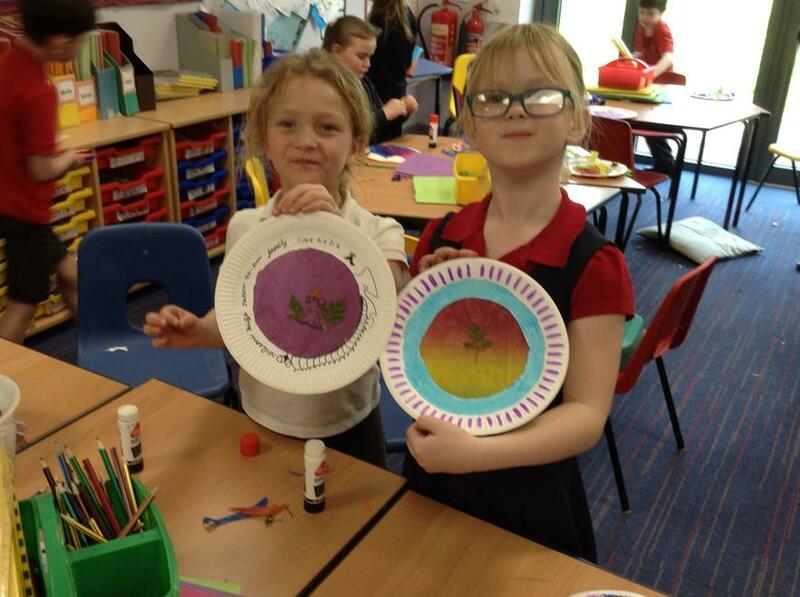 We have made posters to advertise holidays in different climate zones and we have also made suncatchers to celebrate spring. 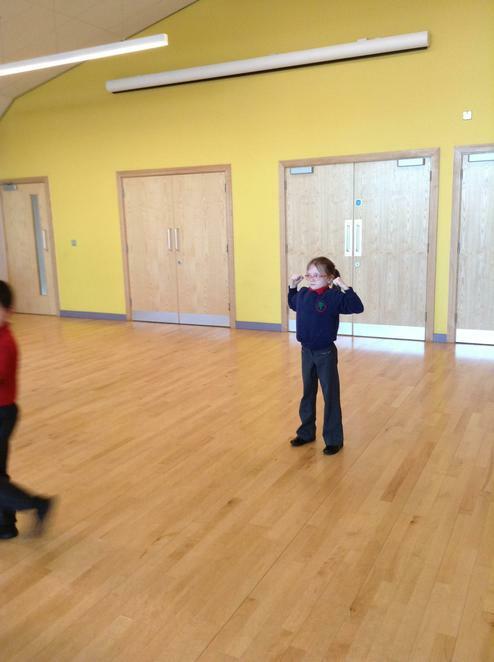 We are very good at leaving our clothes tidy when we get changed for PE! 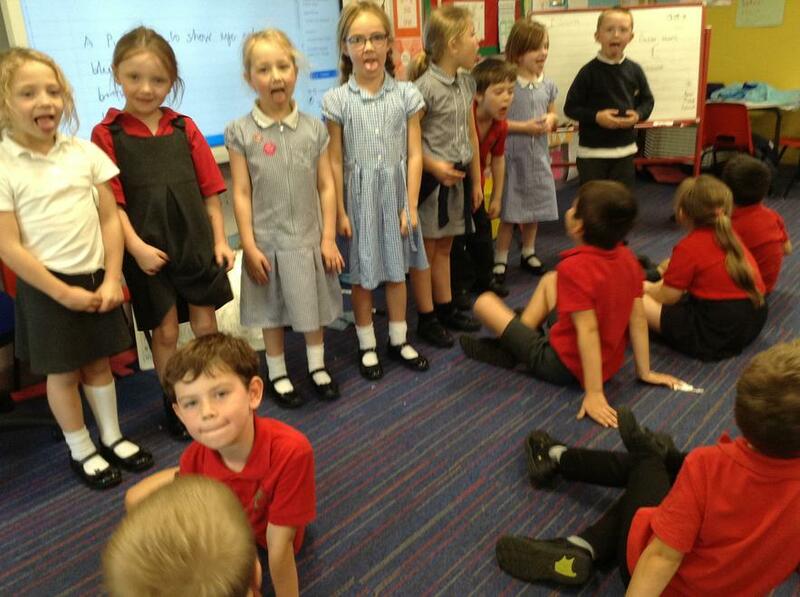 Well done to everyone for working so hard during assessment week this week! 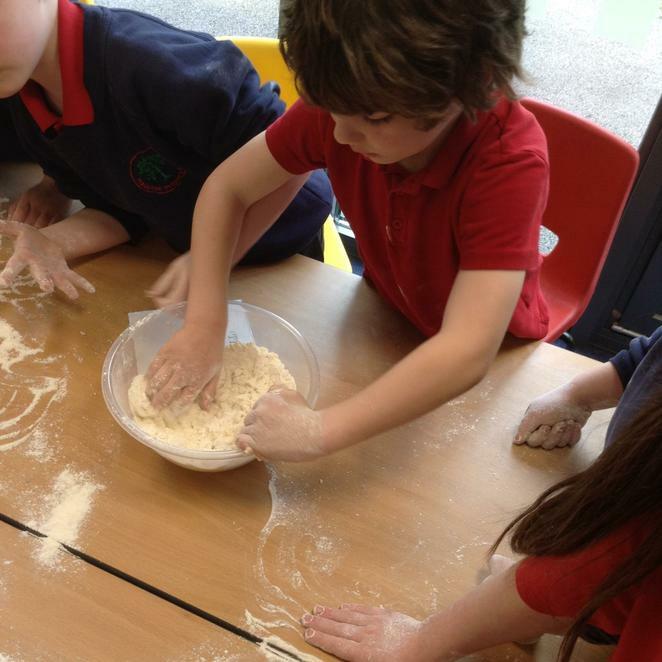 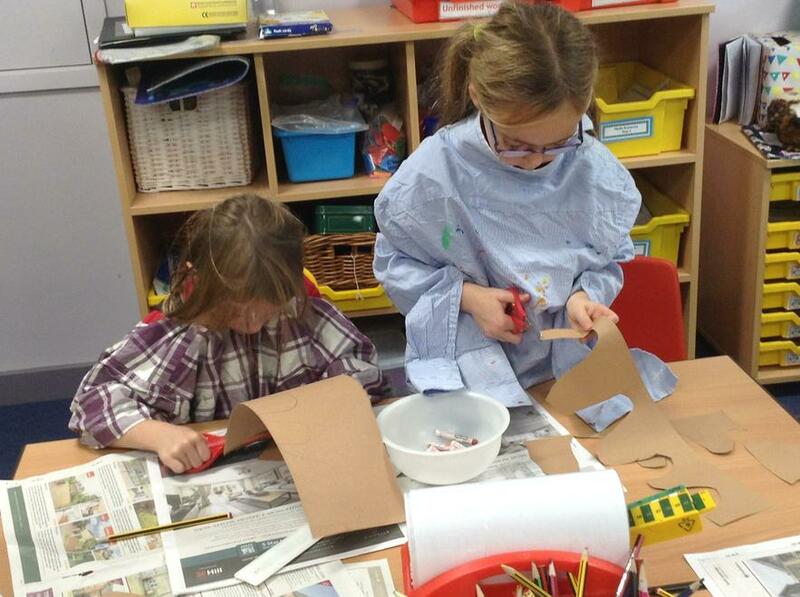 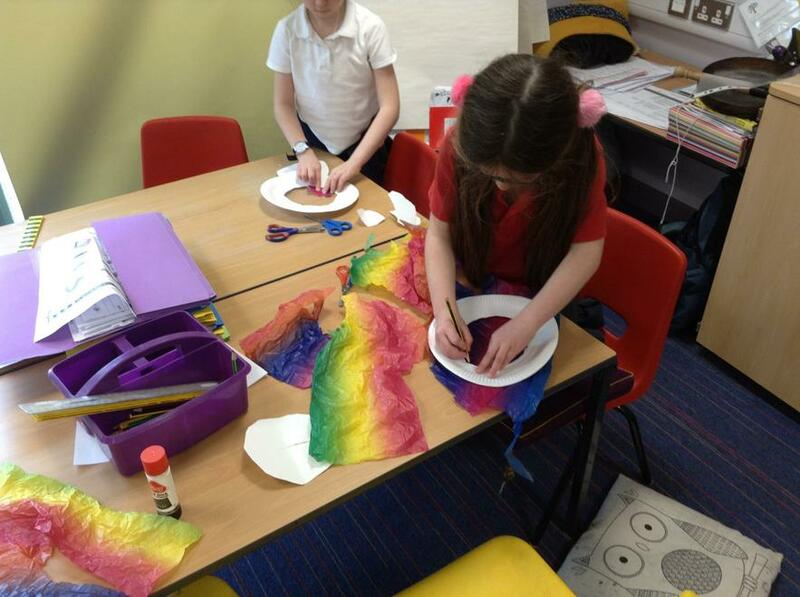 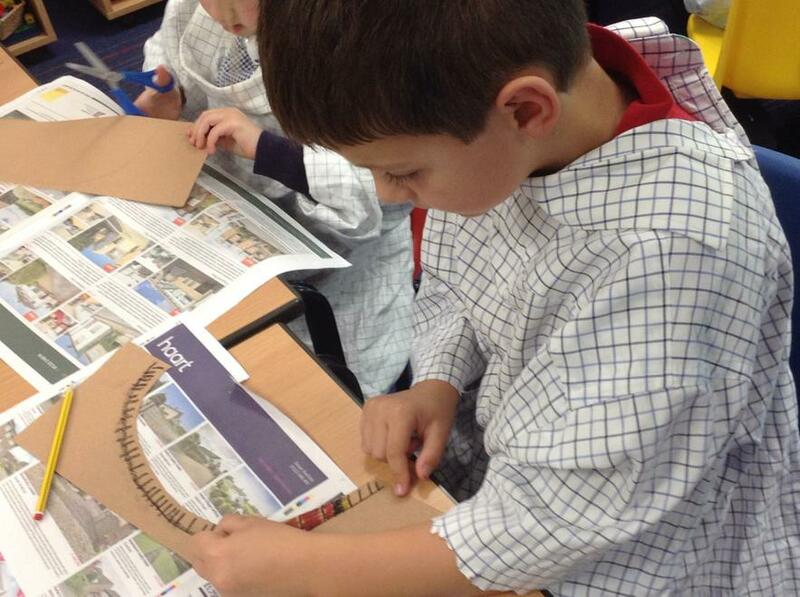 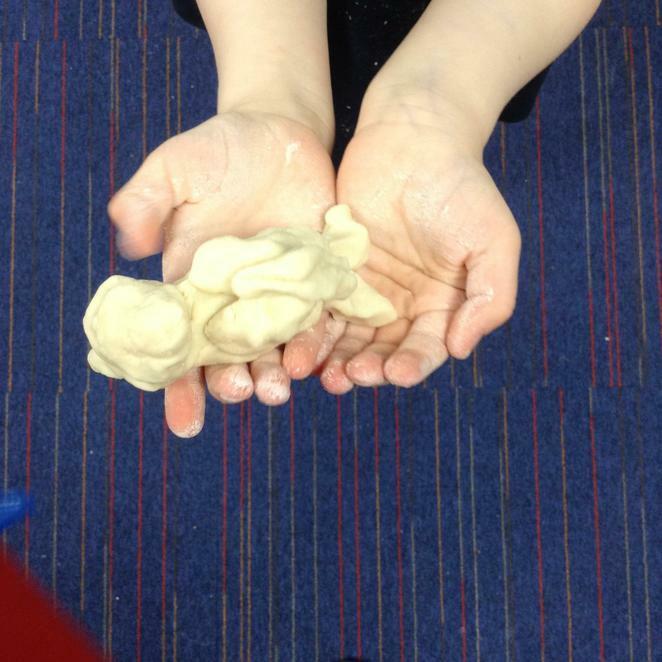 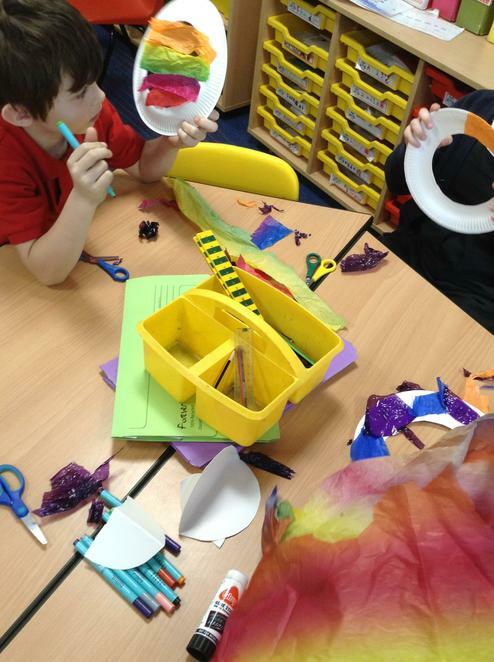 This week is World Book Week and Owls had lots of fun. 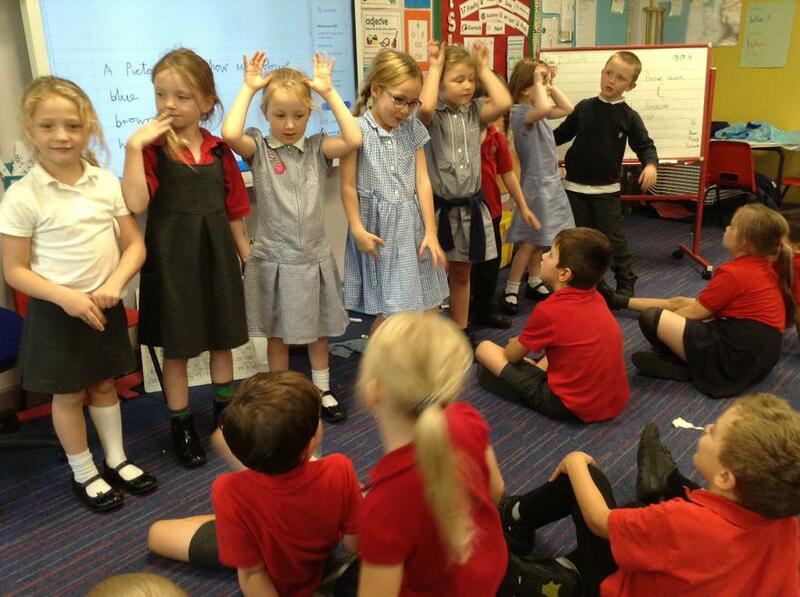 We took part in a book quiz and enjoyed answering questions about our favourite books and stories. 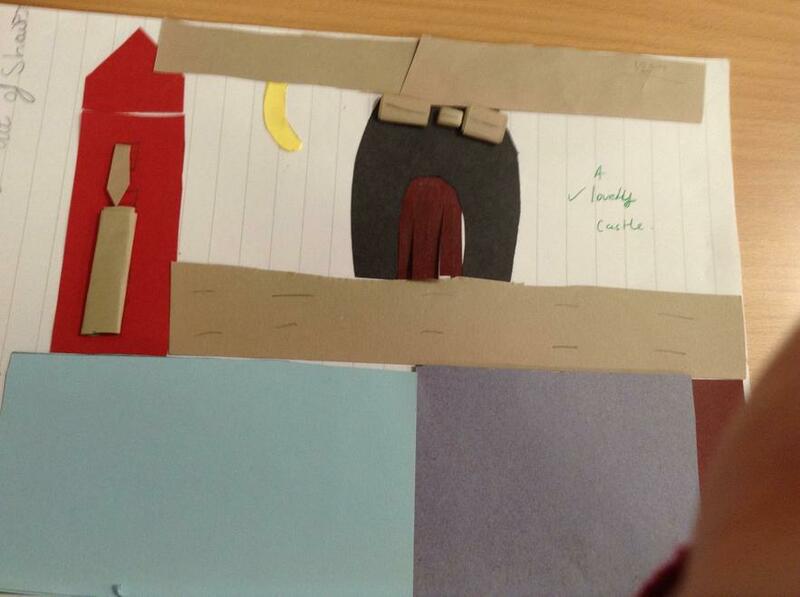 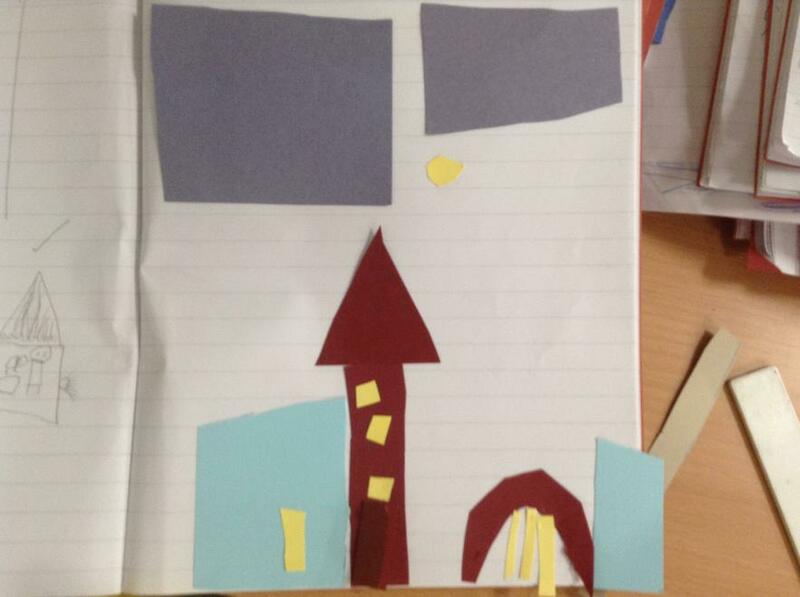 On Tuesday we designed our own book covers for our favourite books and wrote and exciting blurb. 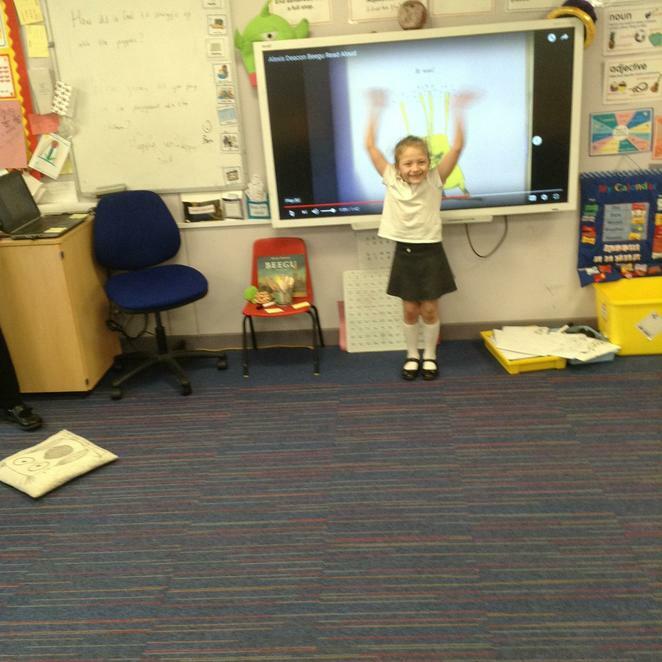 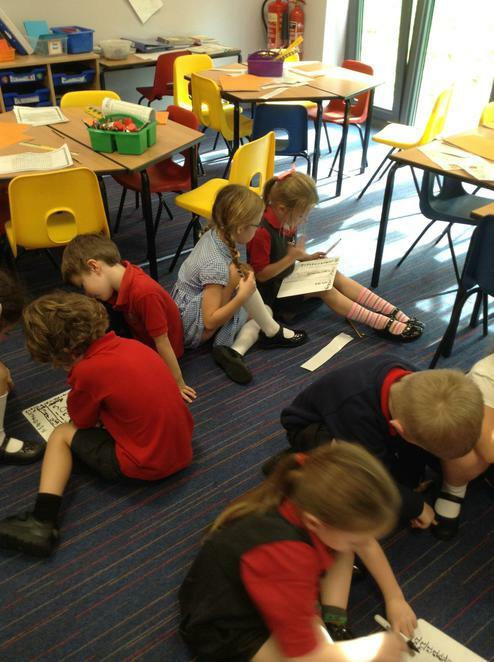 We wrote traditional stories with a twist and dressed up as our favourite words! 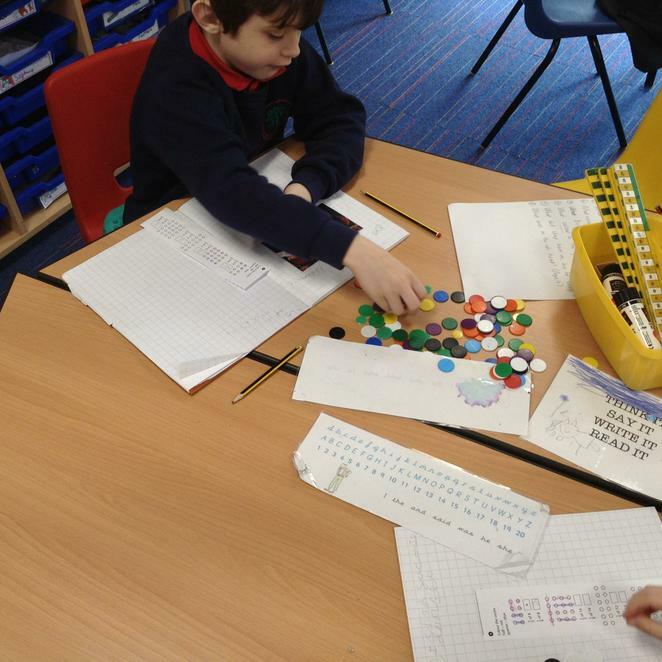 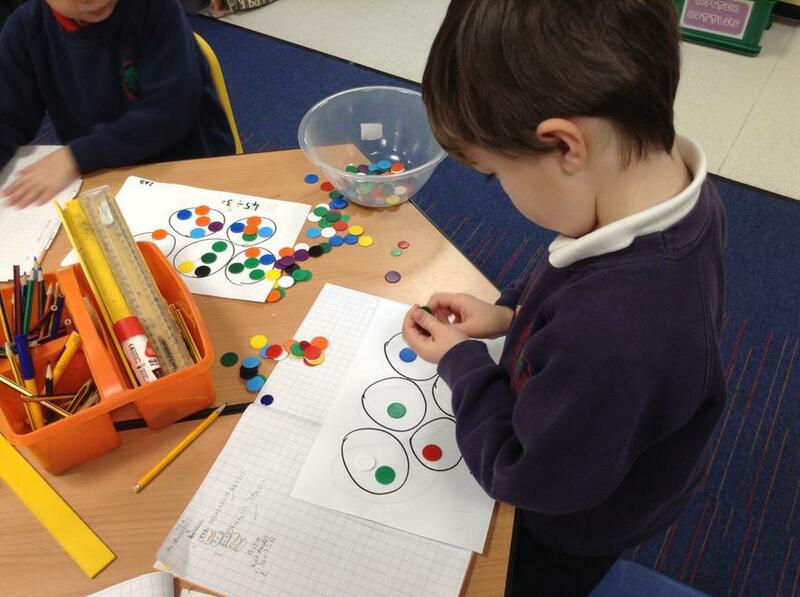 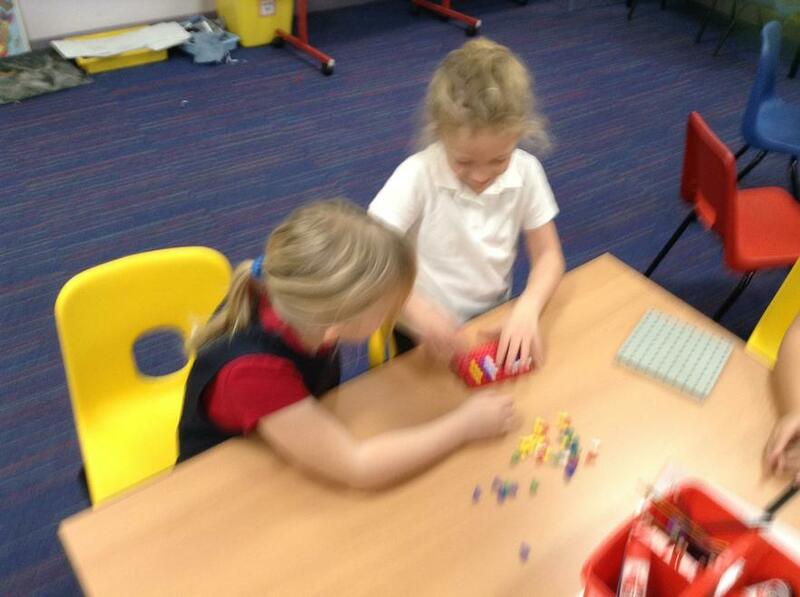 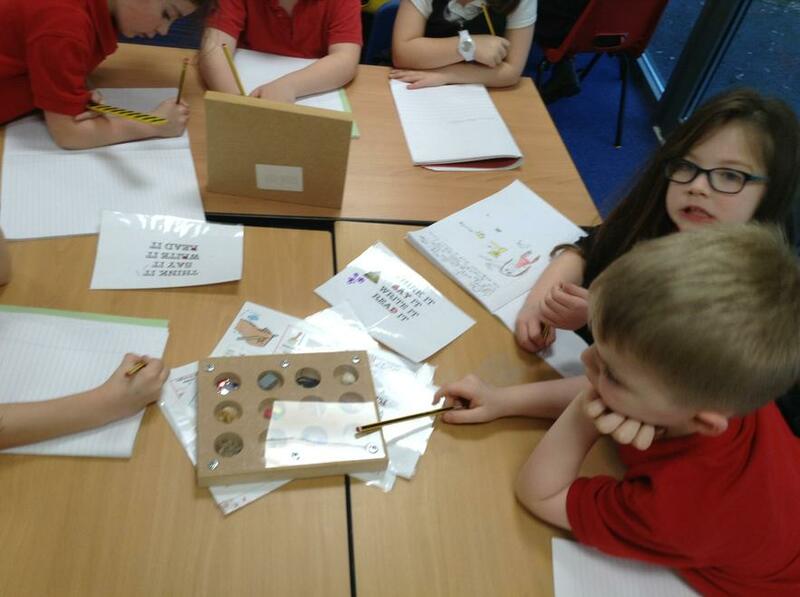 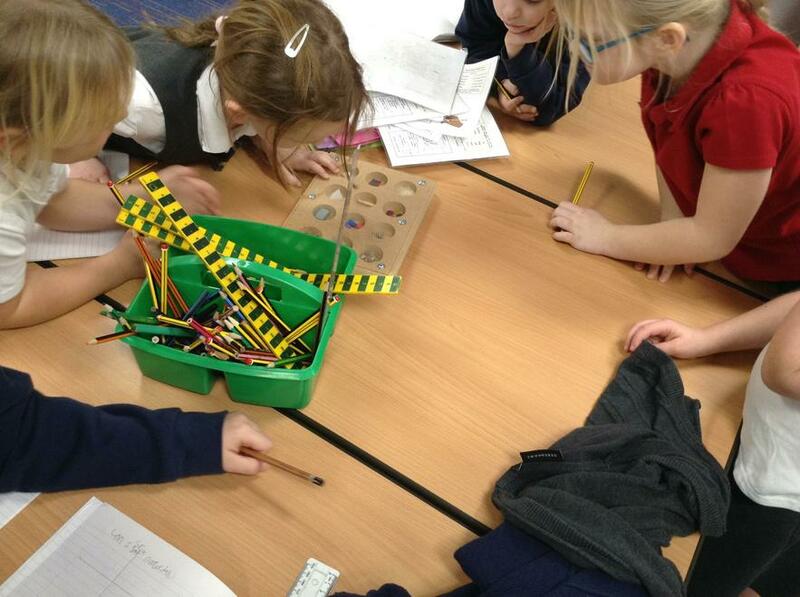 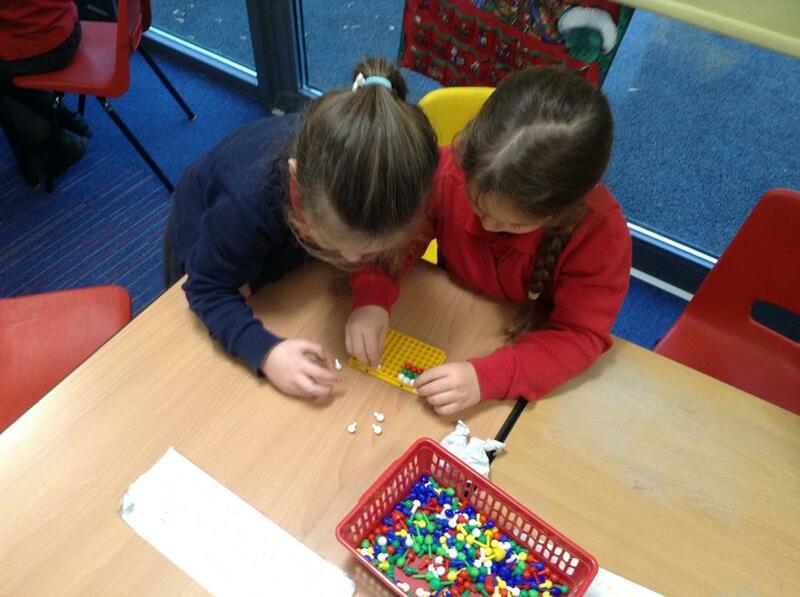 In Maths we did some shopping and we had to find change. 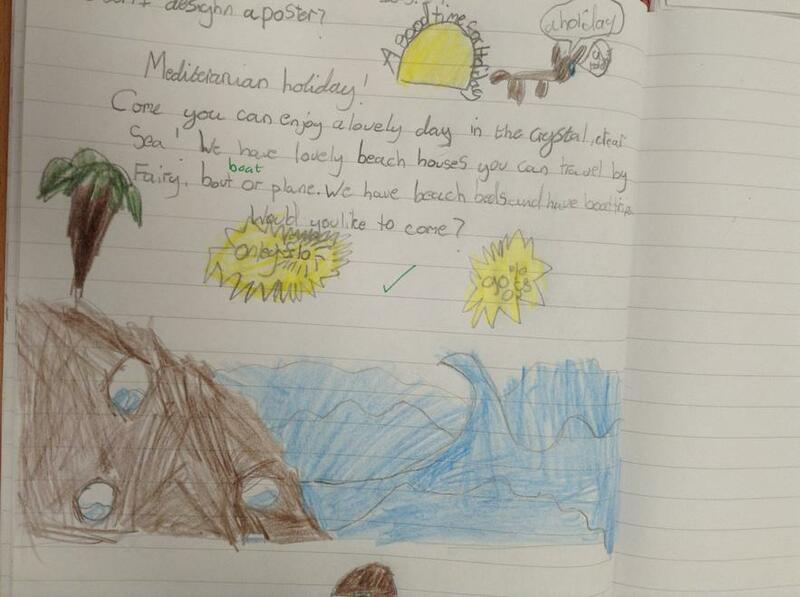 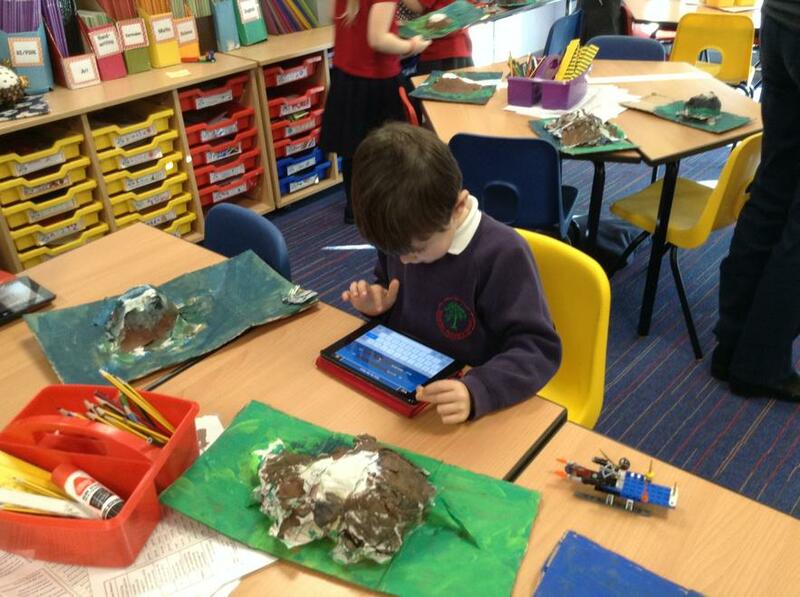 In Topic we researched different climate zones and we were surprised to find out that you get sand storms in deserts. 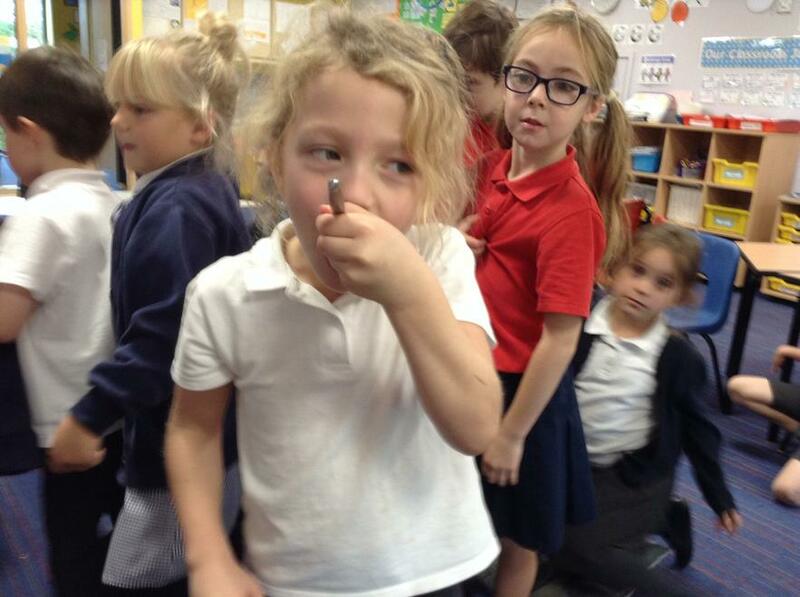 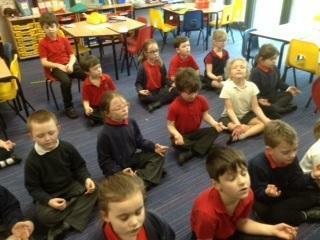 We practised some mindfulness inspired by our Buddhist unit in R.E. 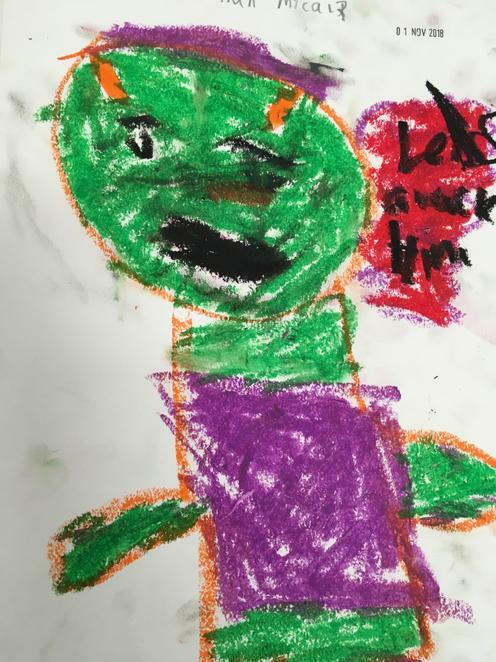 Welcome back everybody! 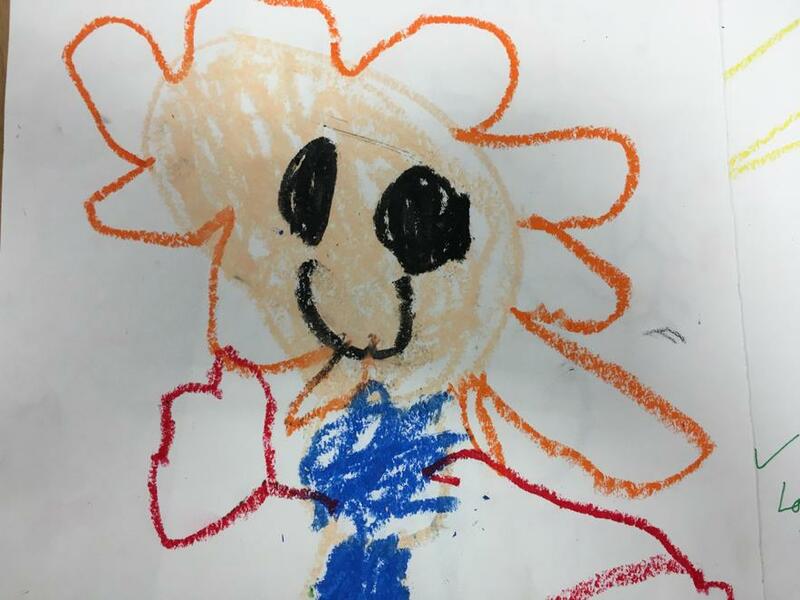 Hope you all had a restful and fun-filled holiday! 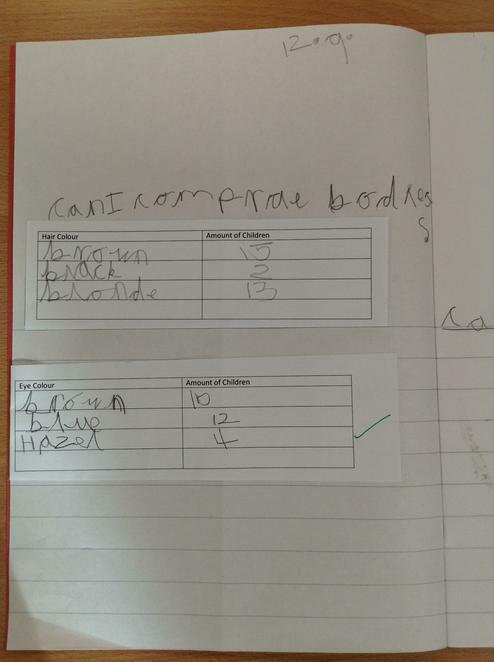 Here are your Learn by Hearts for this half-term. 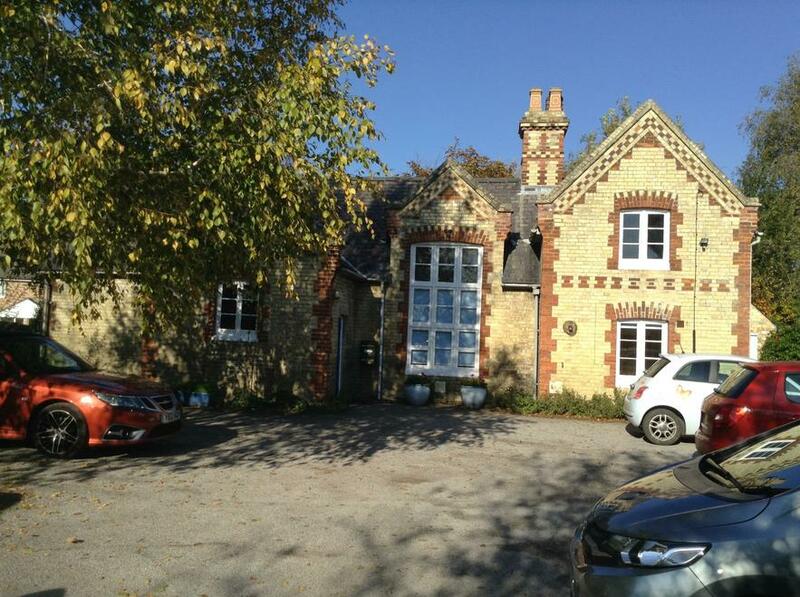 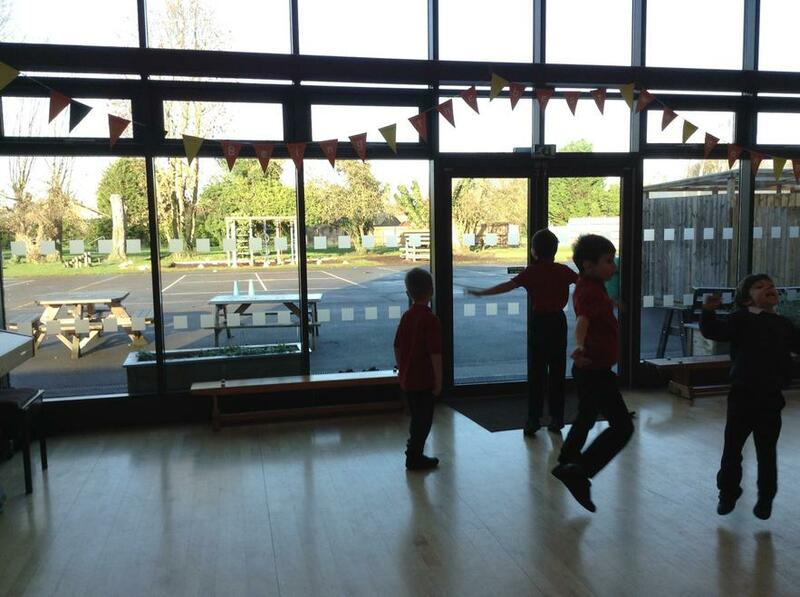 It hardly feels like we have been back for long and already half-term is looming ahead! 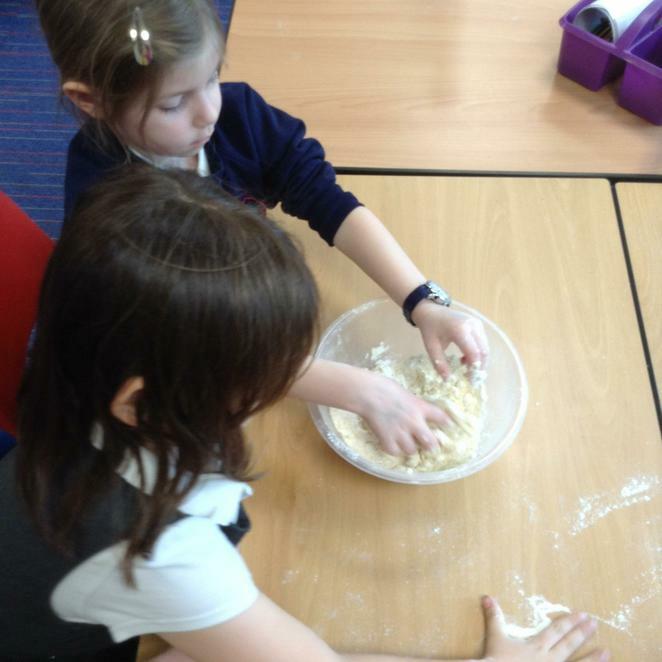 We have been extremely busy over the last few weeks and we are excited to share our learning with you in our Assembly on Friday 15th February. 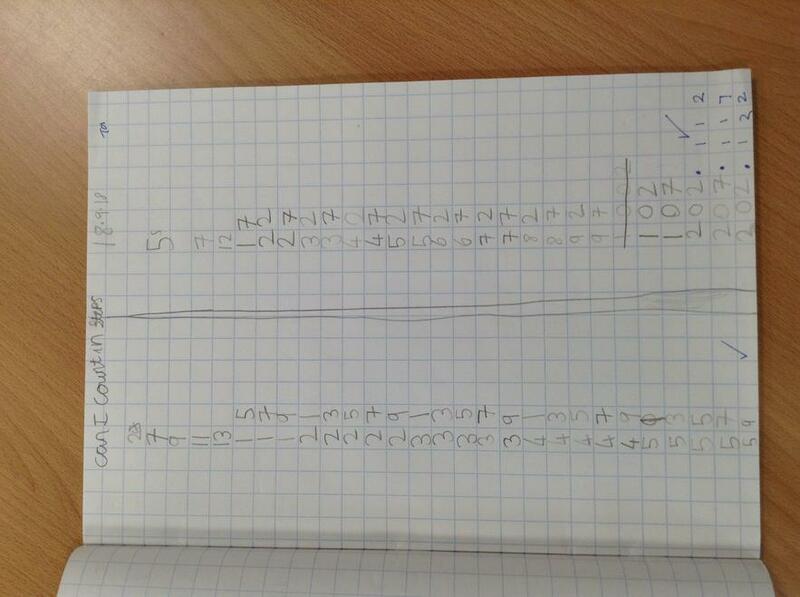 We are coming to end of learning about time in Maths. 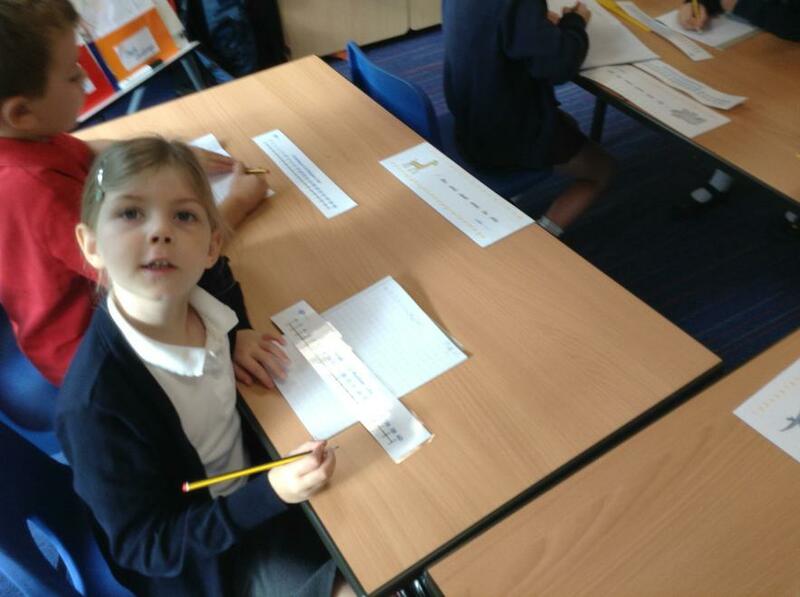 It is a tricky subject so any practice at home would help (Year 1 at o'clock and half past and Year 2 at o'clock, half past, quarter to, quarter past and at five minute intervals if you really want a challenge...). 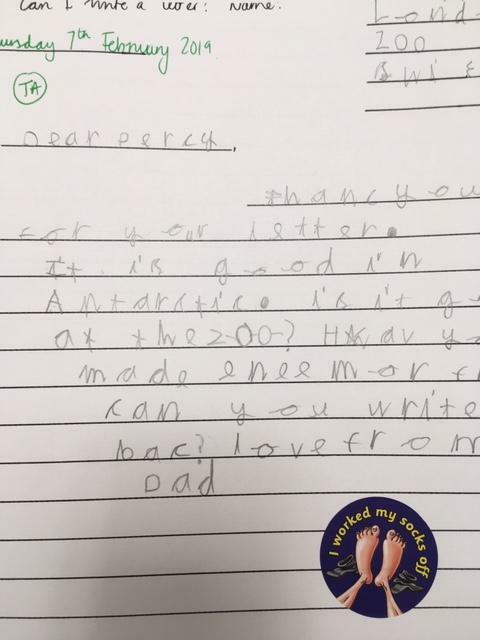 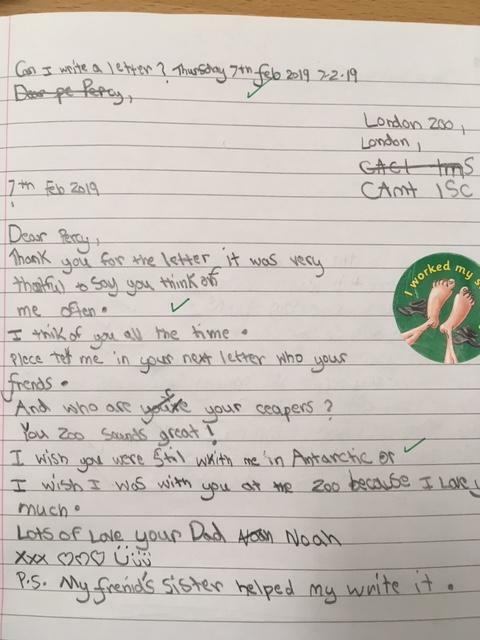 In English, we have been writing letters to zoos asking for a special animal pet and we have replied to letters written to us by zoo animals. 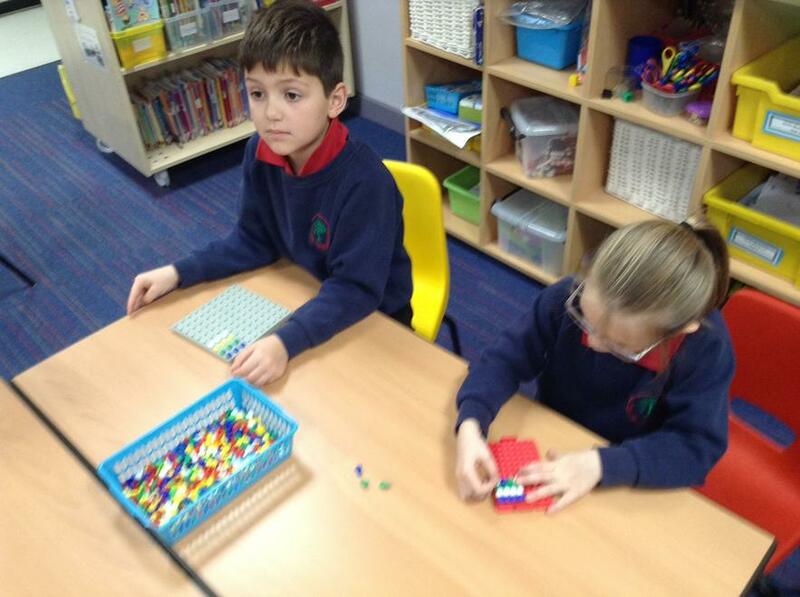 We have started an exciting new unit in English about instructions. 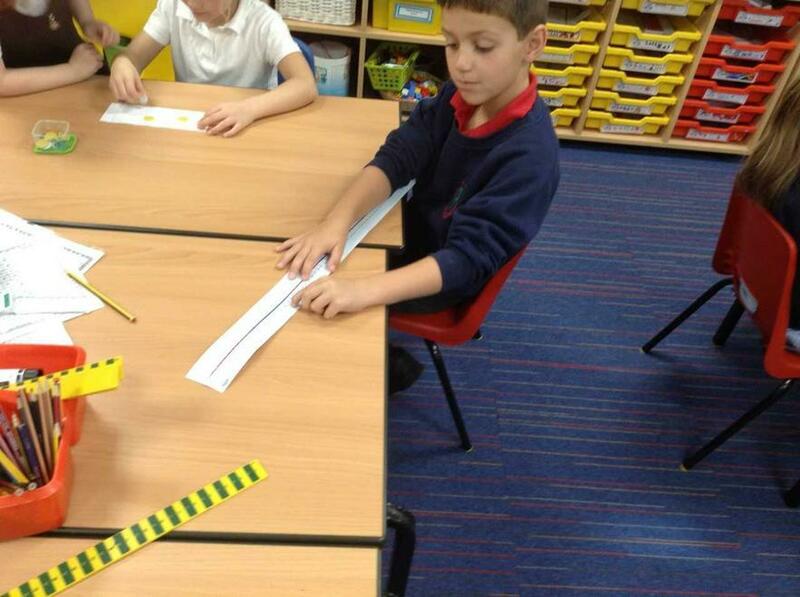 We have been reading instructions and following instructions, next we will write some instructions! 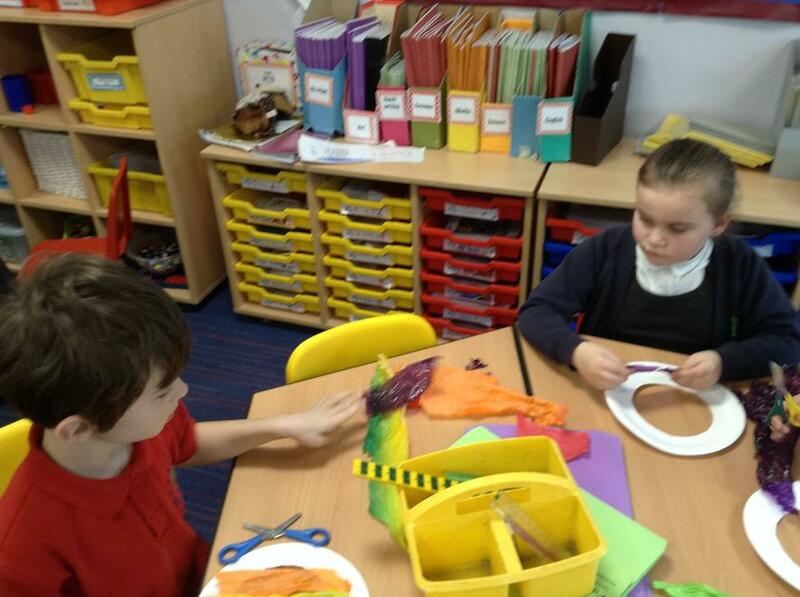 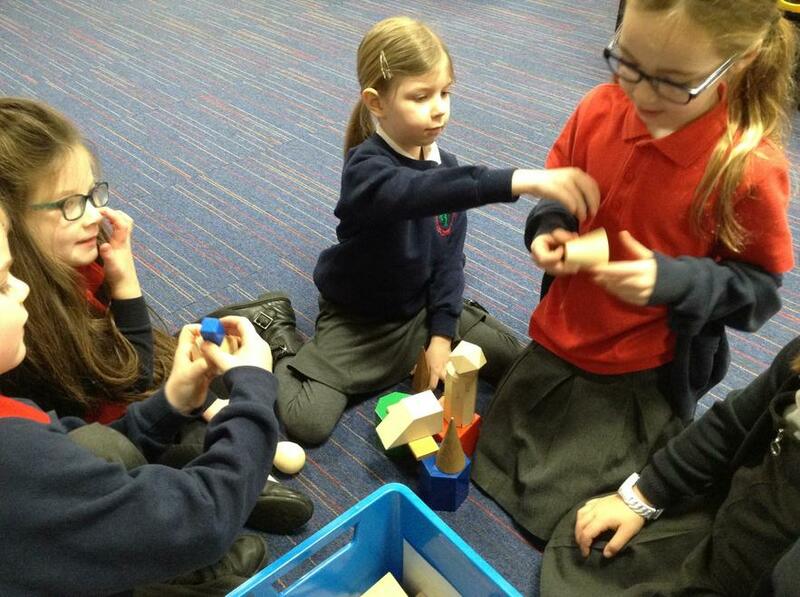 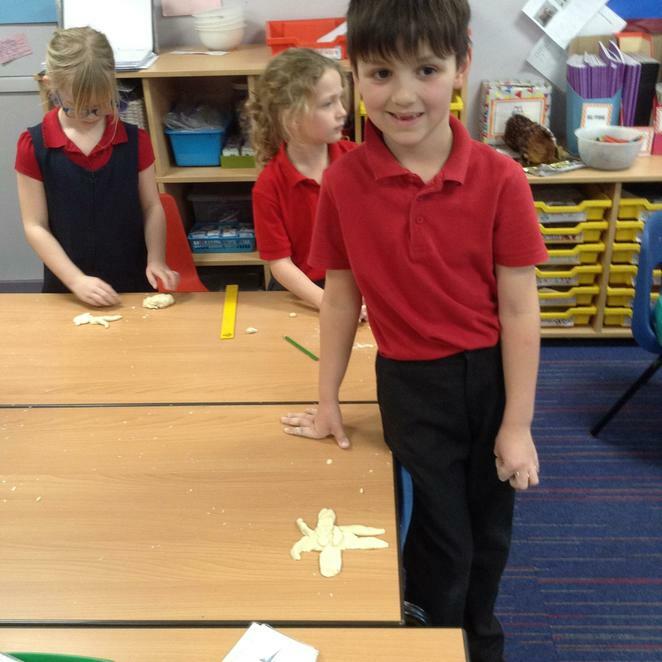 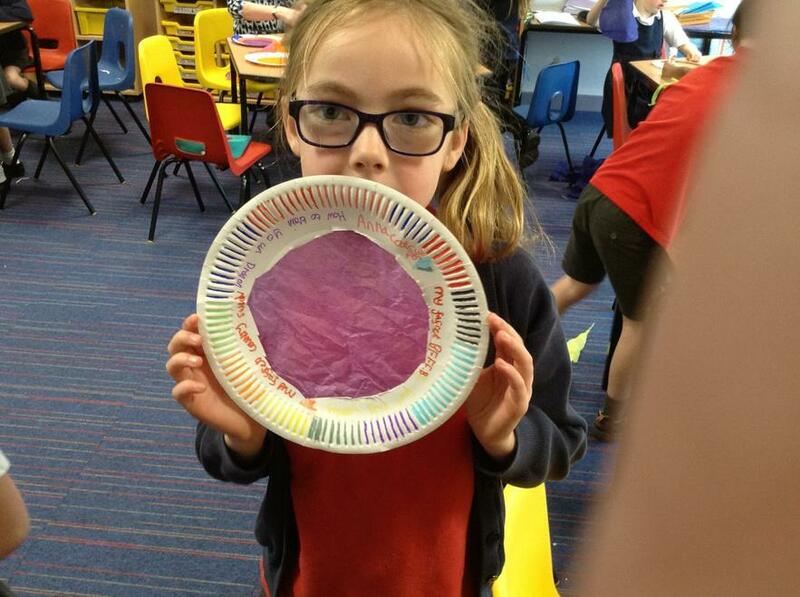 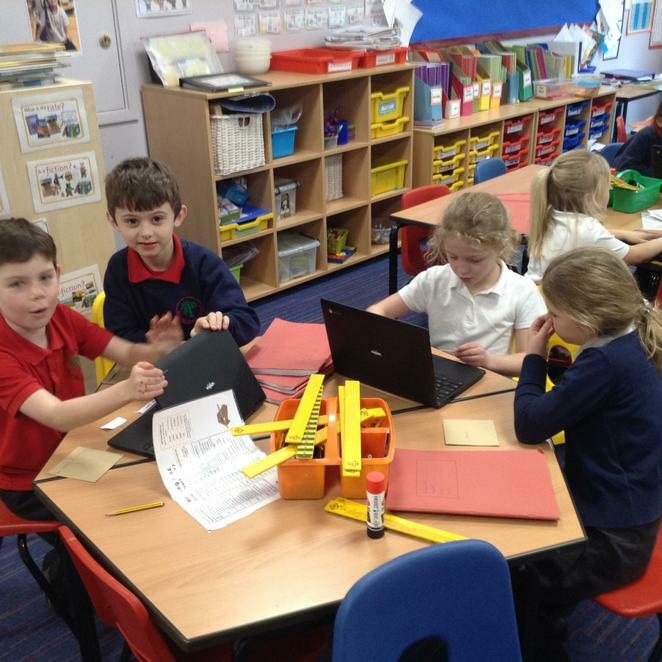 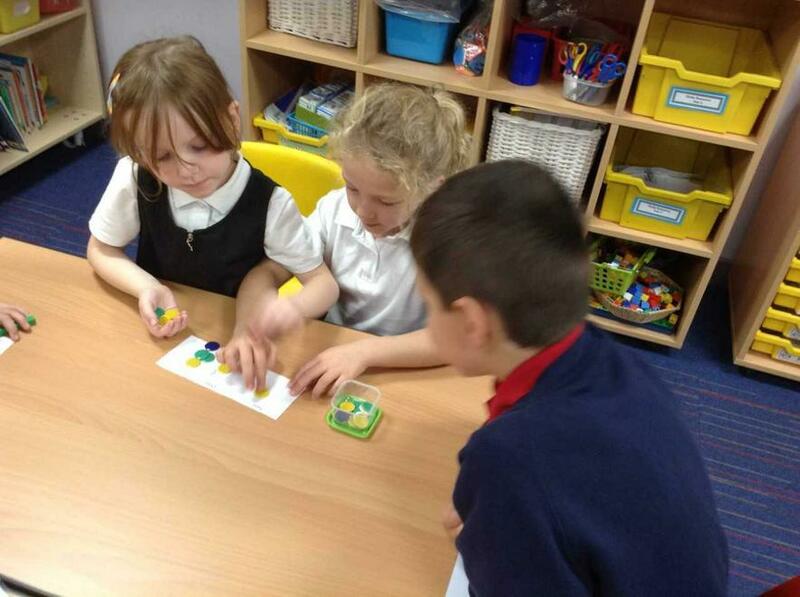 In Maths we have been learning about 2D and 3D shapes. 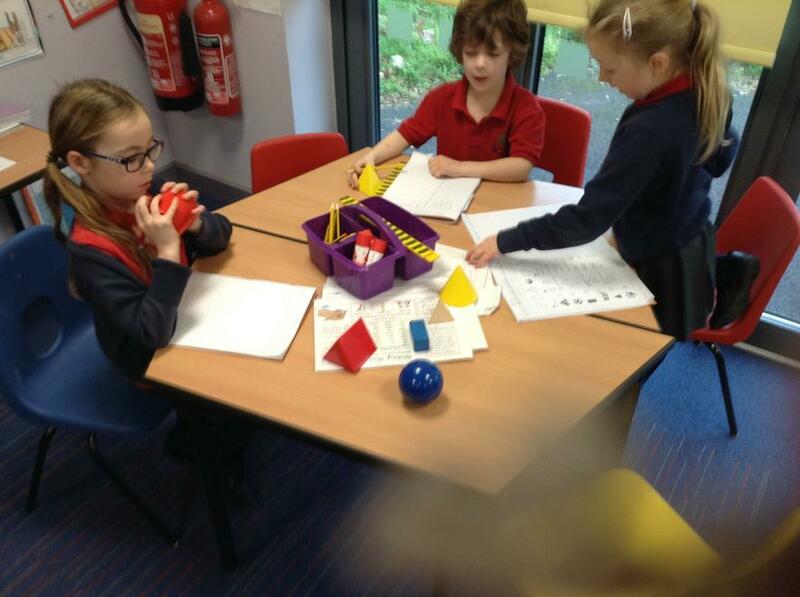 We named different shapes and described their properties. 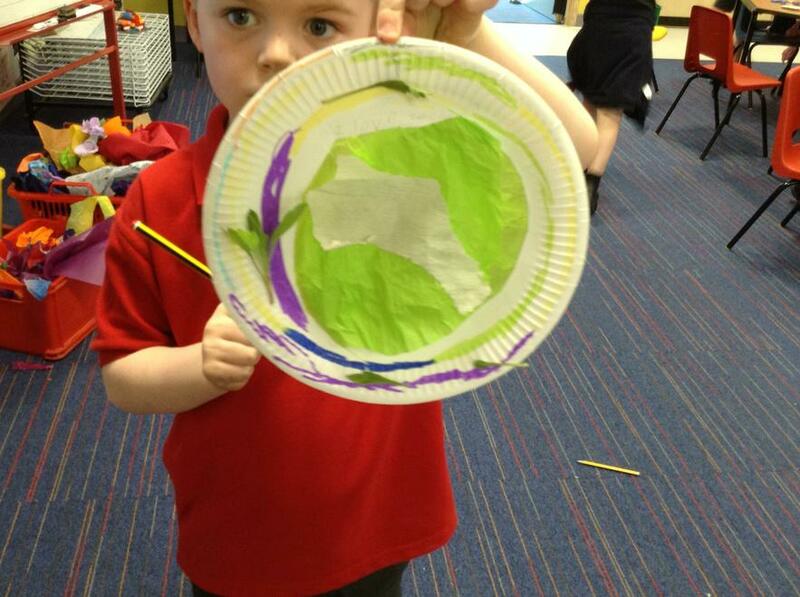 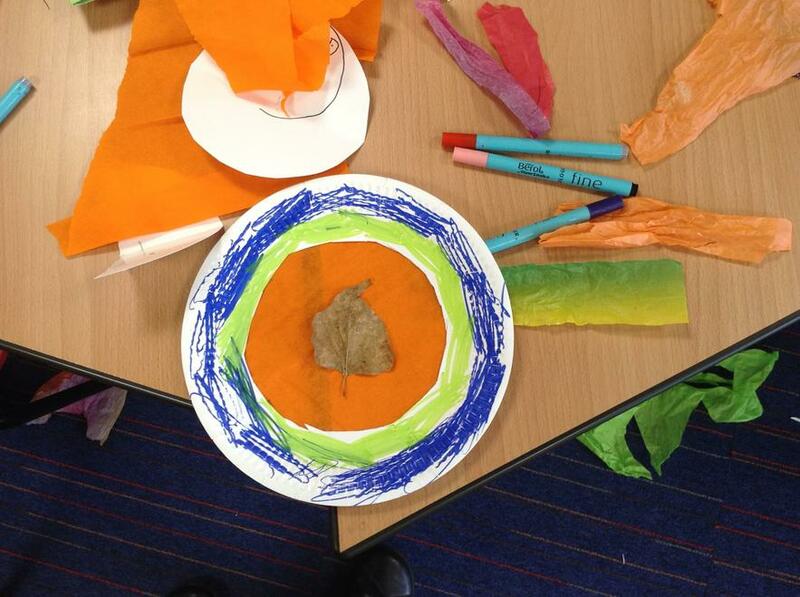 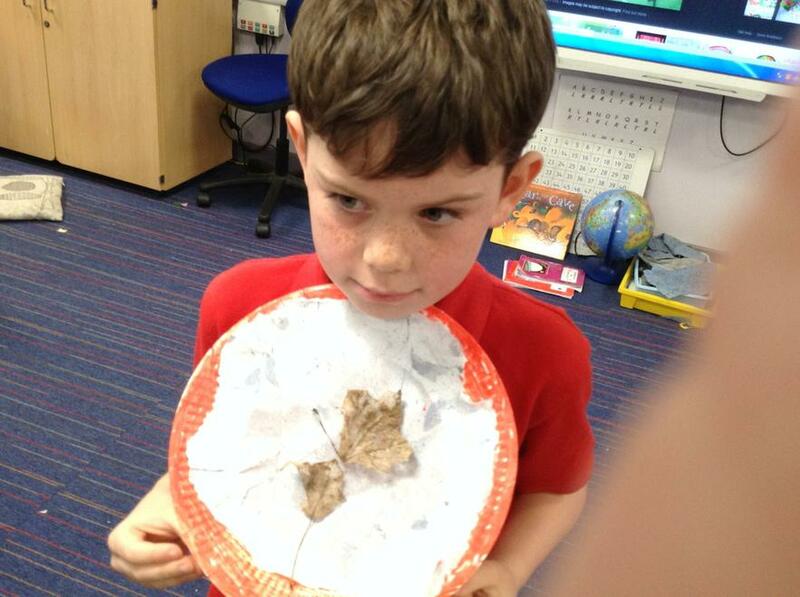 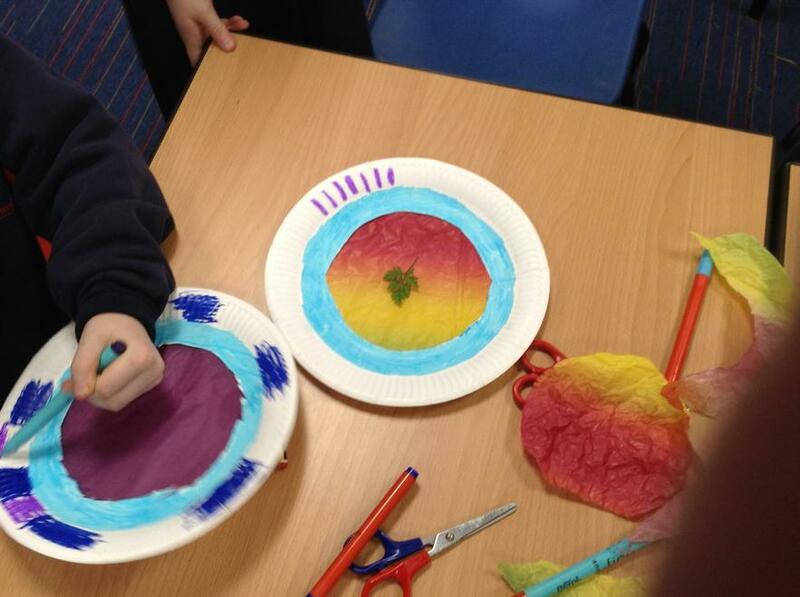 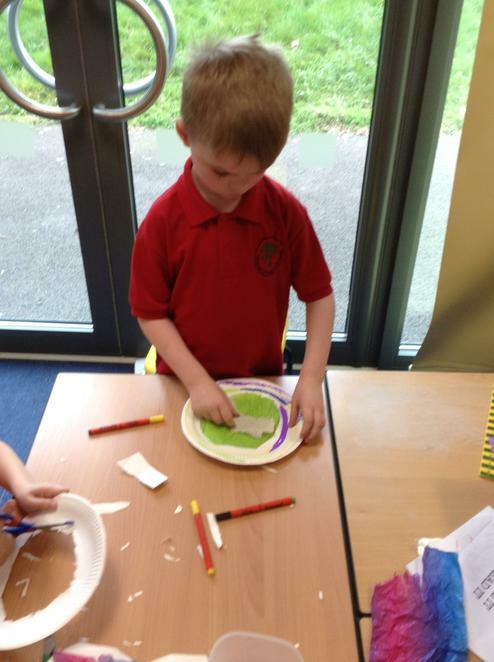 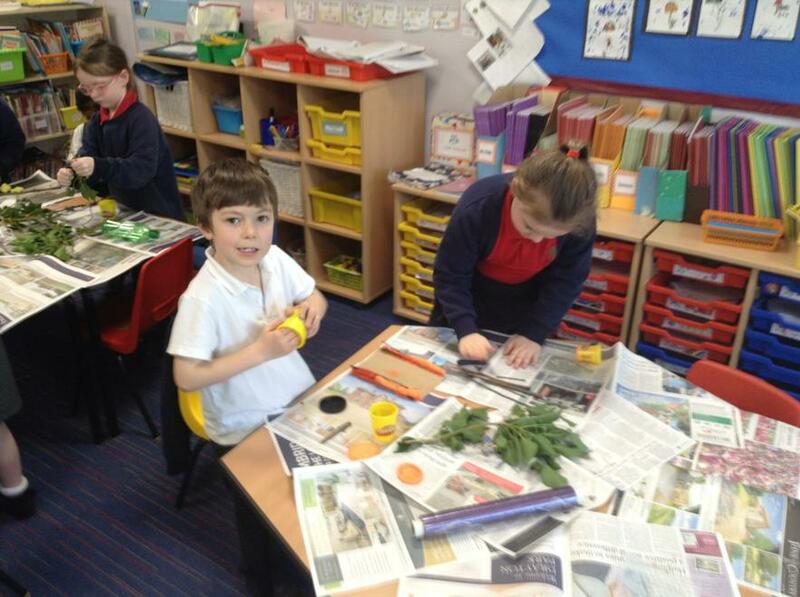 In topic we have been learning about all the seasons and we have made a seasonal tree picture. 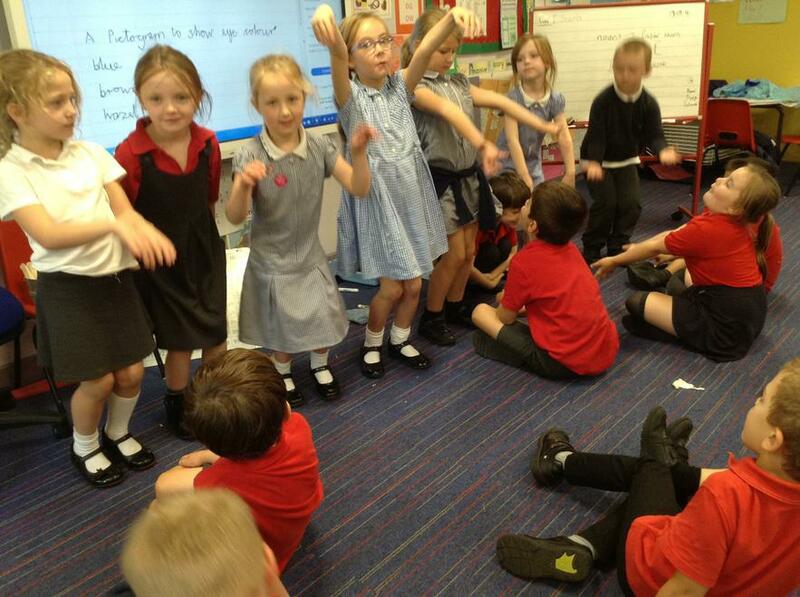 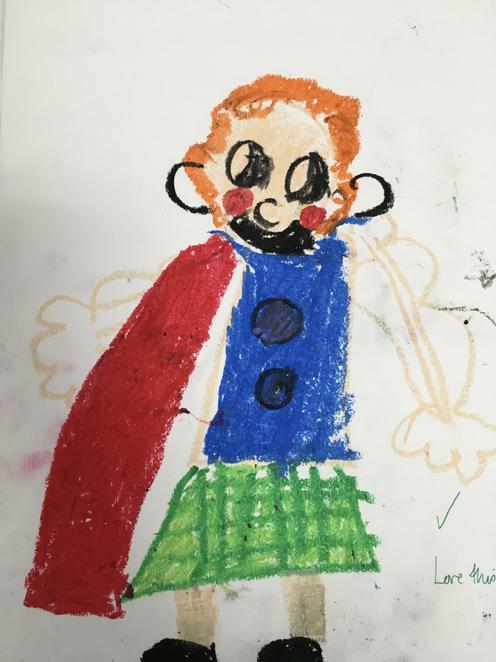 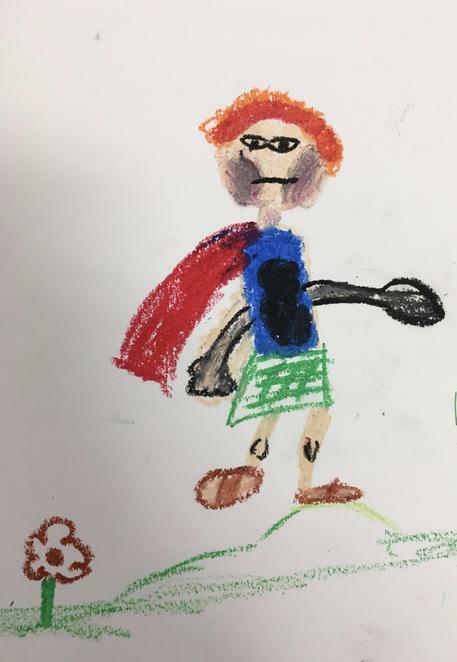 We have also been learning about materials and their properties in Science and were lucky enough to take part in a Drama workshop where we were superheroes tasked with saving the planet from global warming. 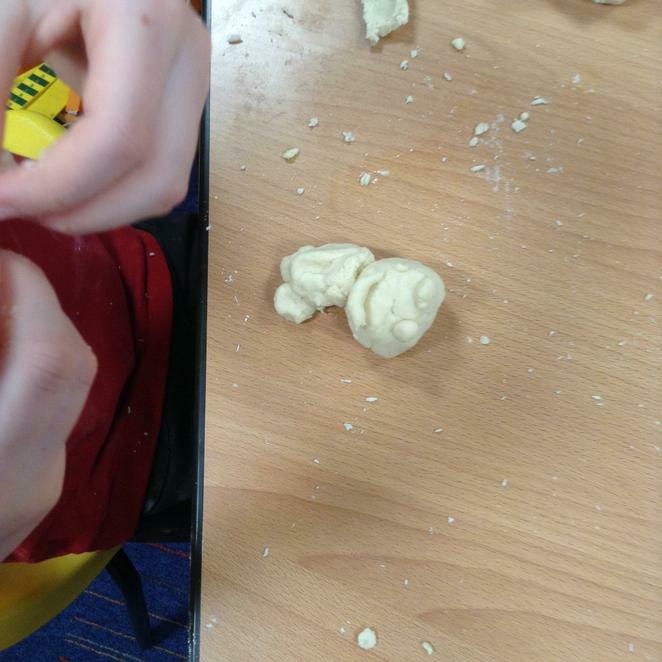 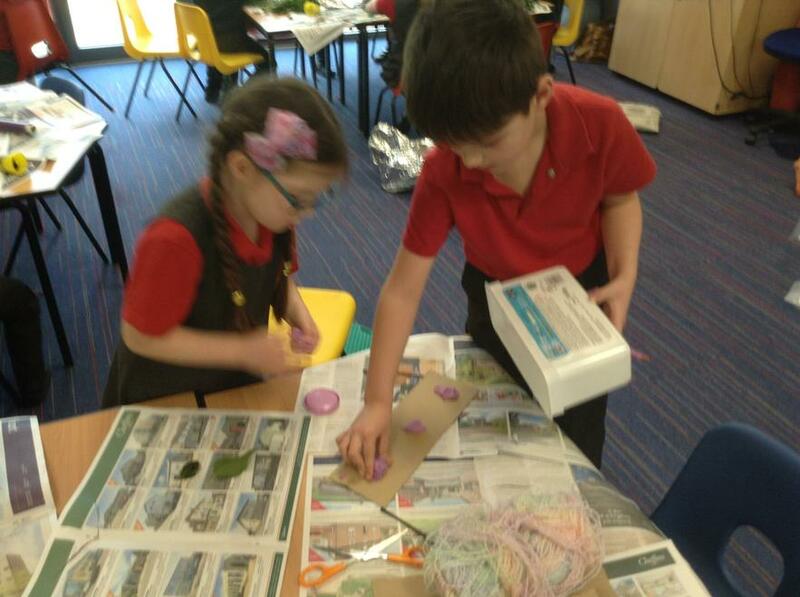 Materials- Natural or man made? 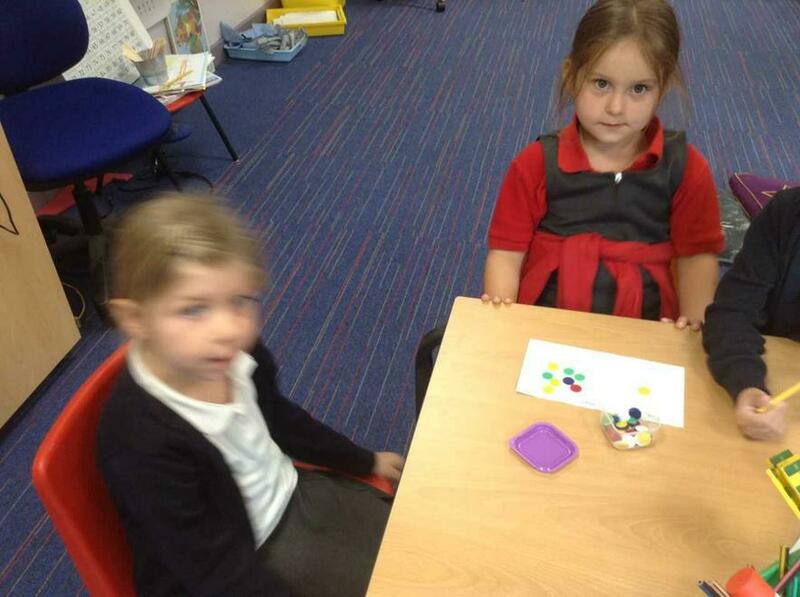 It was lovely to see all the shining happy faces in school today. 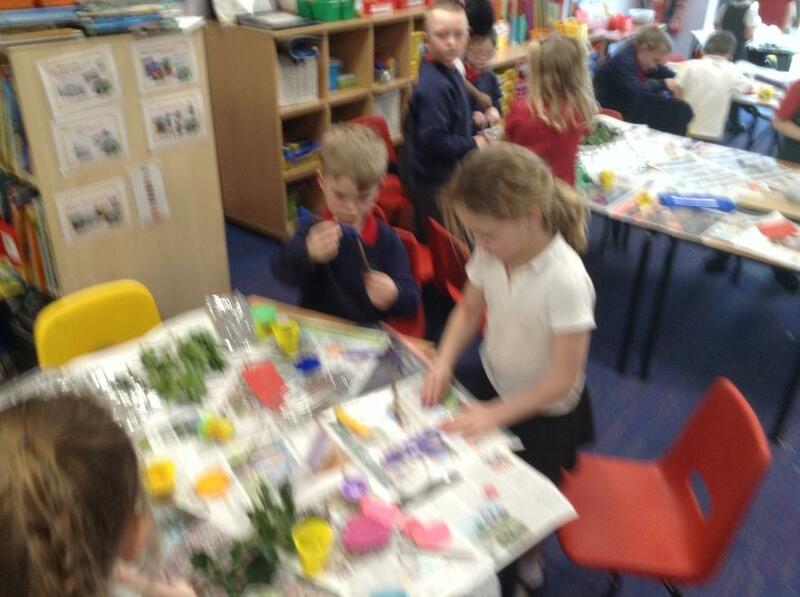 Lots of news and excitement to be talked about! 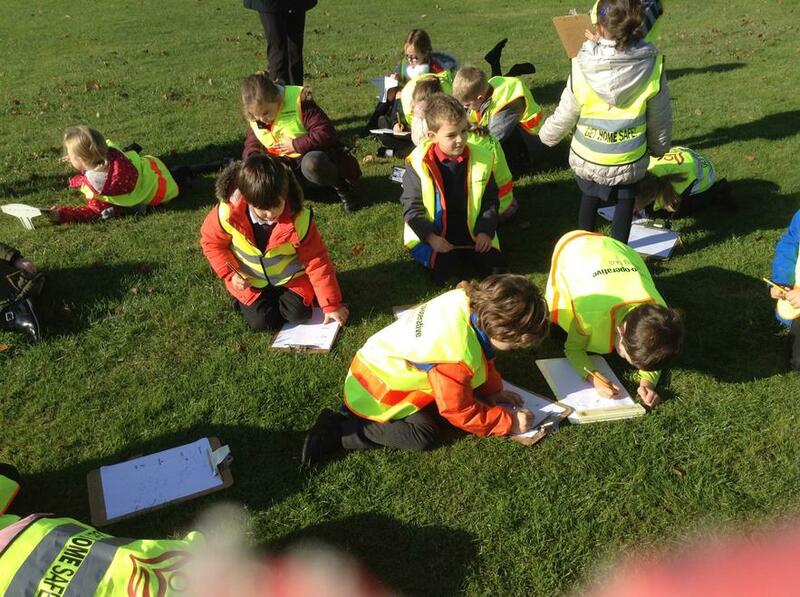 We managed to look back to last year and what the future holds, writing New Year's resolutions. 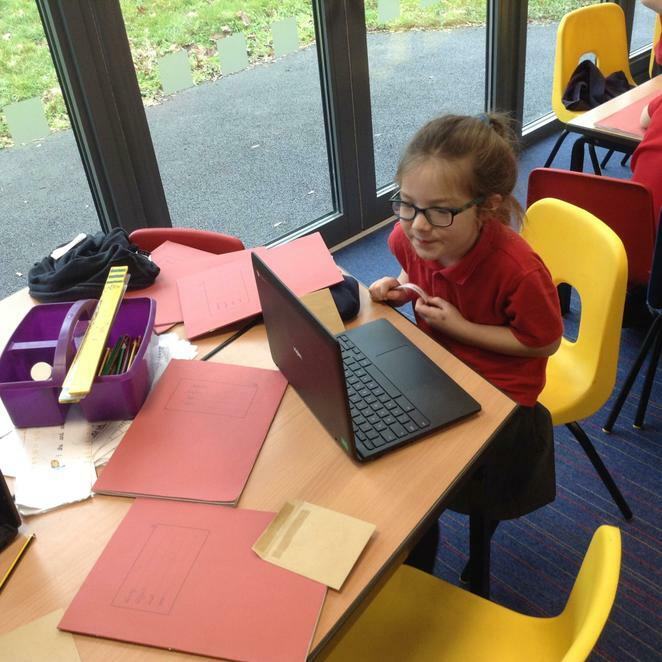 Some included eating more fruit, doing more exercise, spending less time on tablets, learning the times tables and alway handing homework in on time! 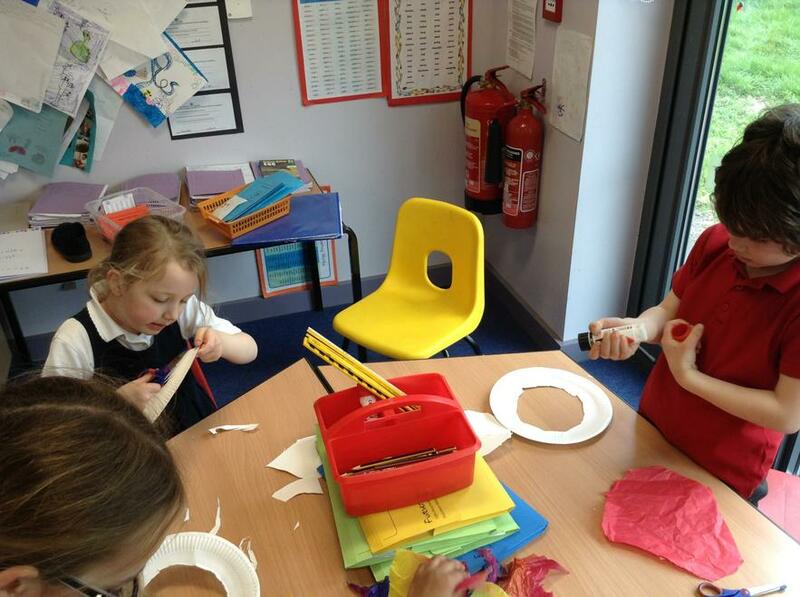 What a busy end of term we are having! 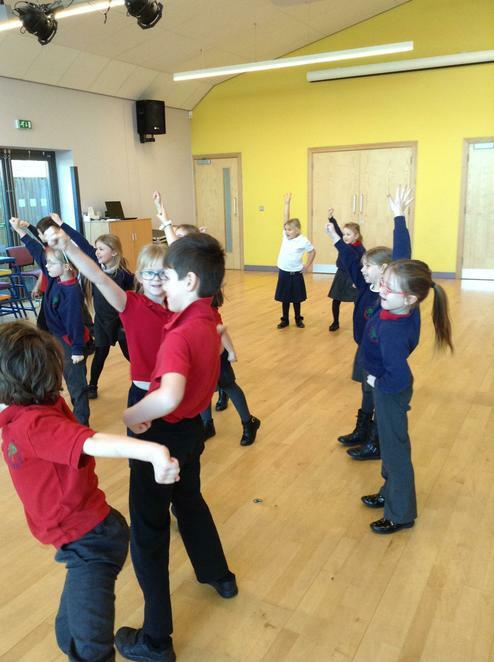 Having spent a number of weeks learning our lines, singing our songs and rehearsing, we performed our Nativity to sell out audiences! 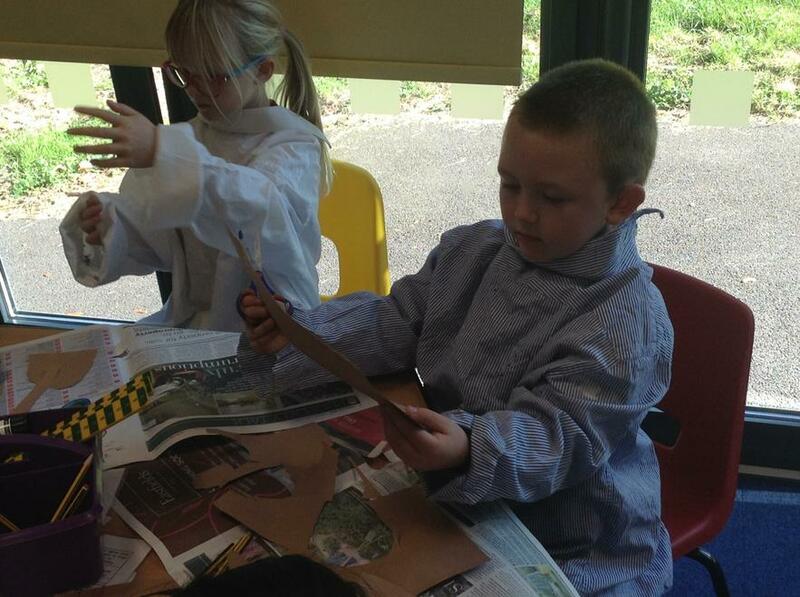 Thank you to all the parents and carers who sourced costumes and helped us to learn our lines. 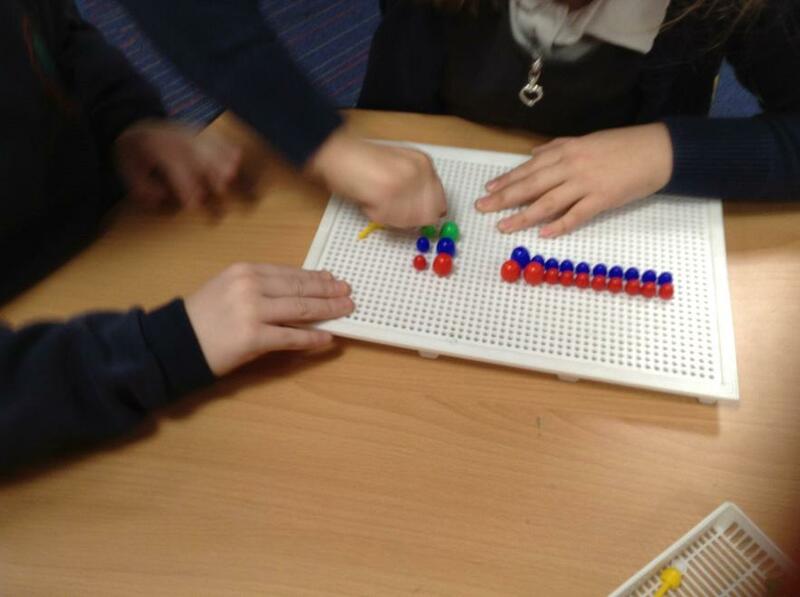 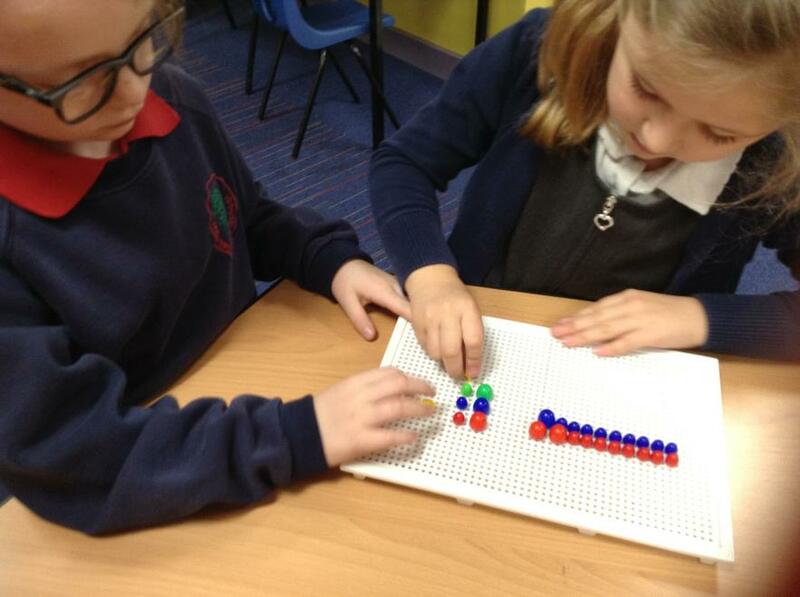 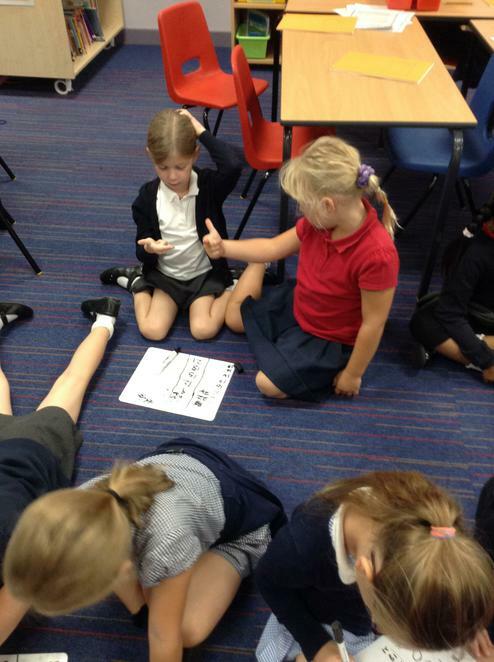 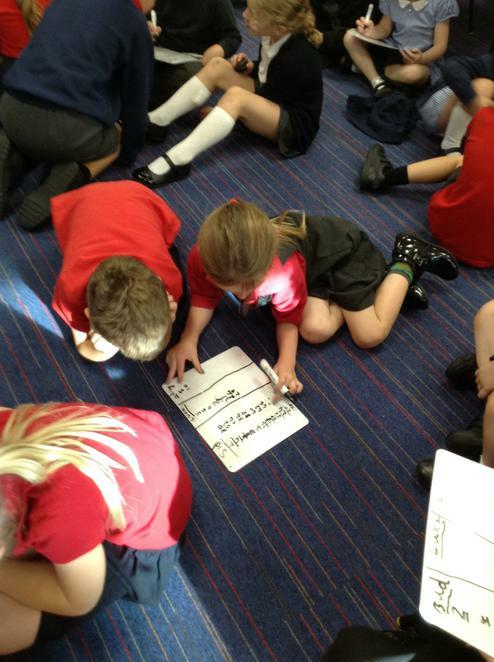 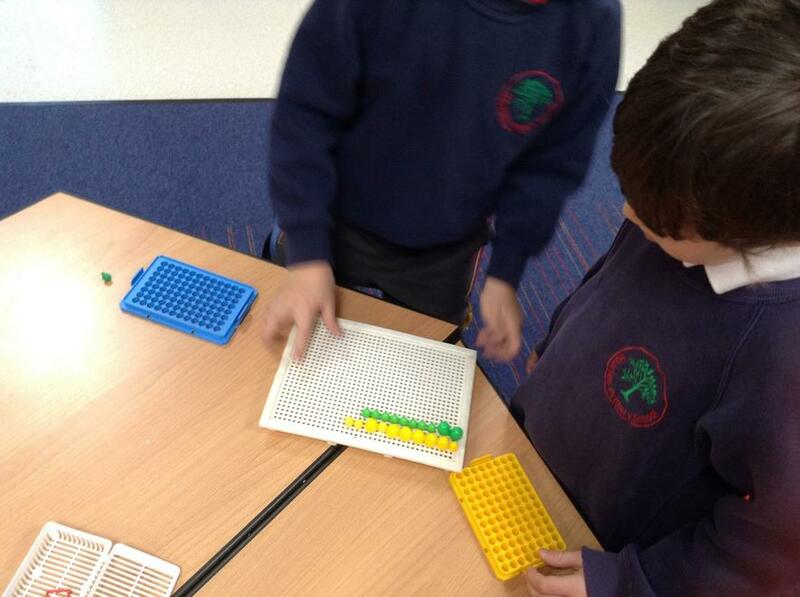 In Maths, we have been working hard on arrays and now we have moved onto division/sharing. 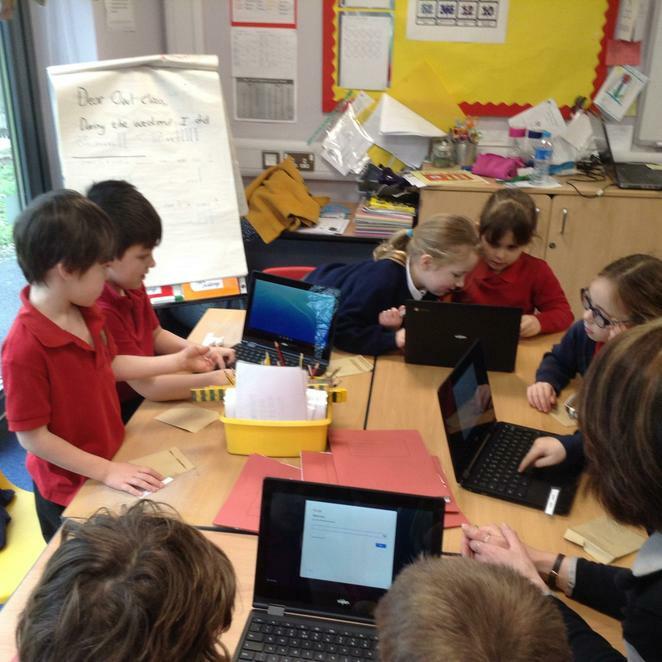 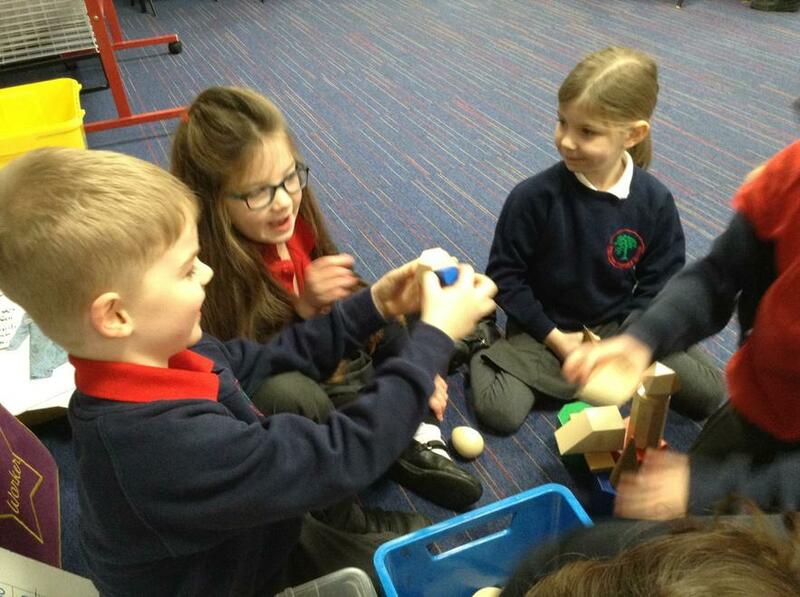 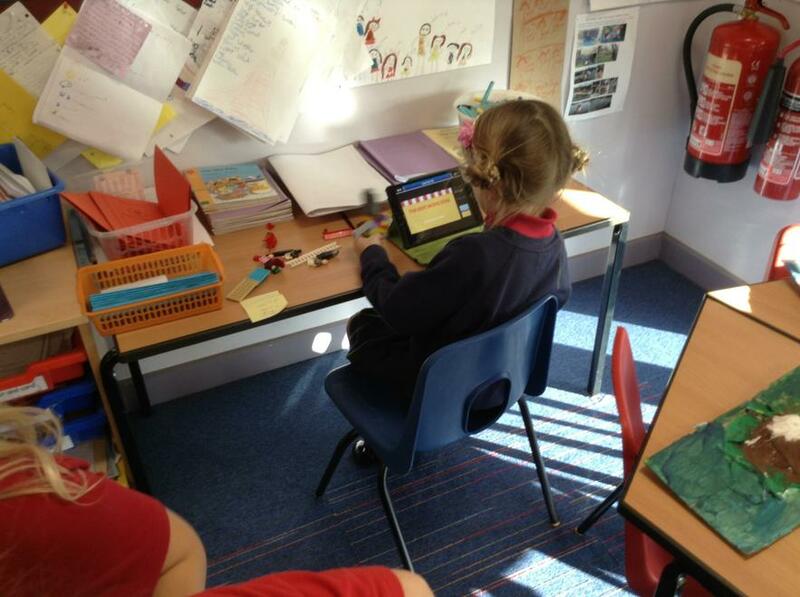 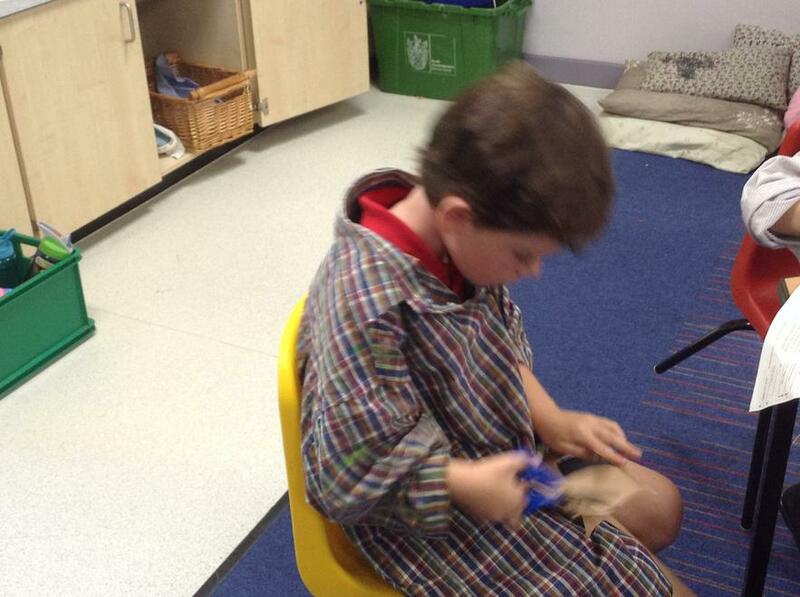 Practise sharing items at home to re-infiorce this learning. 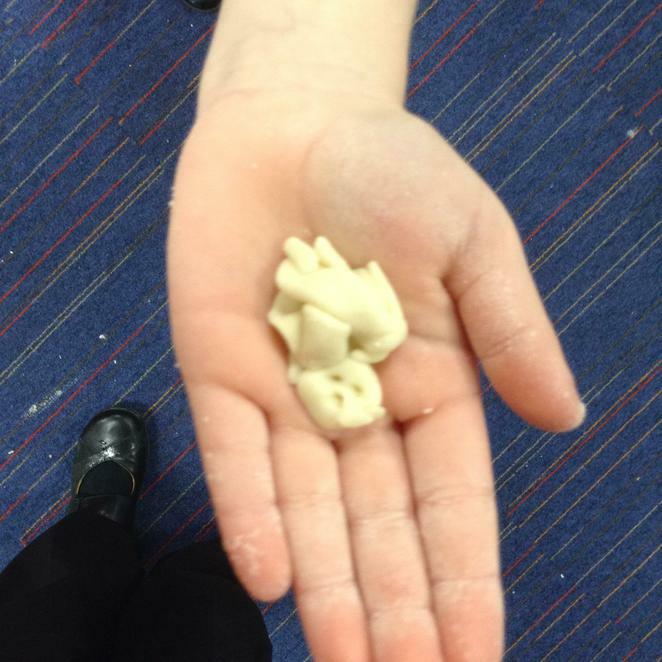 Maybe some Christmas sweets?! 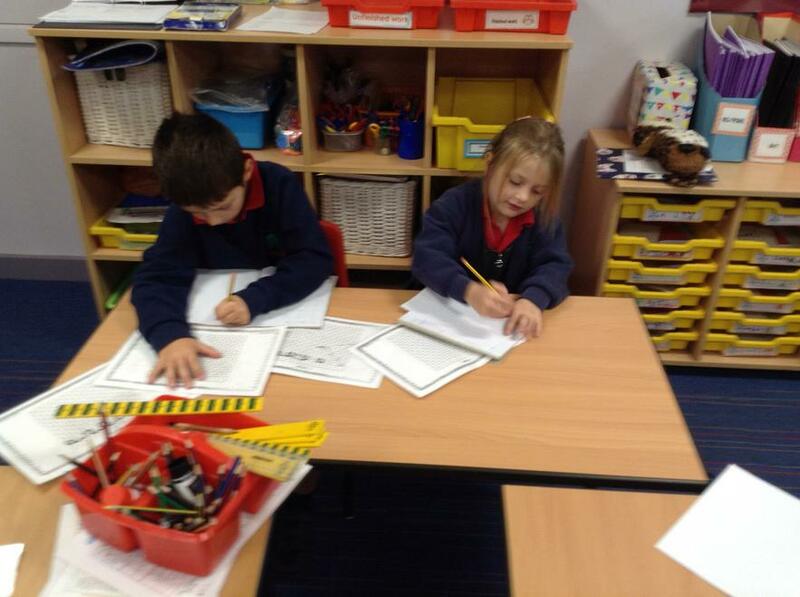 We have been reading Julia Donaldson books and using them as inspiration for our writing. 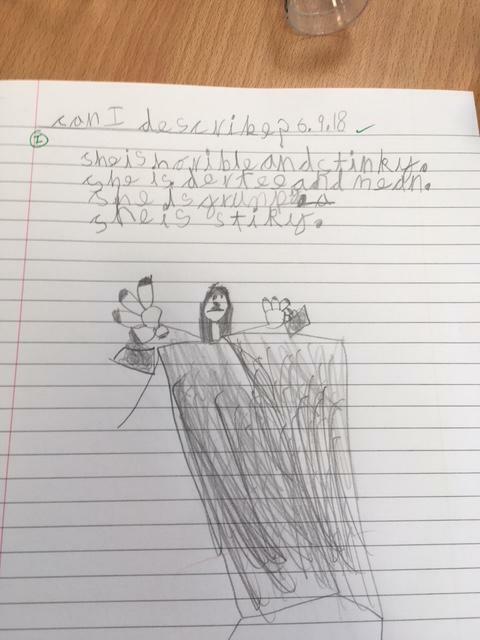 She makes great use of adjectives, adverbs, interesting verbs, alliteration and rhyme to draw the reader in. 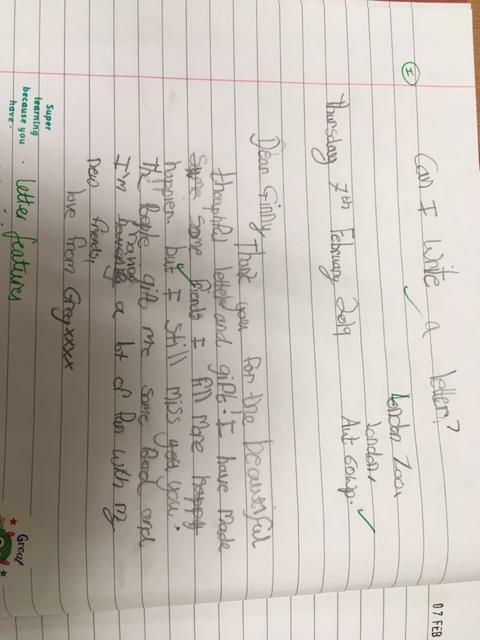 We are trying to do the same too! 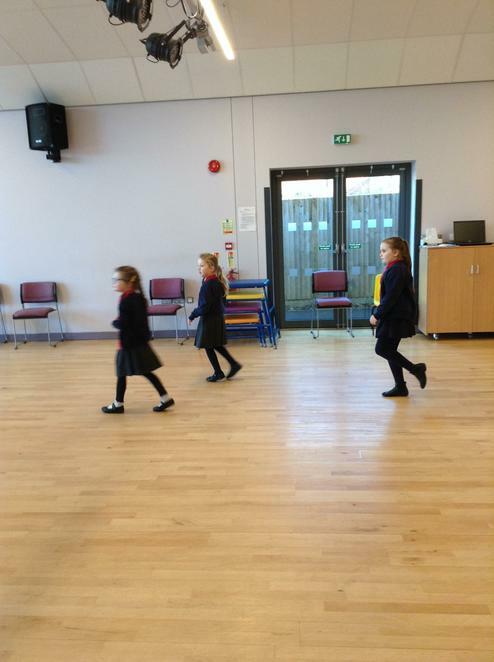 We are all excitedly rehearsing for our Nativity and have had a few practices this week already. 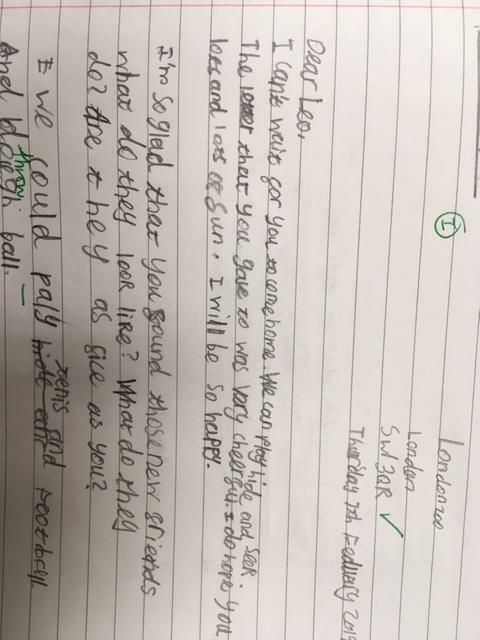 Please try to learn your lines (if you have lines!). 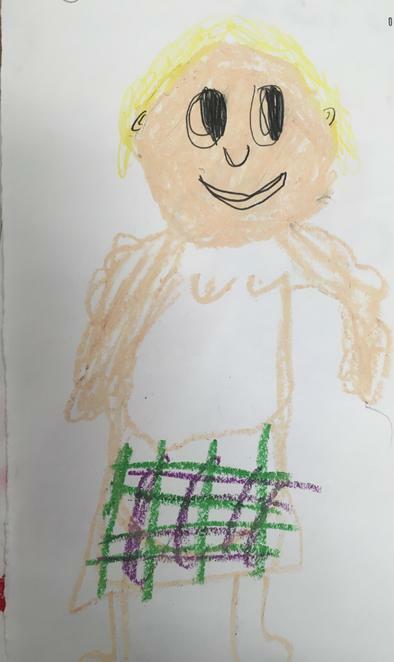 They can be found stapled to the inside page of the reading record. 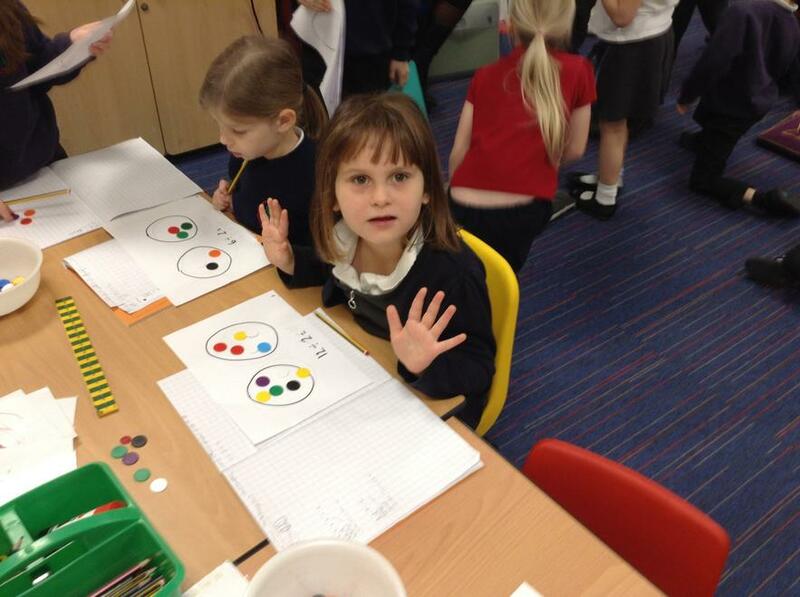 We have all worked so hard this week on the assessments and have actually enjoyed doing them a great deal! 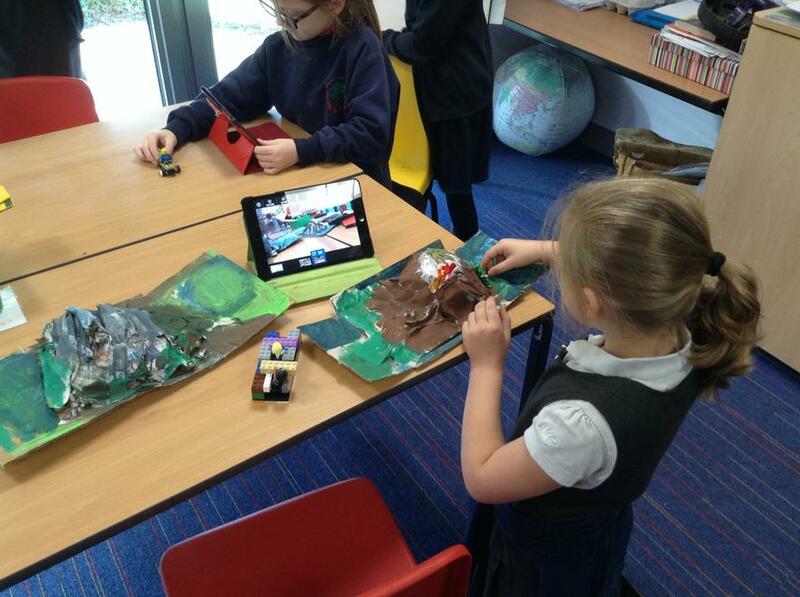 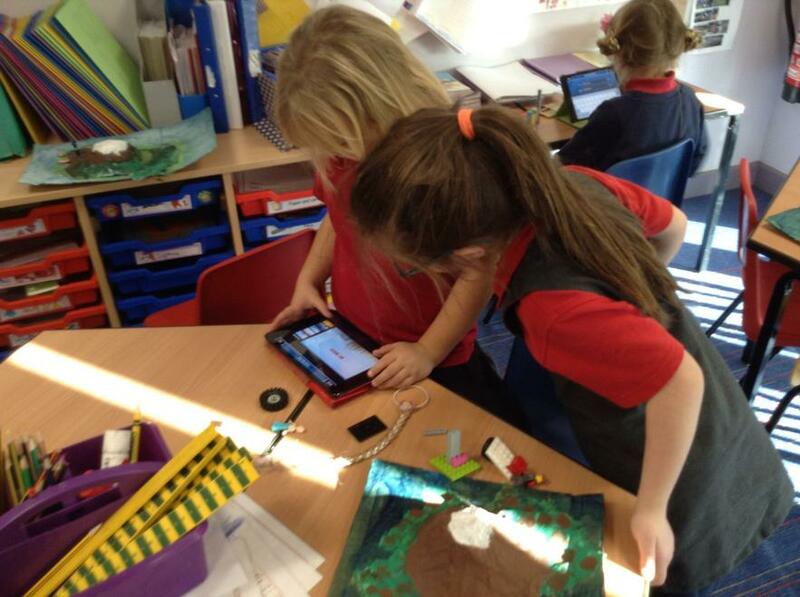 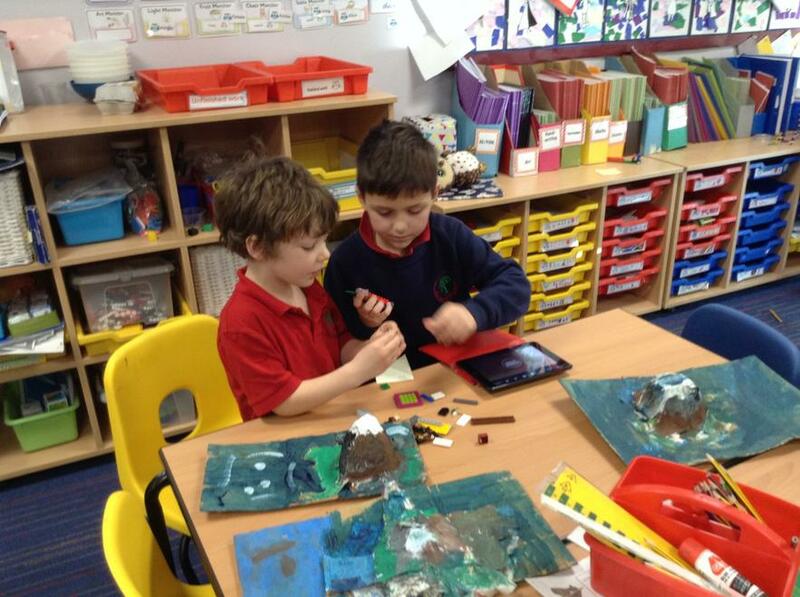 We also used Lego Movie Maker to animate a story with our mini-mountain model of Ben Nevis as the backdrop. 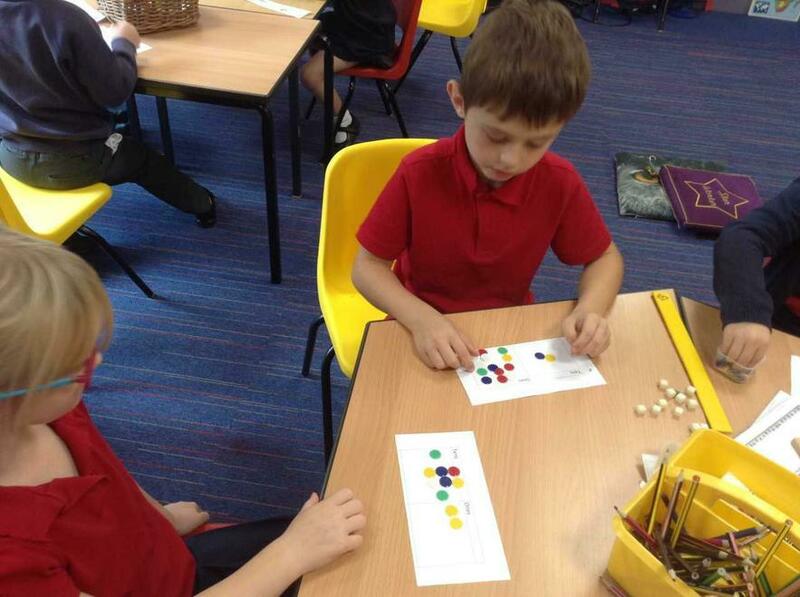 In maths we started with our new topic- multiplication and division. 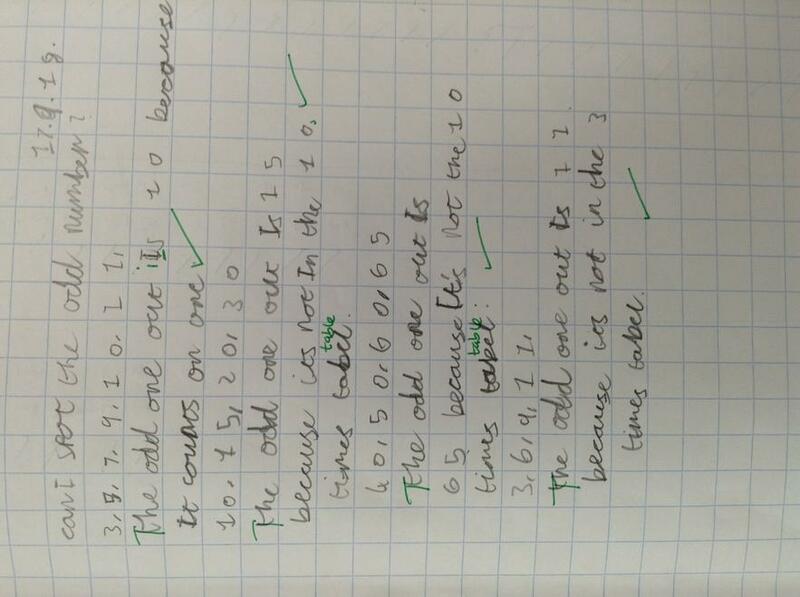 We have been working hard to become more fluent in our times tables. 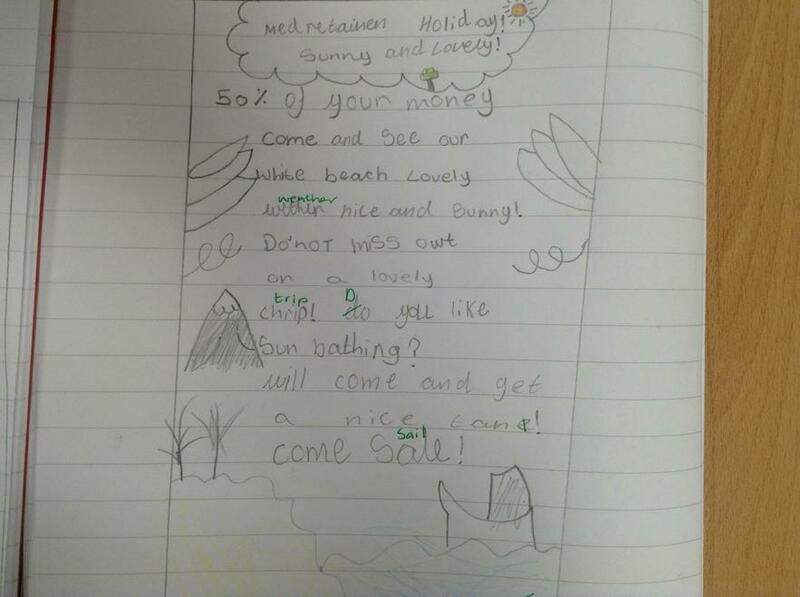 Owls have been enjoying performing repetitive poems in English. 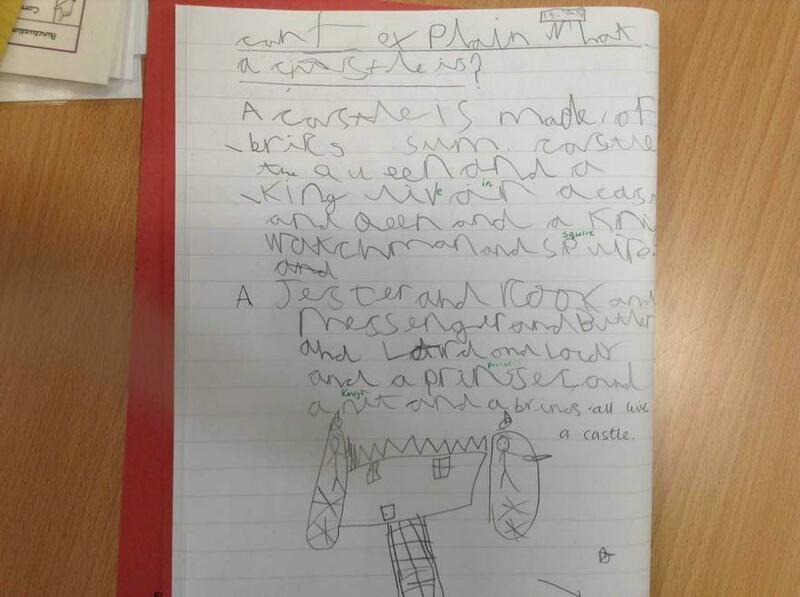 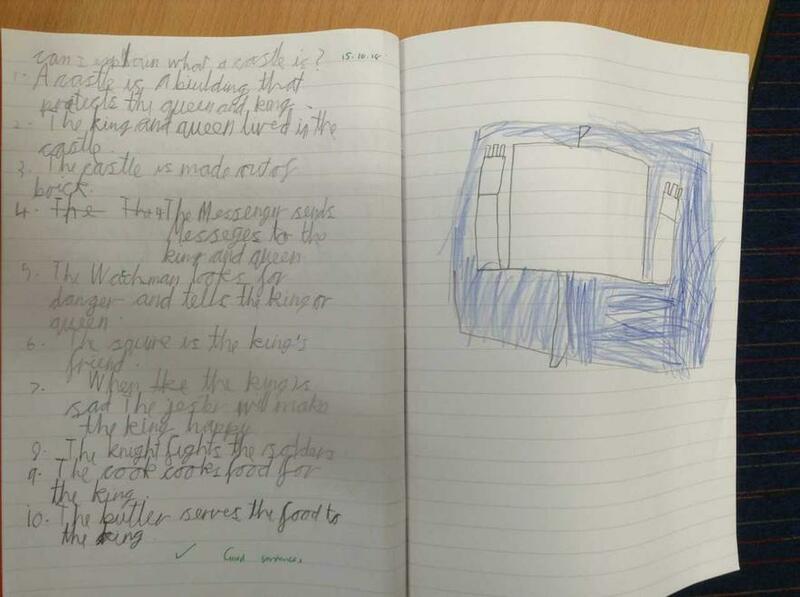 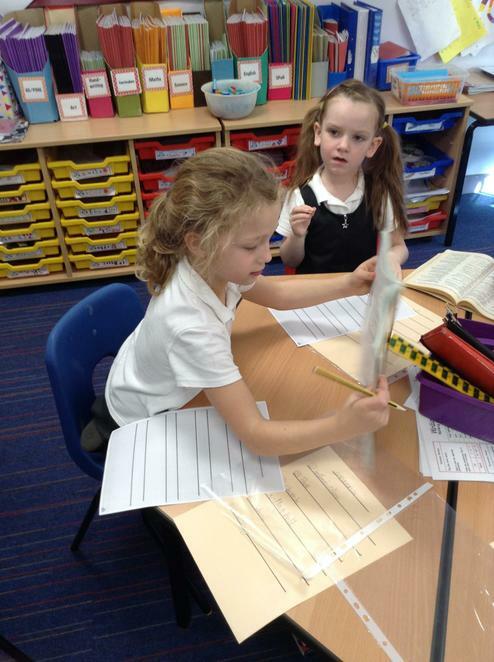 We have been working hard on finding rhyming words and writing our own versions of poems. 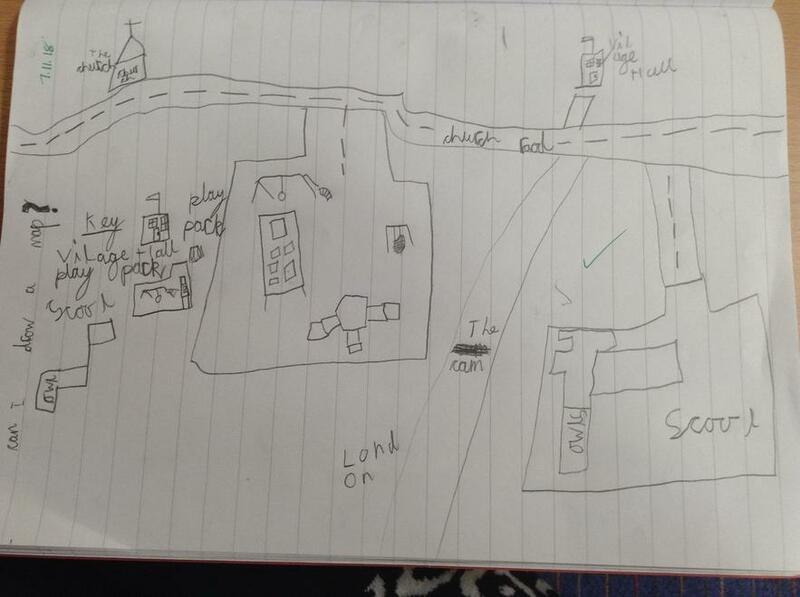 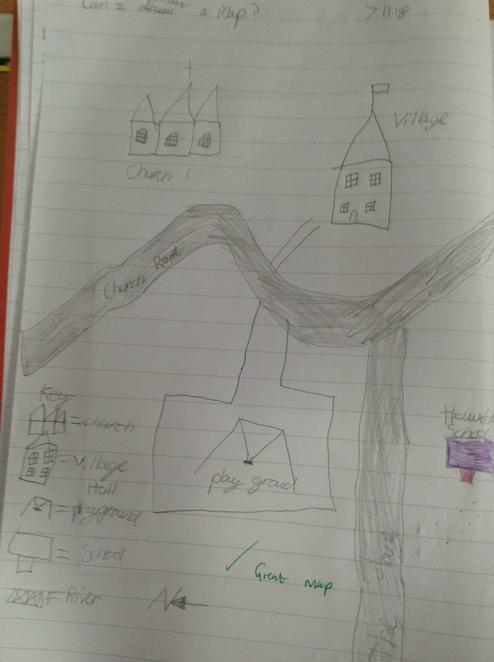 In topic we drew a map of the village, made castles using 2D shapes and painted our Ben Nevis mountains. 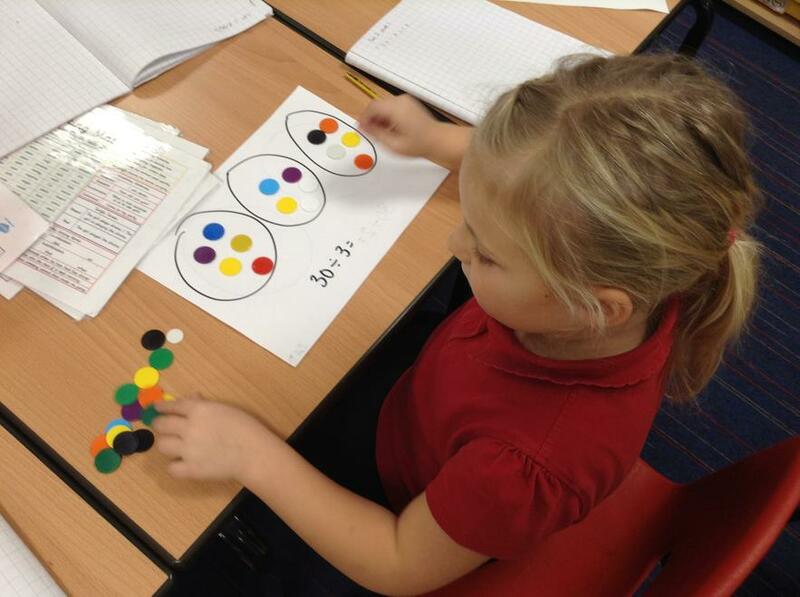 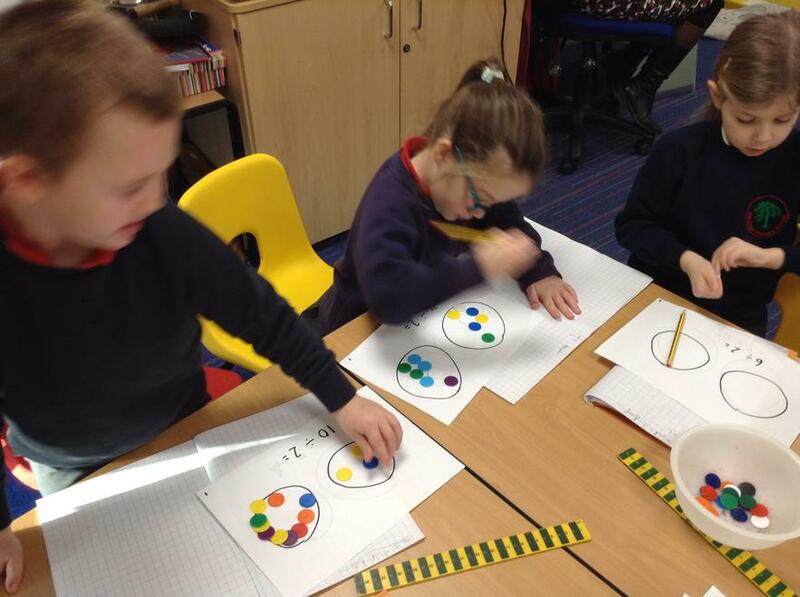 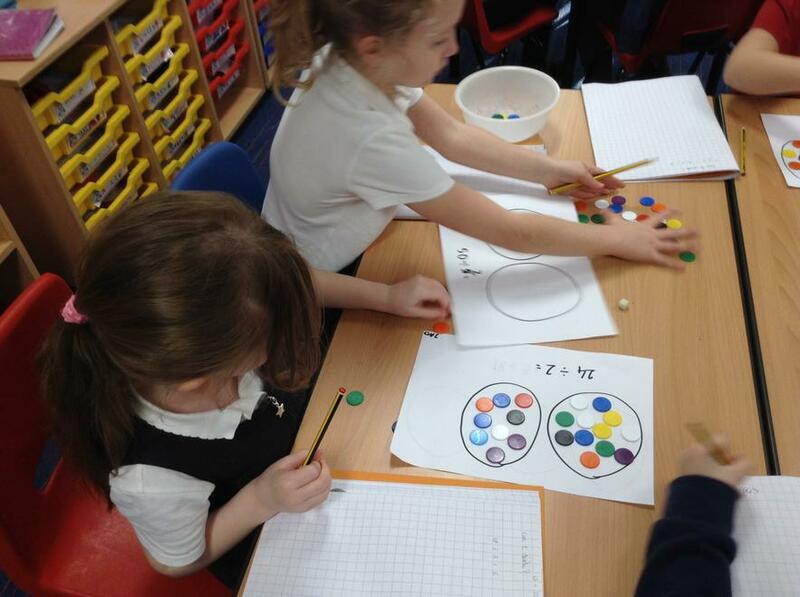 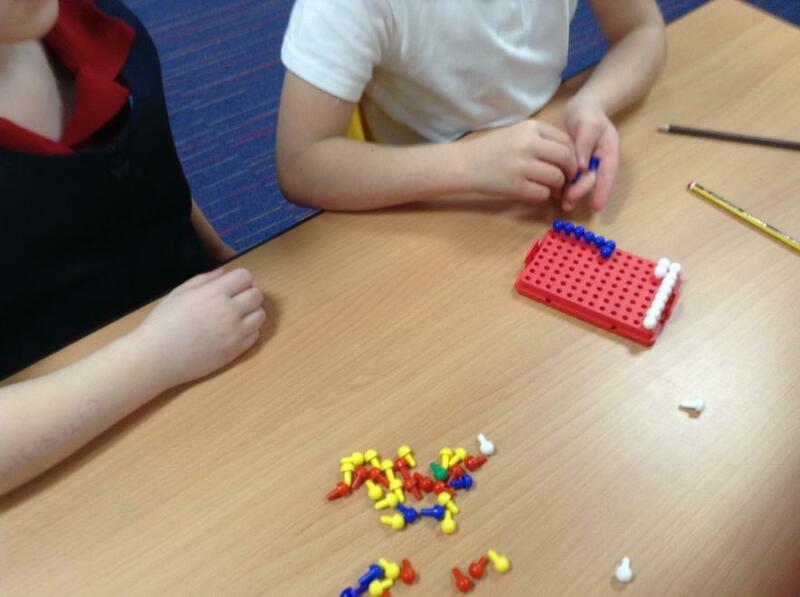 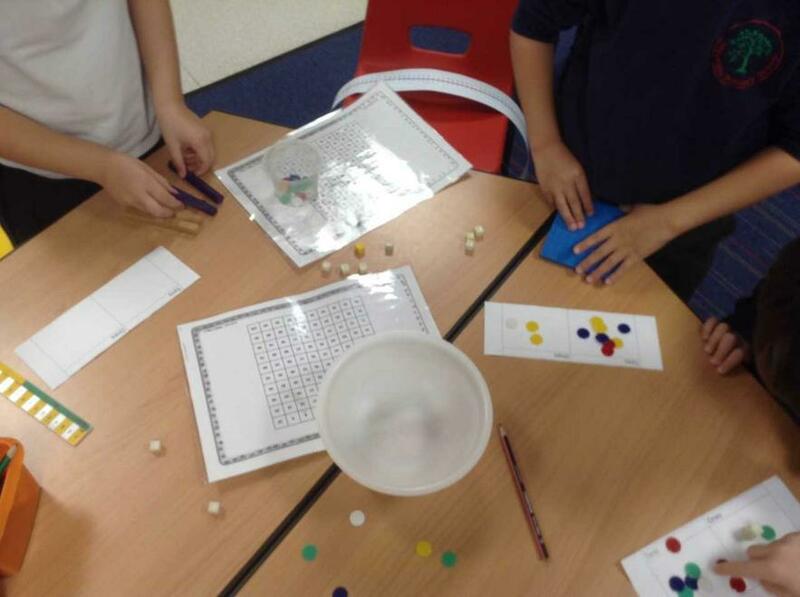 We have been solving addition and subtraction problems in Maths. 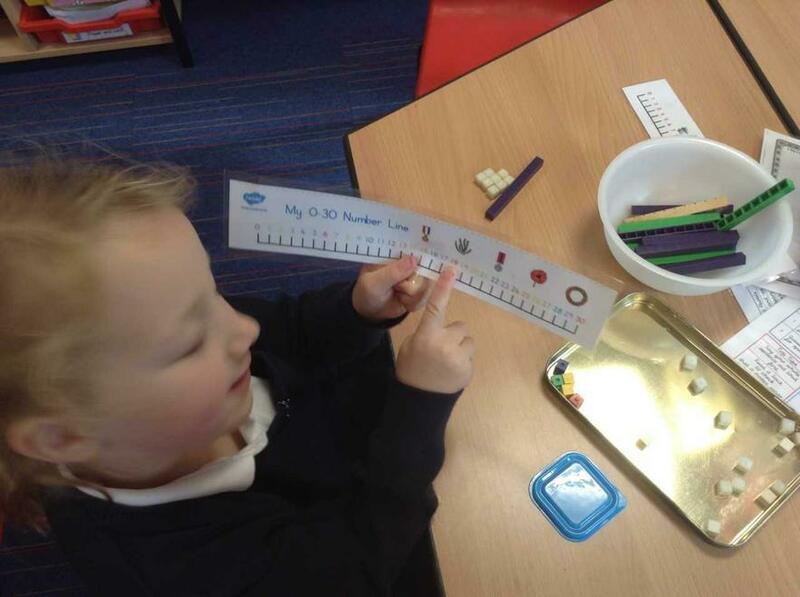 Please keep practising number bonds to 10 (Year 1) and number bonds to 20 (Year 2) - this will help speed up the calculations! 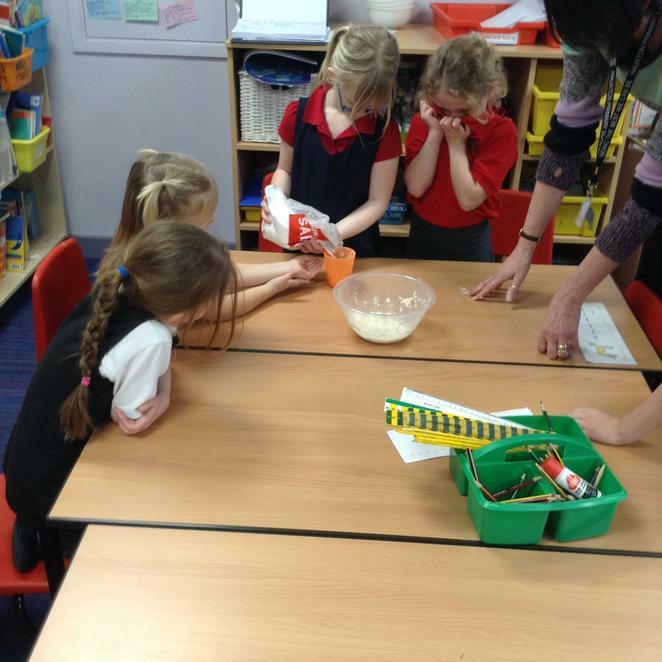 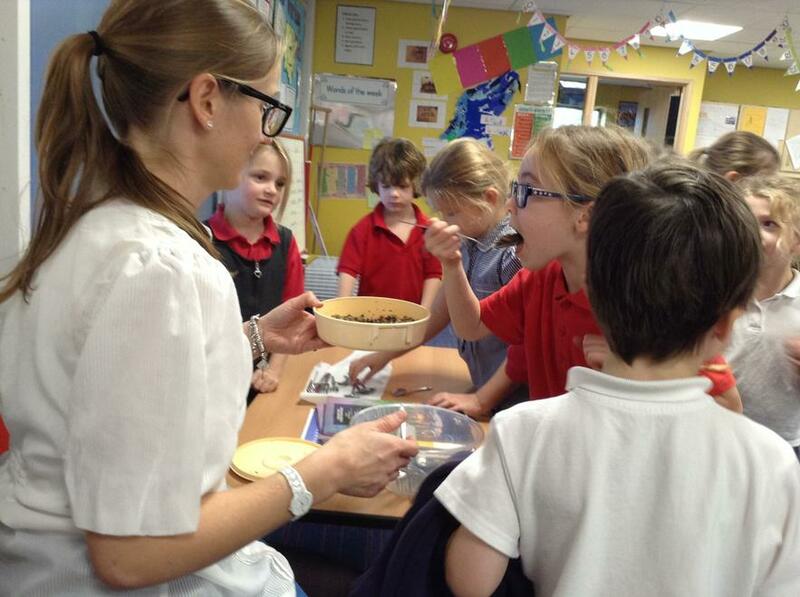 We all enjoyed tasting haggis (well, almost all of us!) 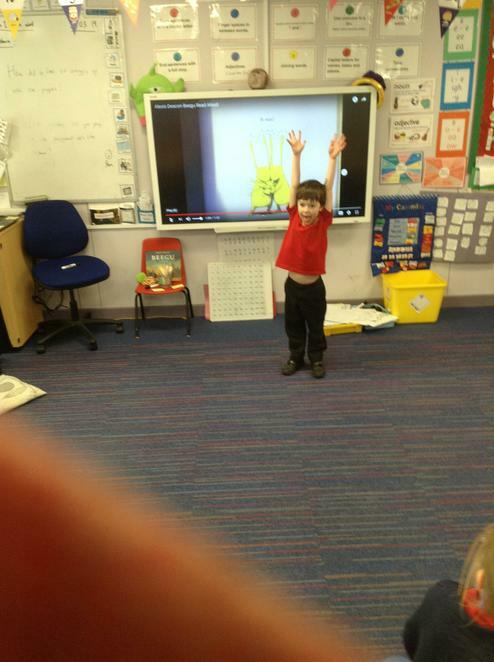 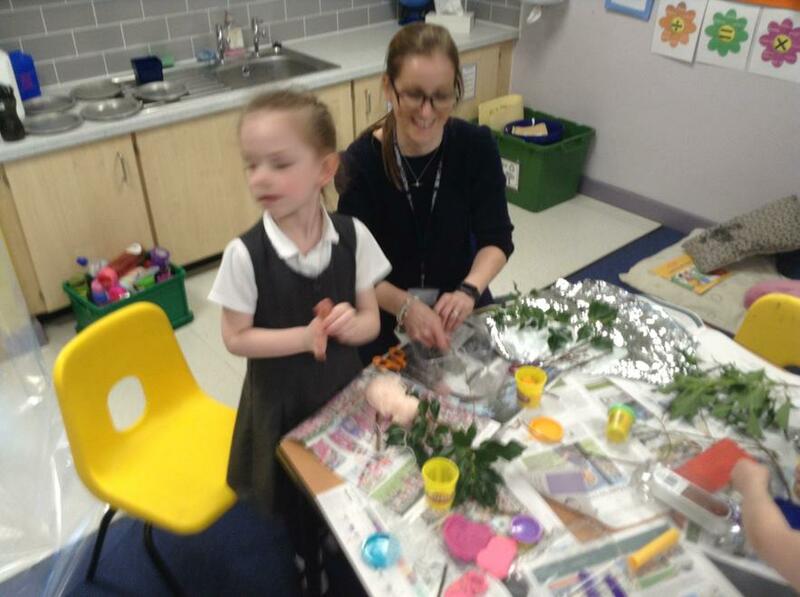 and learning a bit about Scotland, as part of our Topic on 'Myself and Where I Live'. 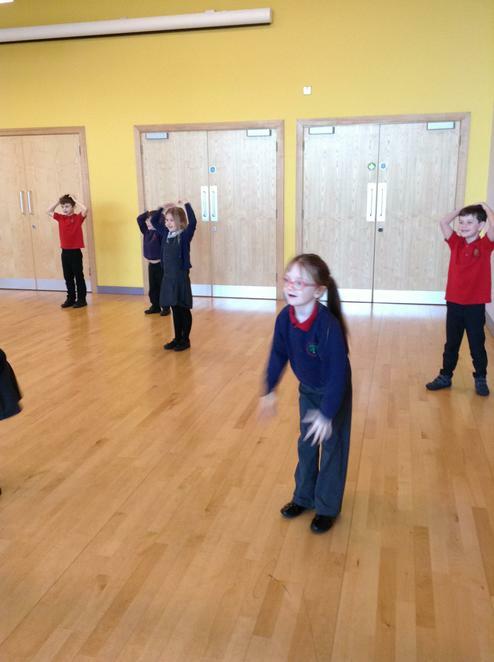 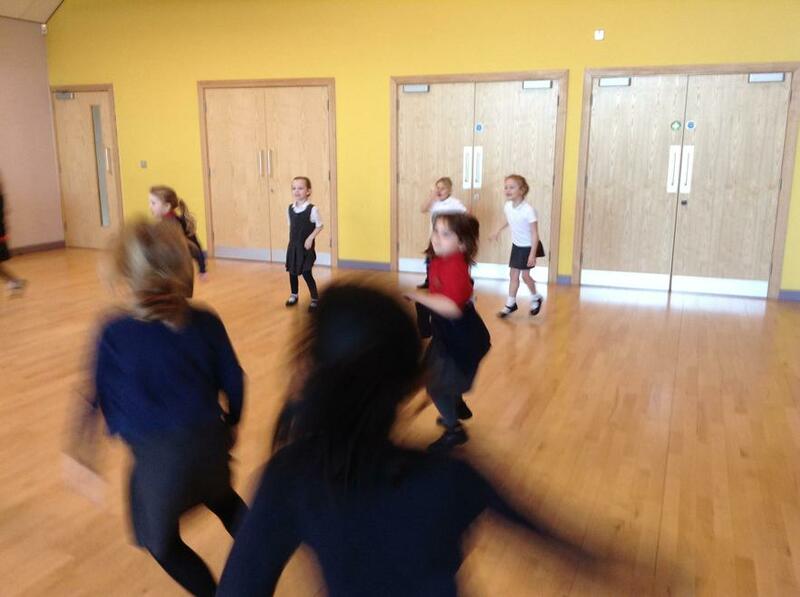 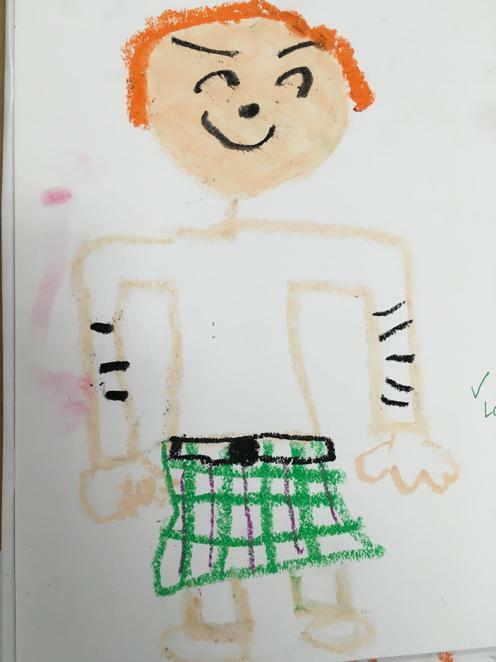 We are looking forward to learning some Scottish Country Dancing steps in PE too! 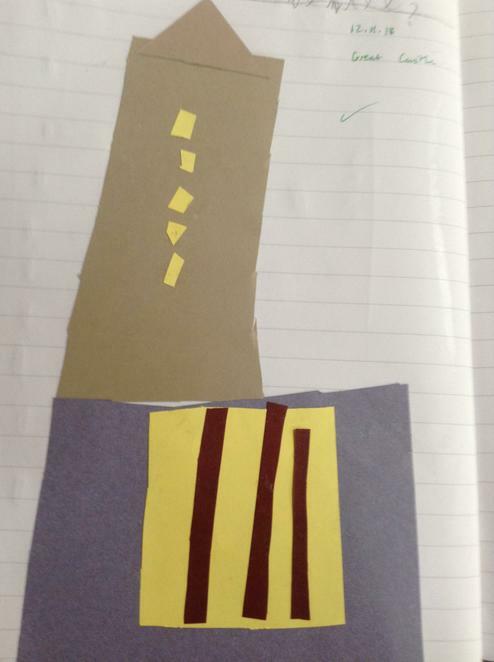 We have been delighted to read Judith Kerr's -The Tiger who came to Tea and other novels as part of the stories with familiar settings literacy topic. 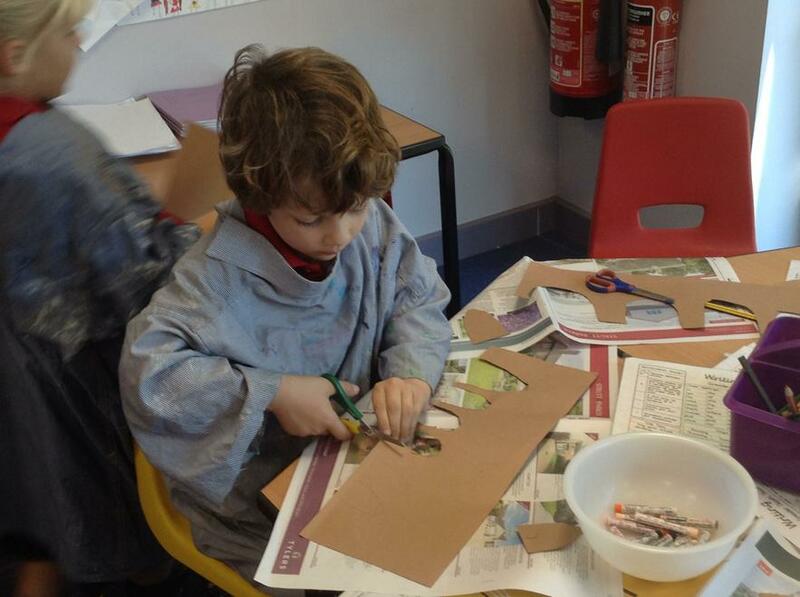 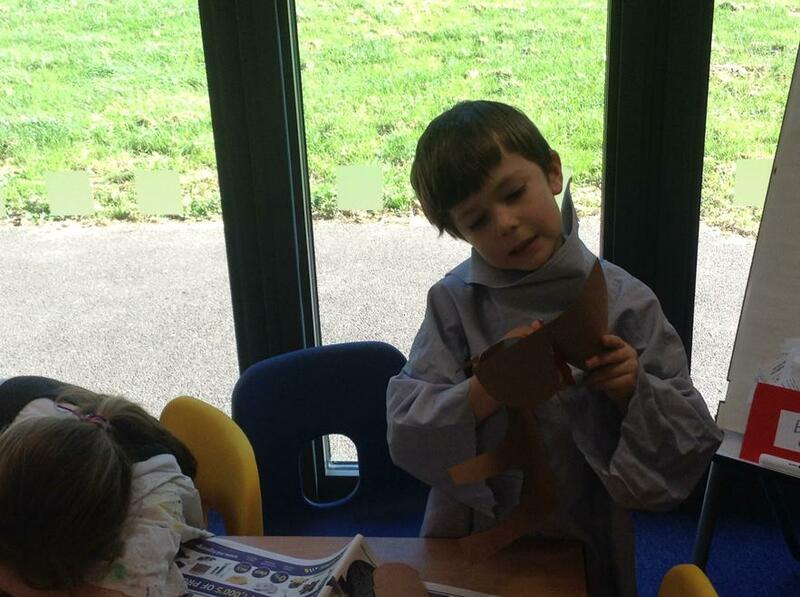 Owls wrote lovely stories with all sorts of animals coming to tea and they made lots of mischief together. 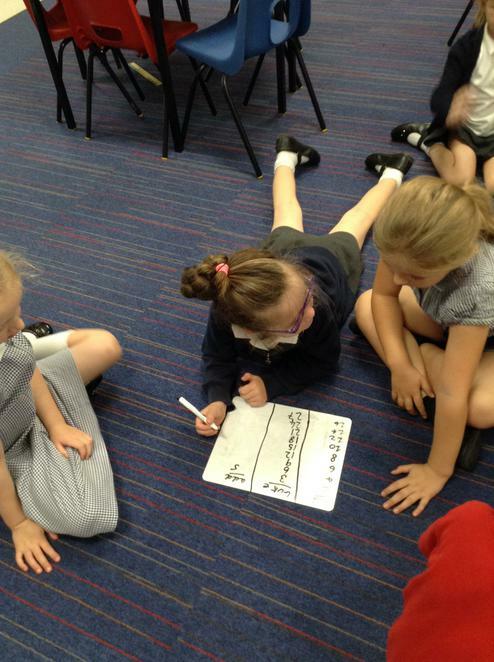 In Maths we have been improving our number knowledge and we have been working really hard to improve the fluency of our number bond facts. 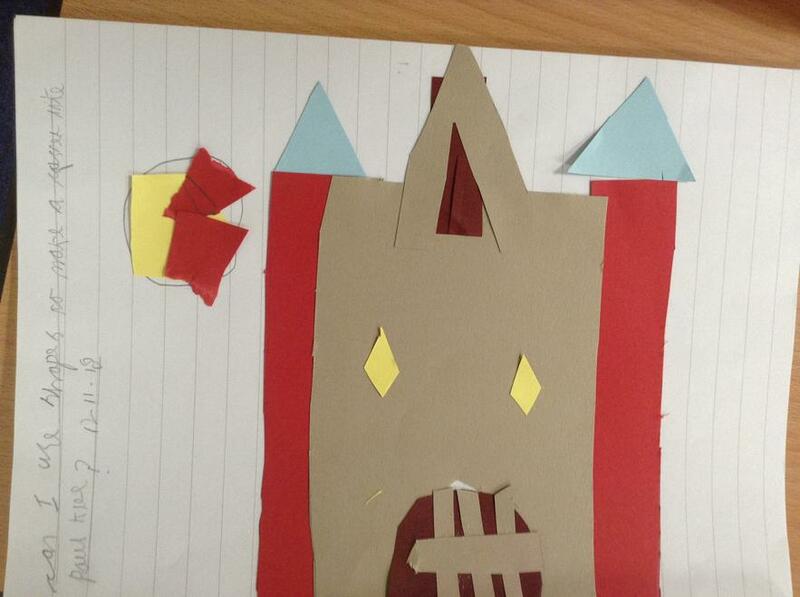 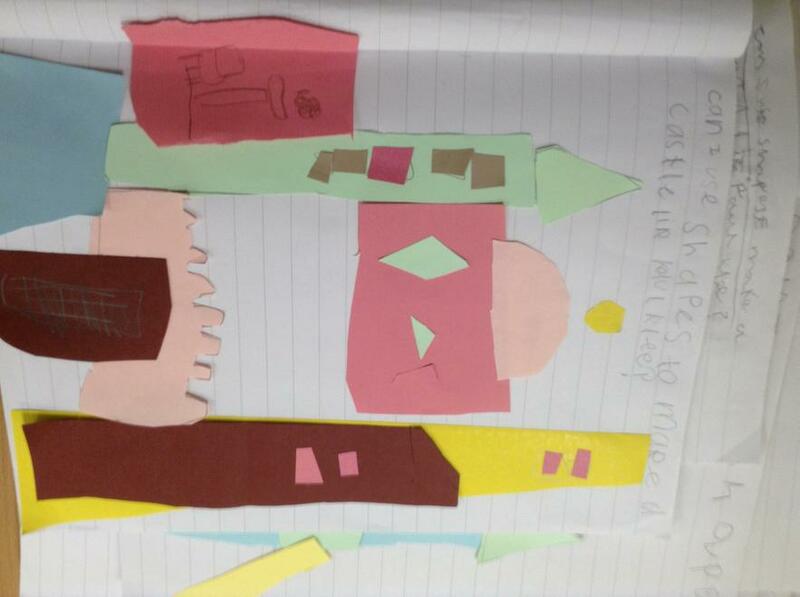 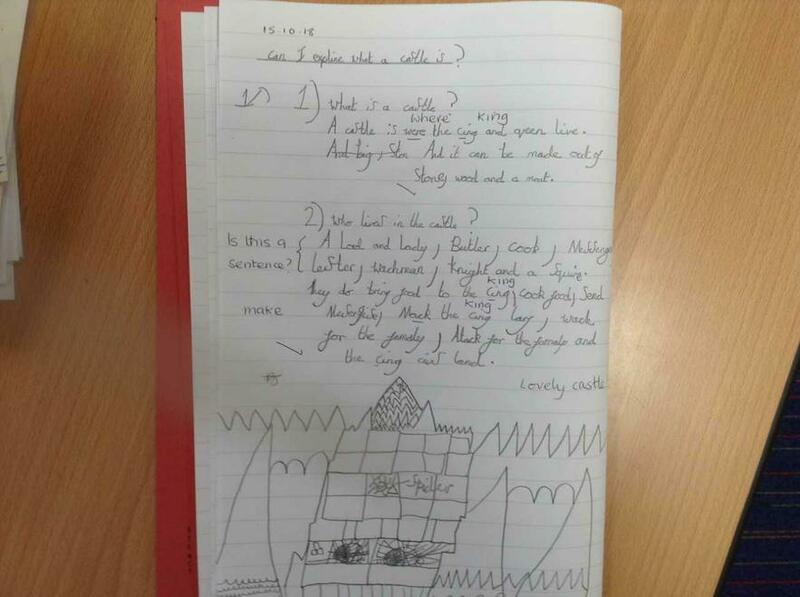 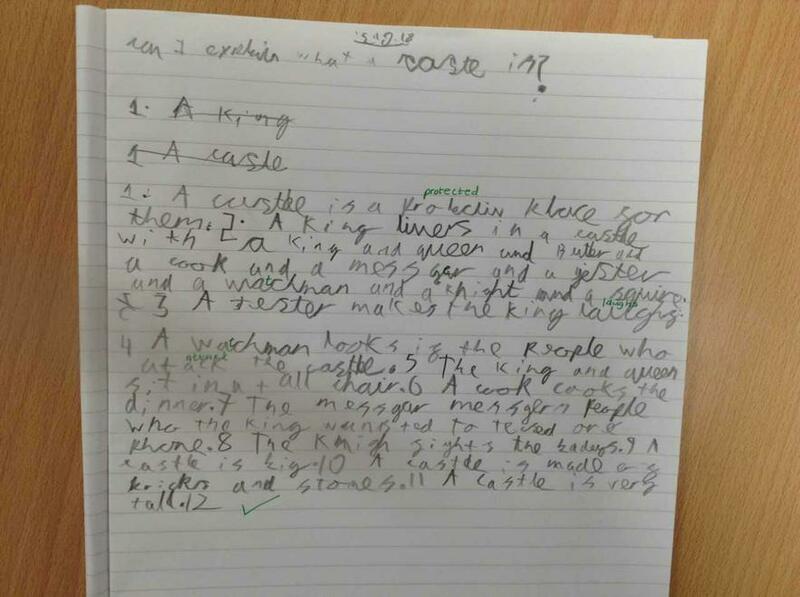 We have been learning about castles in topic and we are fascinated by these colossal, impressive buildings. 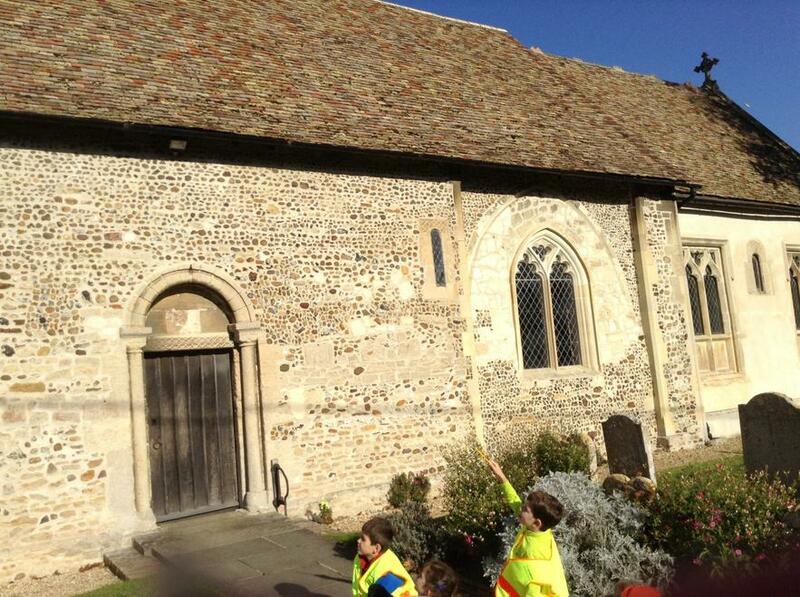 We enjoyed to journey back into time and meet all the different people who used live in these buildings. 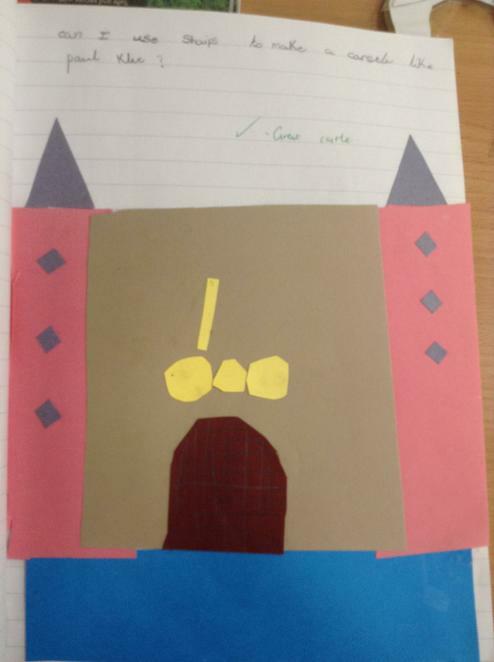 The autobiographies are almost finished and what super reads they are! 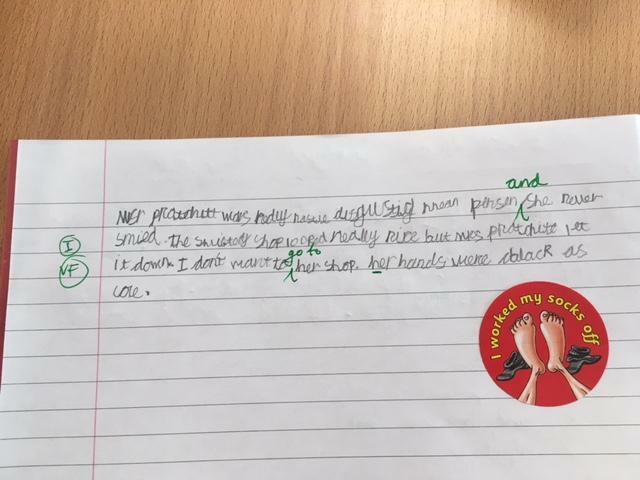 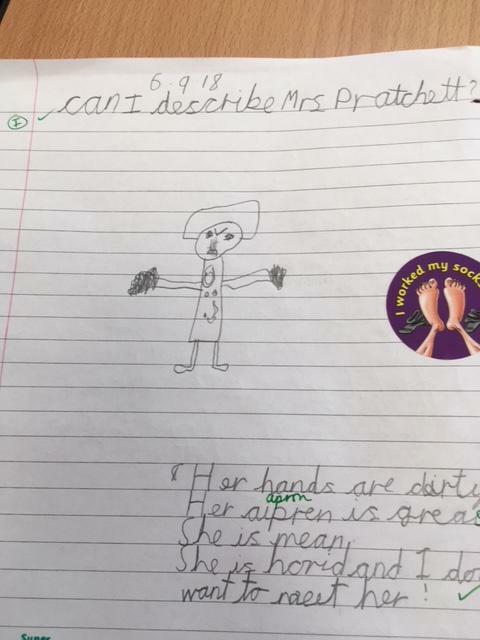 A huge amount of care, thought and effort has gone into their production and we do hope that you will be able to come into class during the Open Afternoon on Thursday 18th October when we will showcase 'Writing we are Proud of'. 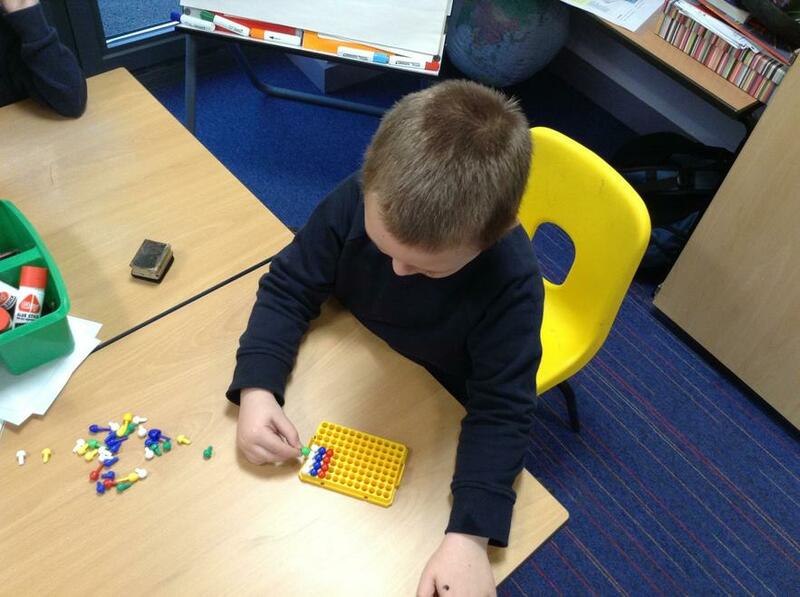 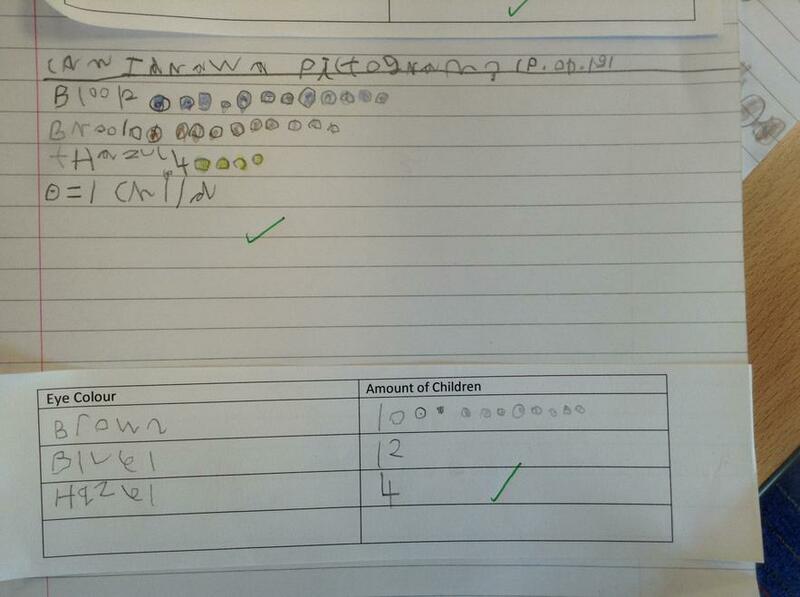 In Maths, we are nearing the end of place value. 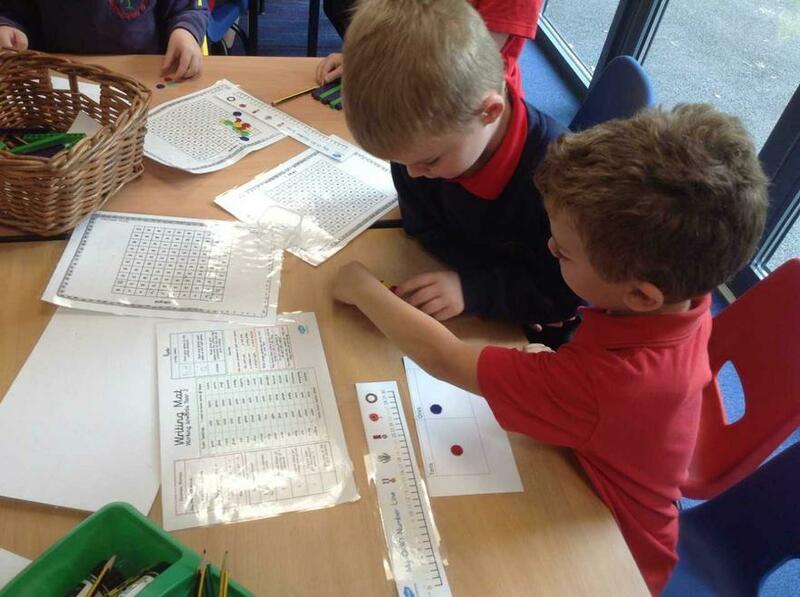 We will shortly be moving onto addition and subtraction so get practising your number bonds to 10 (Year 1) and 20 (Year 2) so that you can recall them without even thinking! 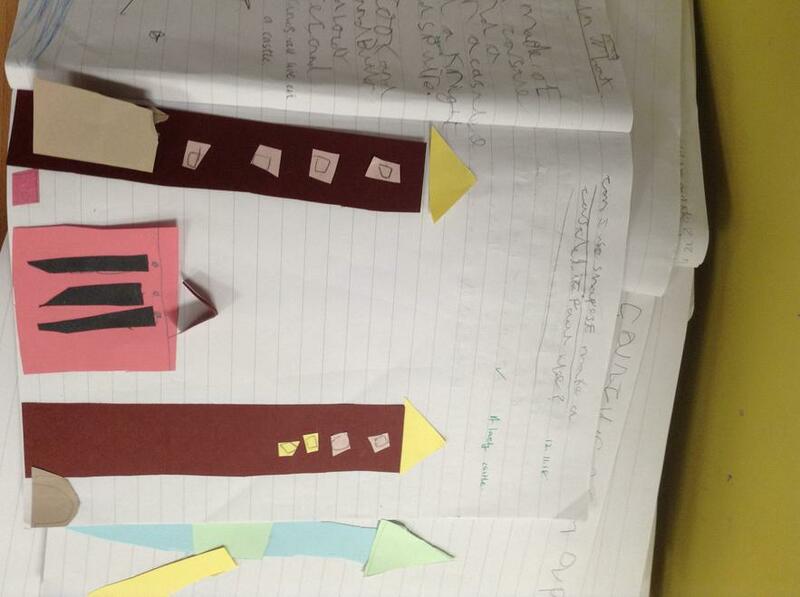 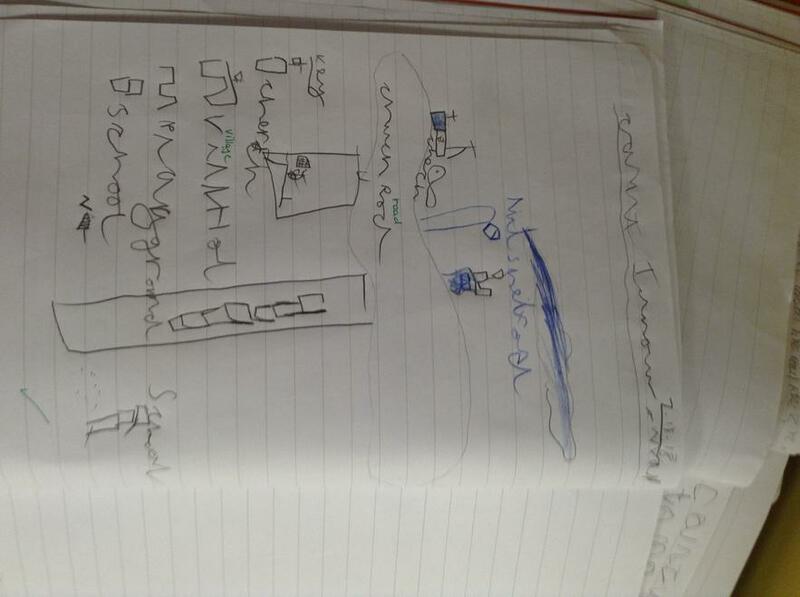 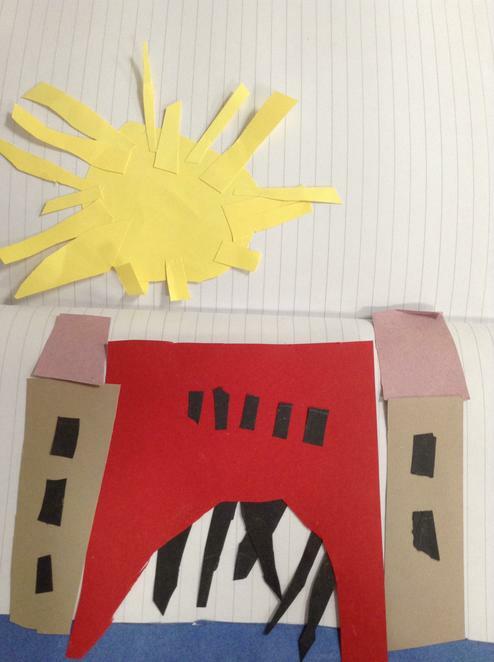 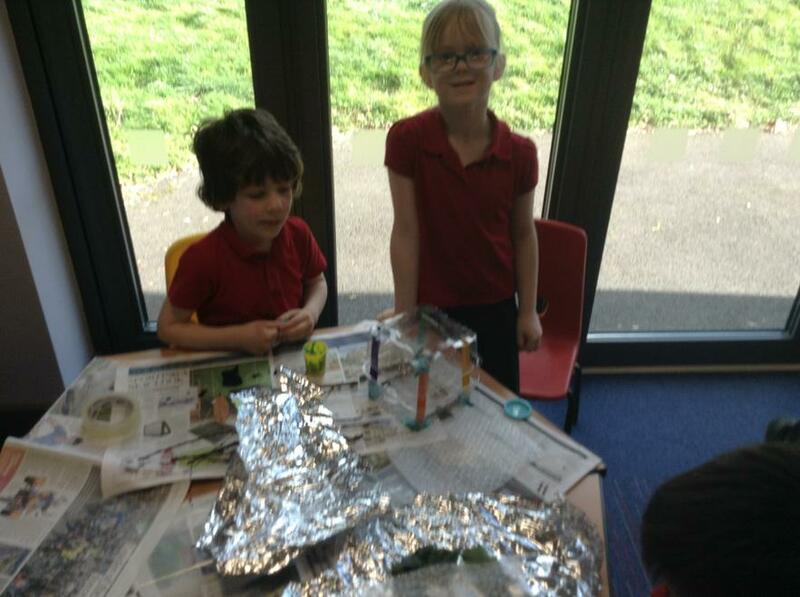 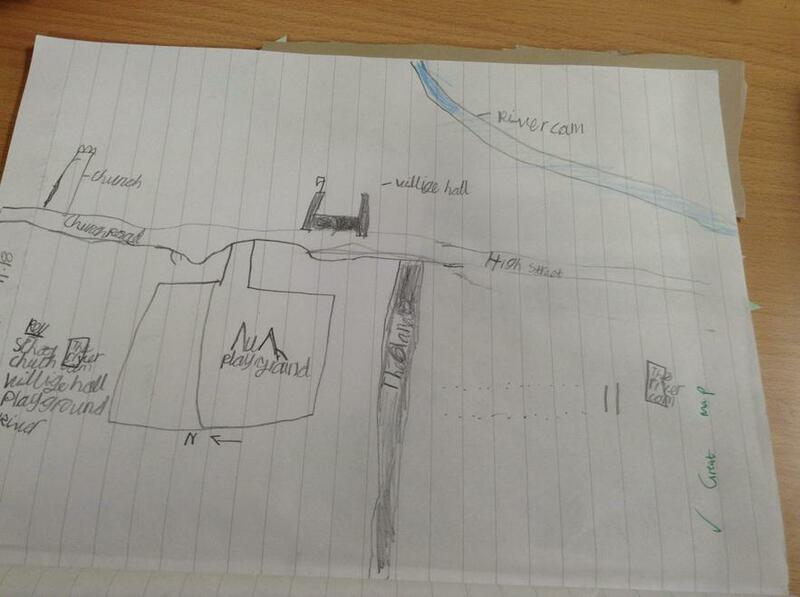 As part of our topic, we have been looking at the river Cam and its bridges. 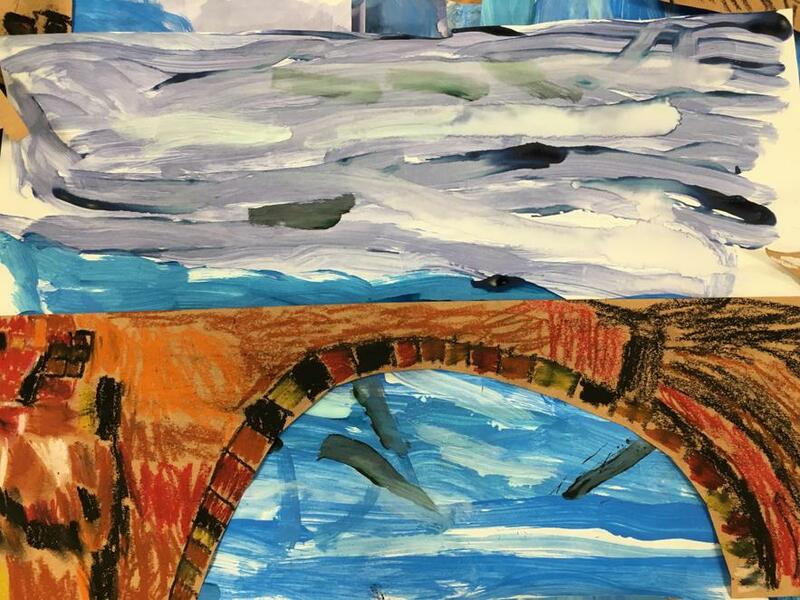 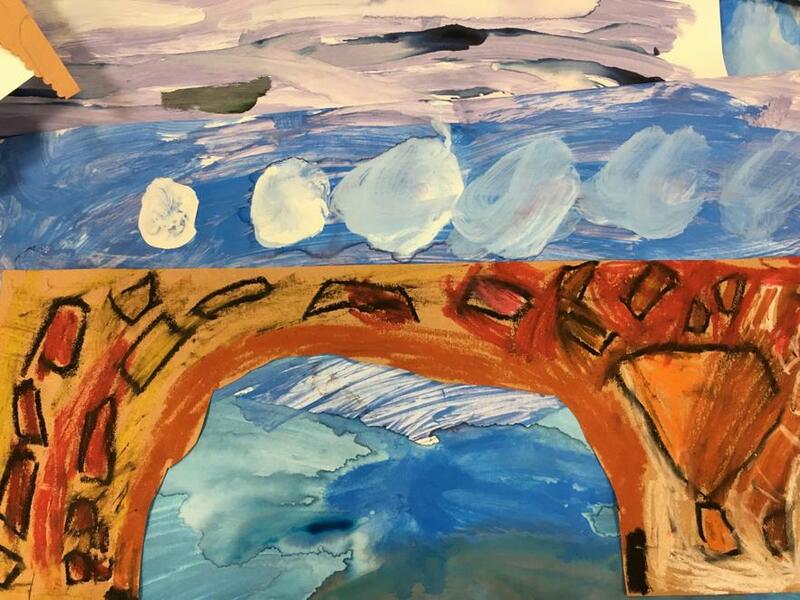 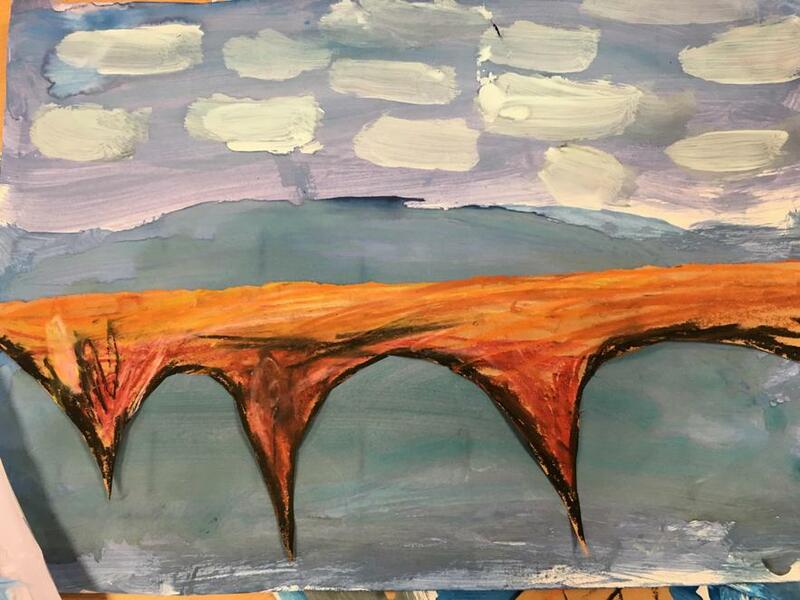 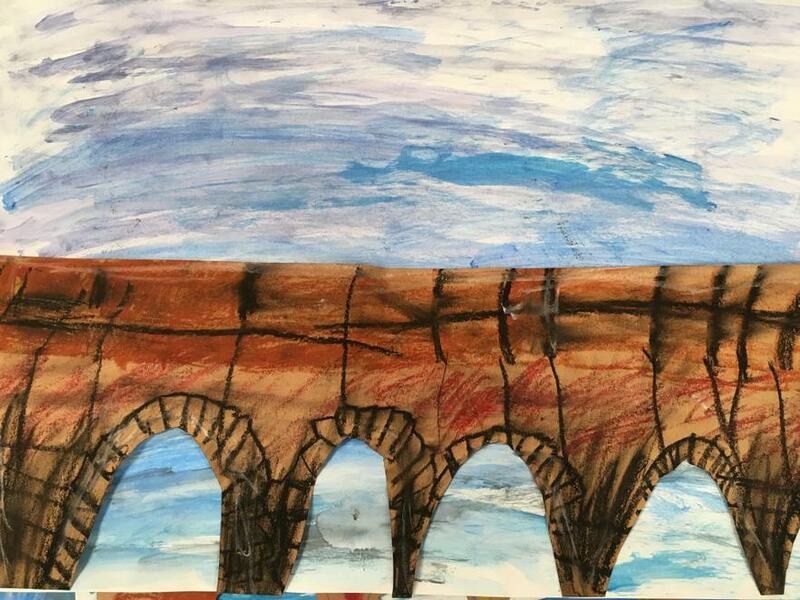 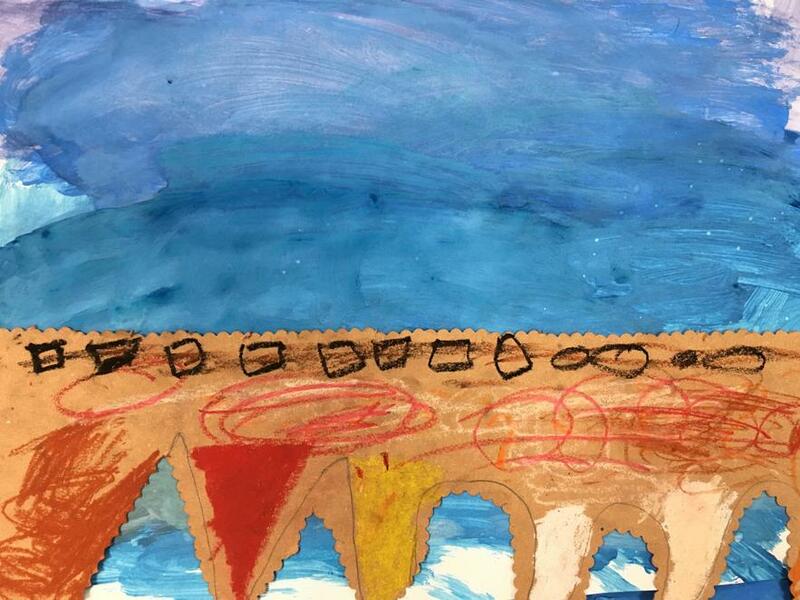 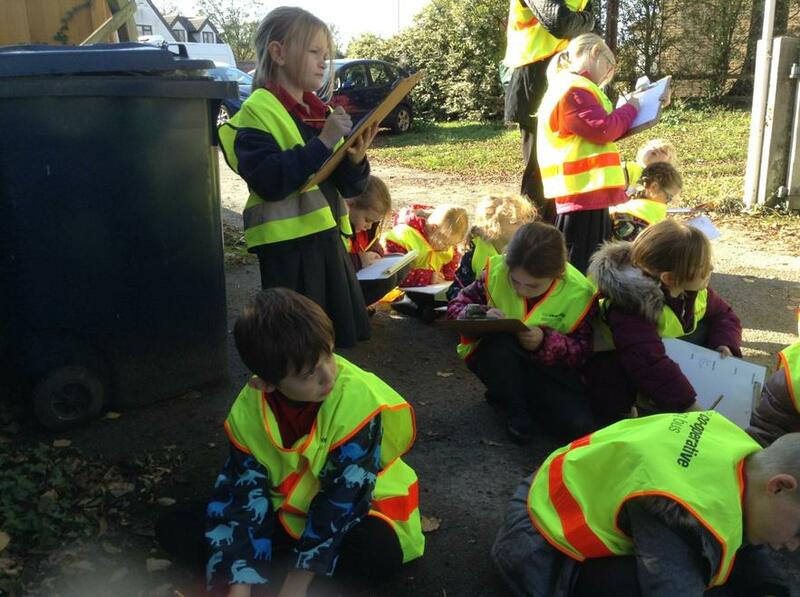 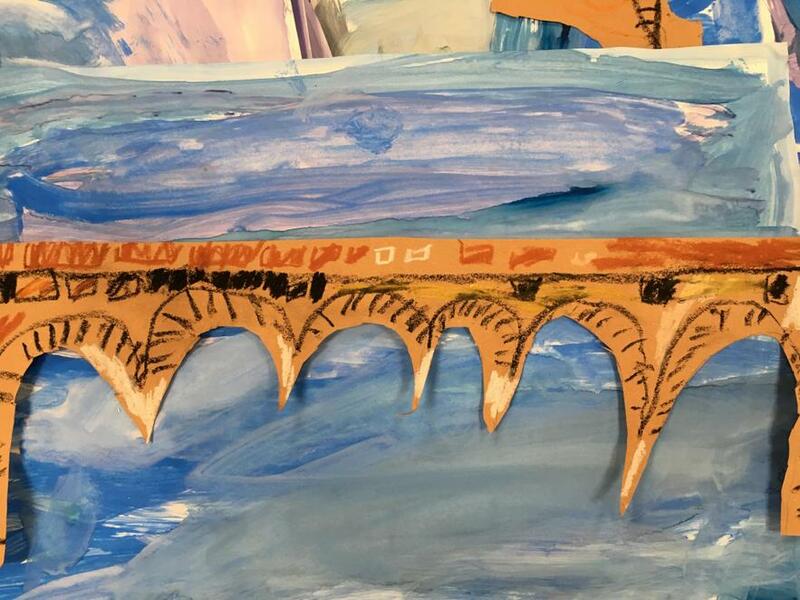 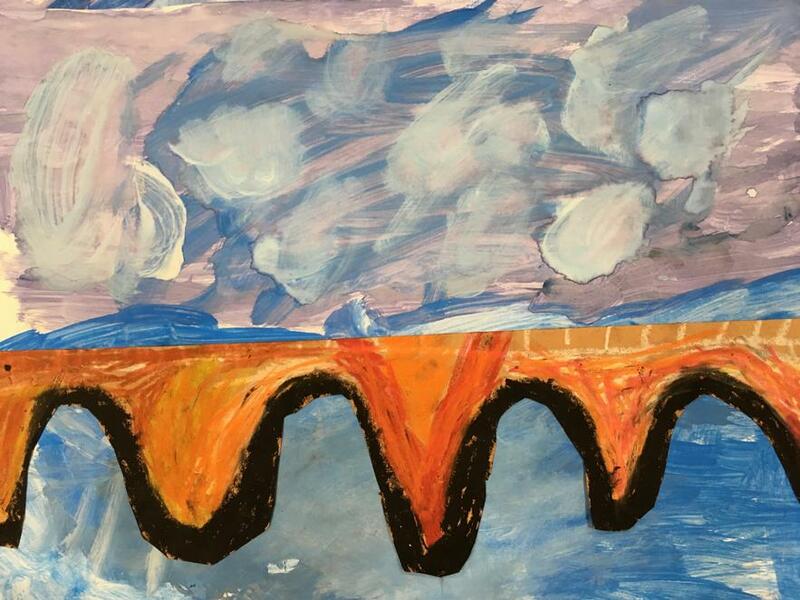 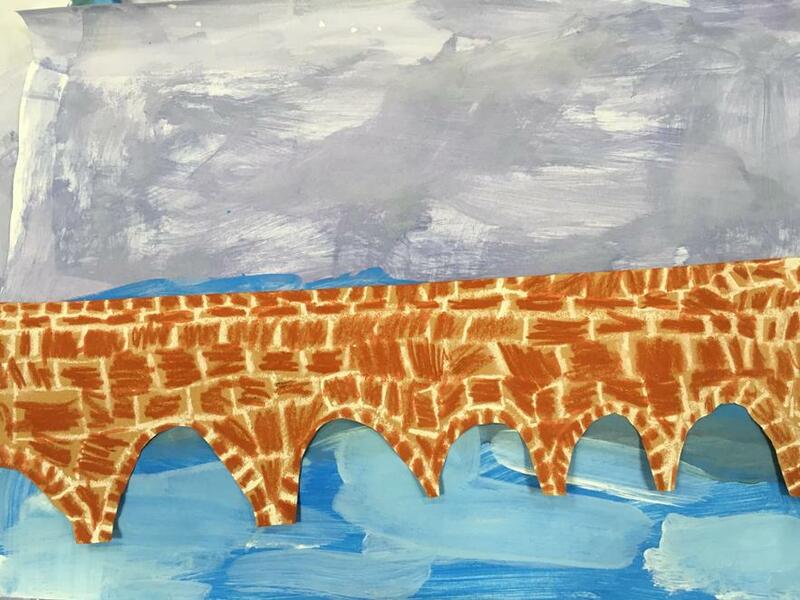 We produced stunning river and bridge pictures using paints and pastels. 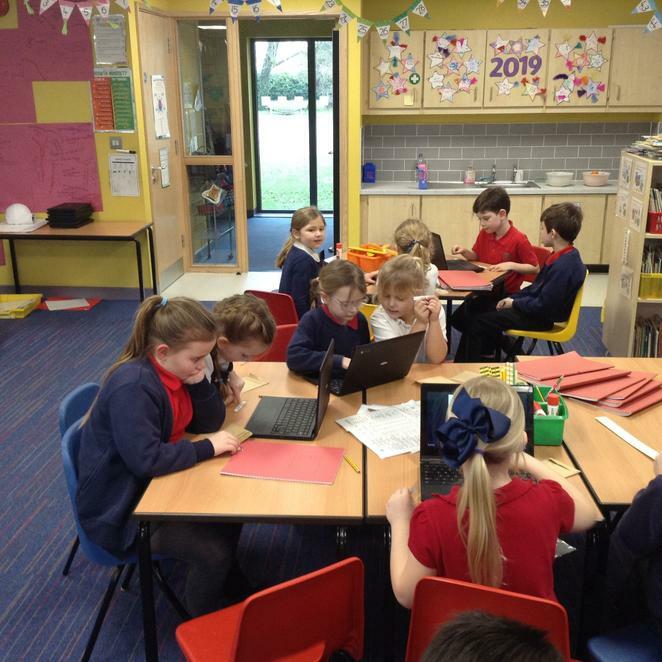 In English we are still working on autobiographies and we are enjoying sharing funny memories and lovely photos. 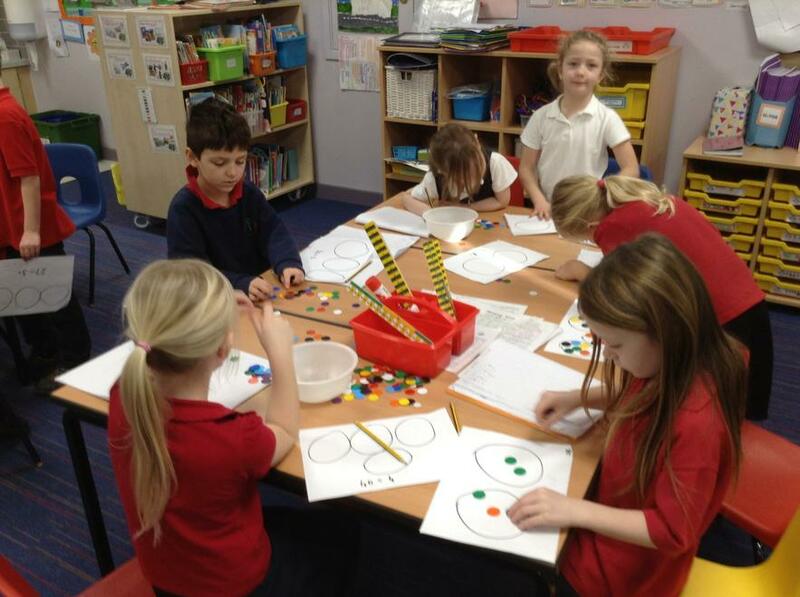 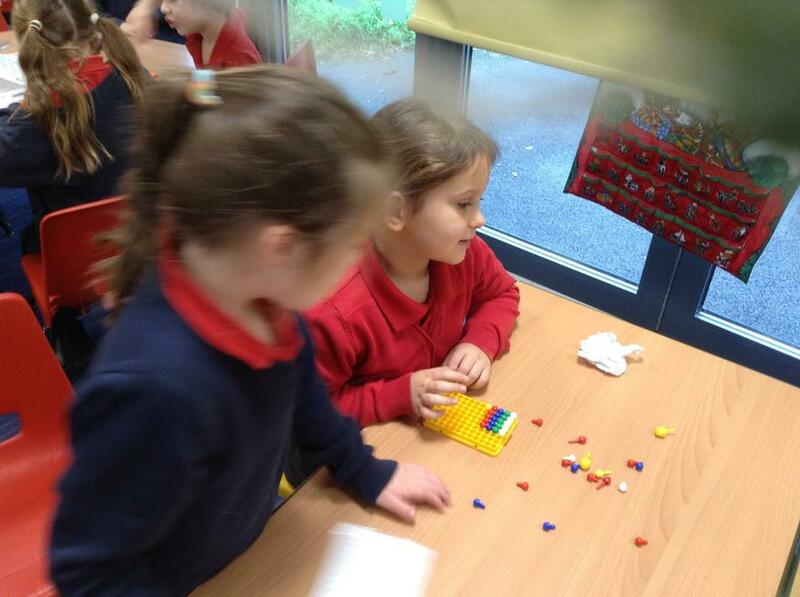 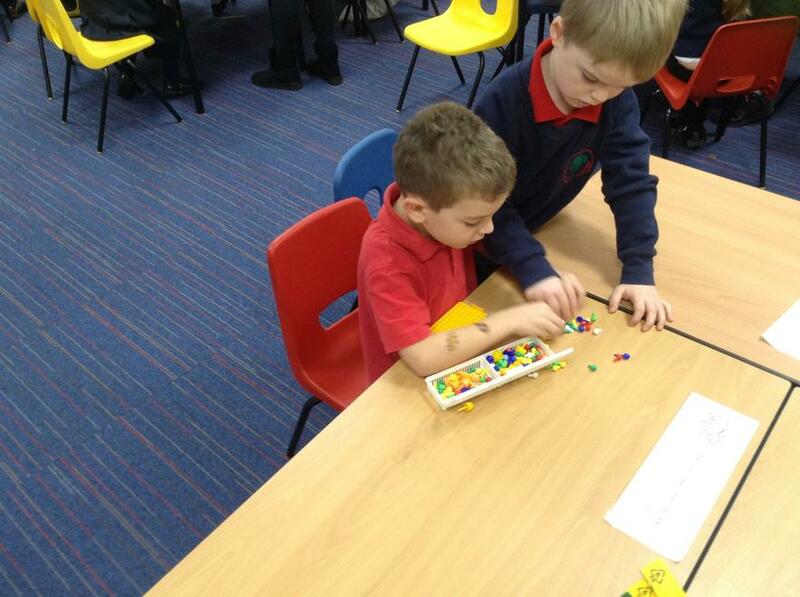 We are counting in steps in Maths and enjoyed investigating some patterns prompted by a Maths story. 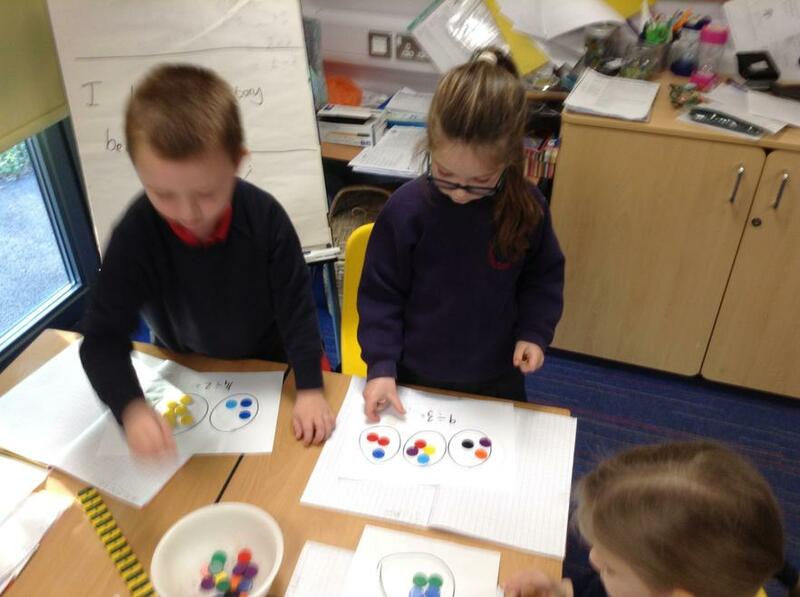 We also used our number knowledge to spot the odd number out. 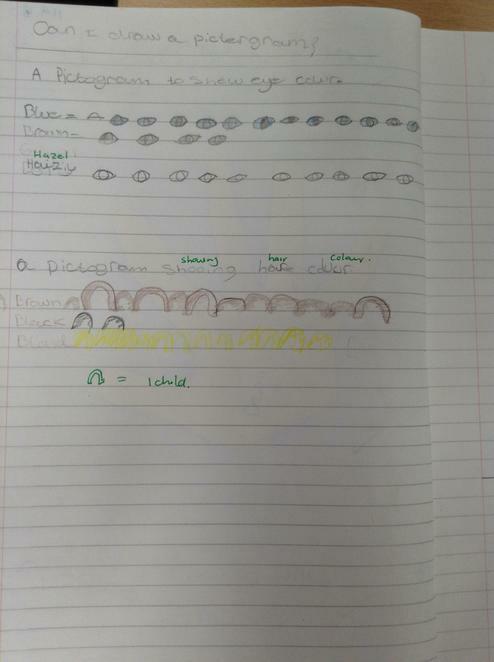 In Science we decided what is living and what is non-living. 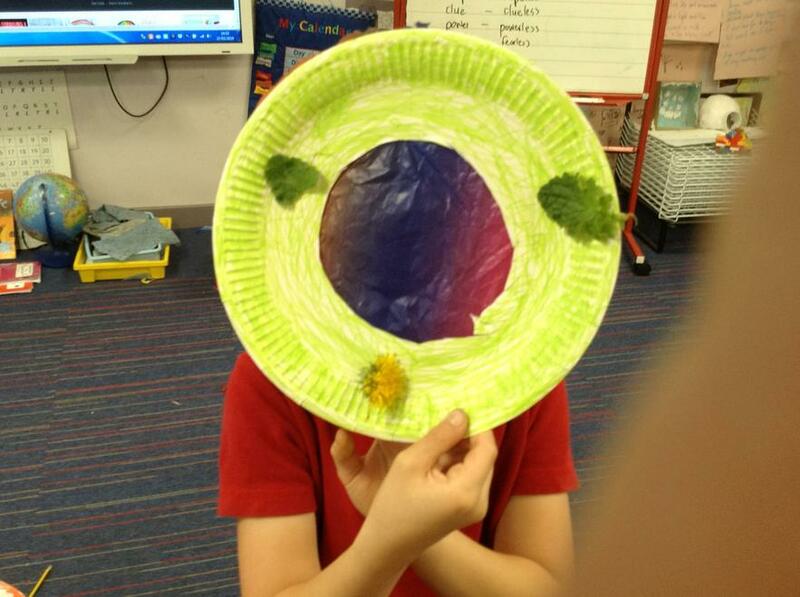 We listed the features of a living organism and made up actions to help us remember them. 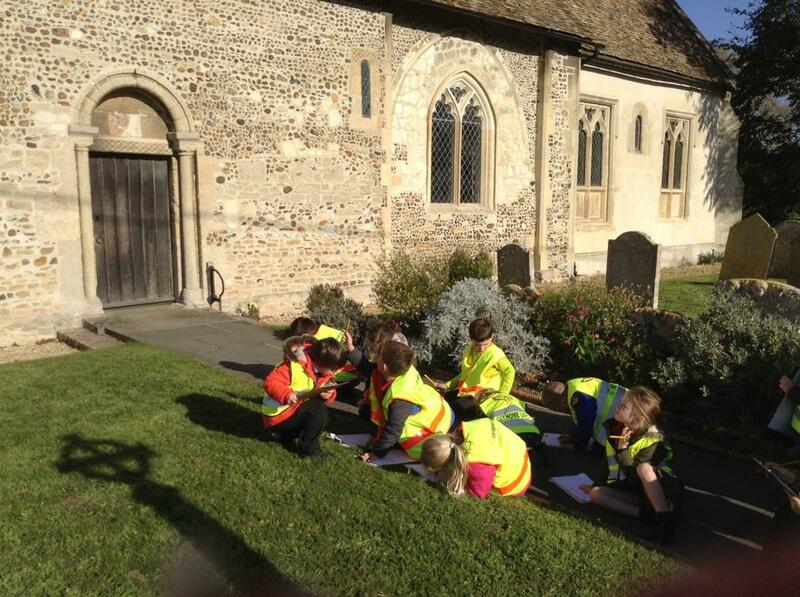 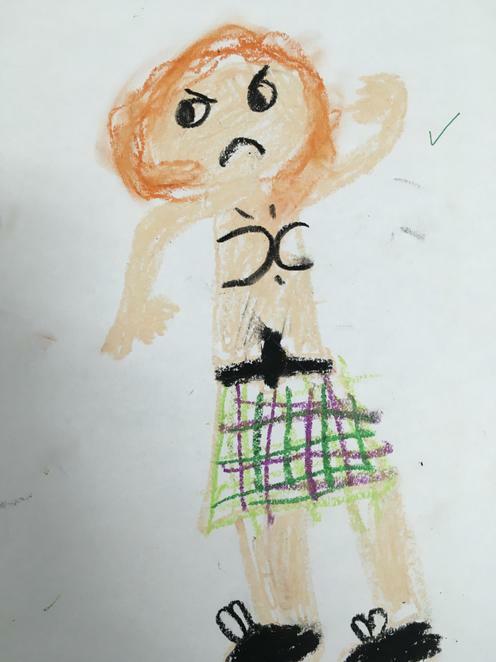 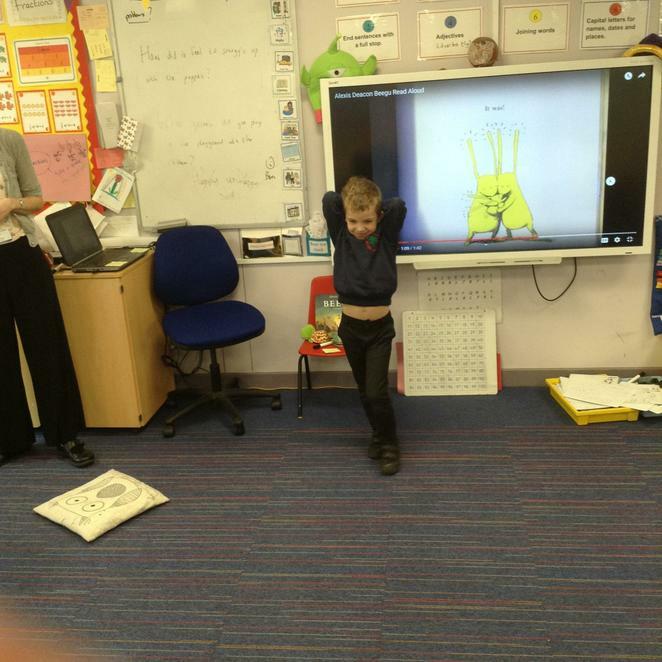 We also compared our bodies and drew a pictogram with the information we gathered. 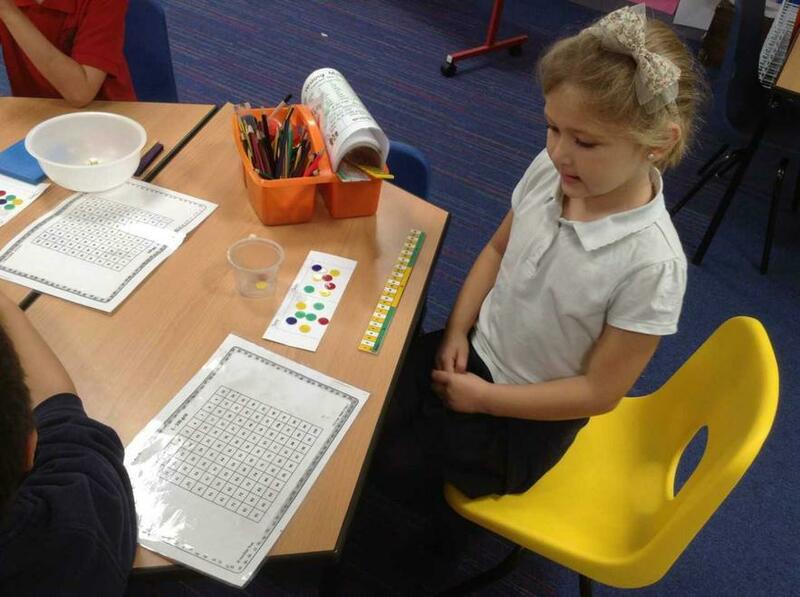 Counting in steps, Spot the odd one out! 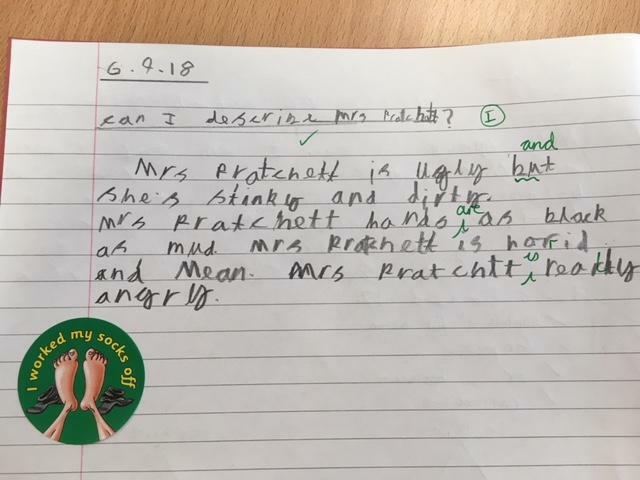 We read a excerpt of Boy by Roald Dahl involving the rather horrid Mrs. Pratchett. 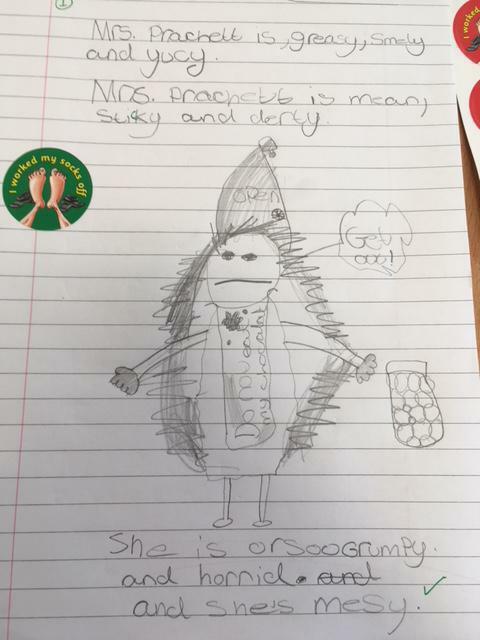 After discussing the descriptive language used, we drew a picture and described Mrs. Pratchett. 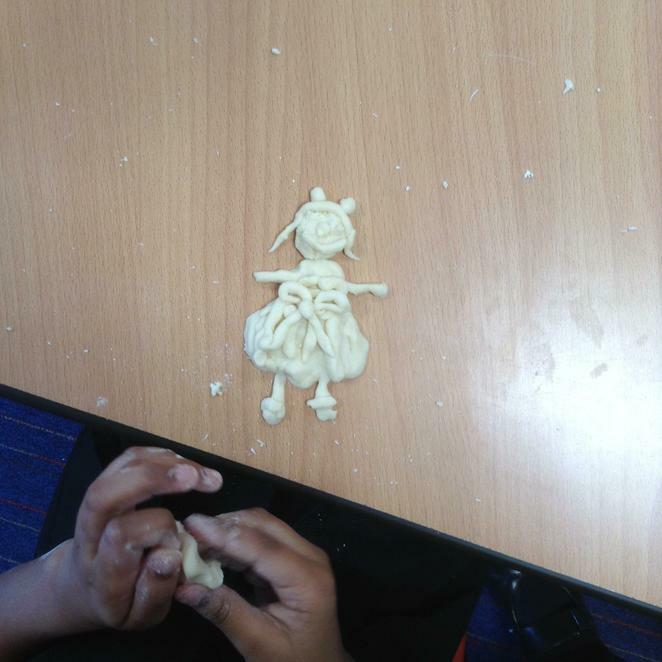 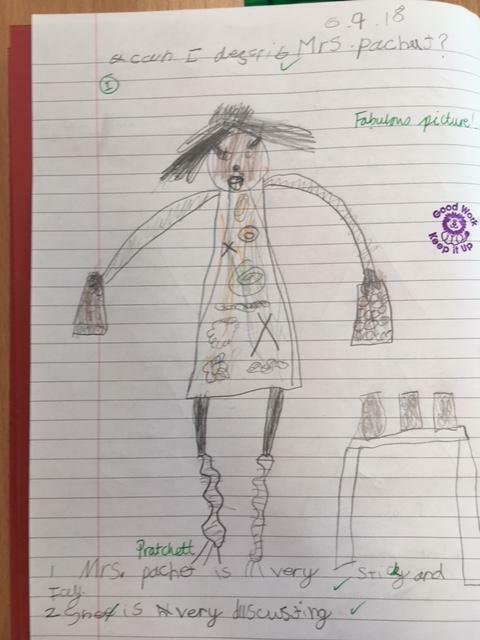 We all agreed that we would not want to buy sweets from her shop! 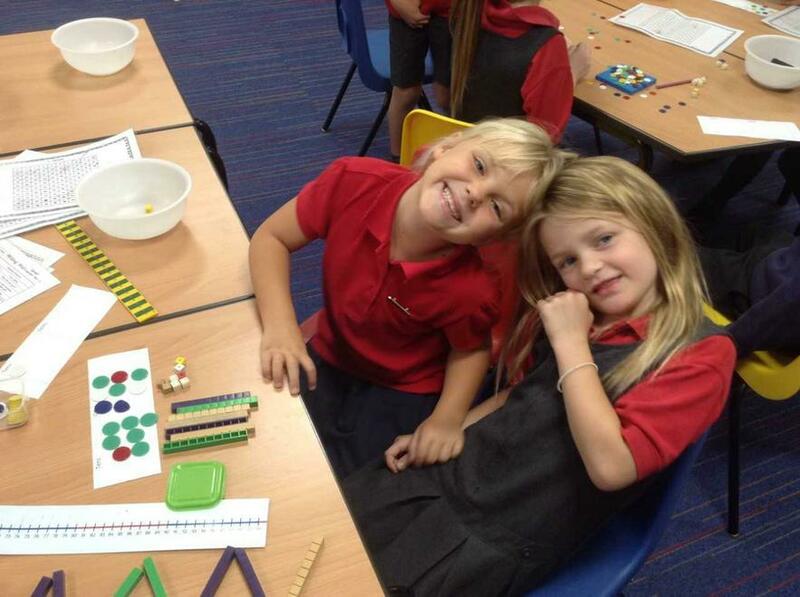 Welcome to our new Year 1s and welcome back to our very old Year 2s! 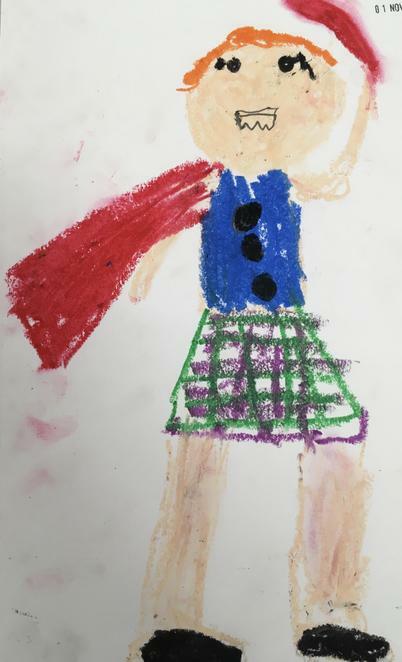 We hope that everyone had a super summer and are all ready to have a happy, hard-working and fun year. 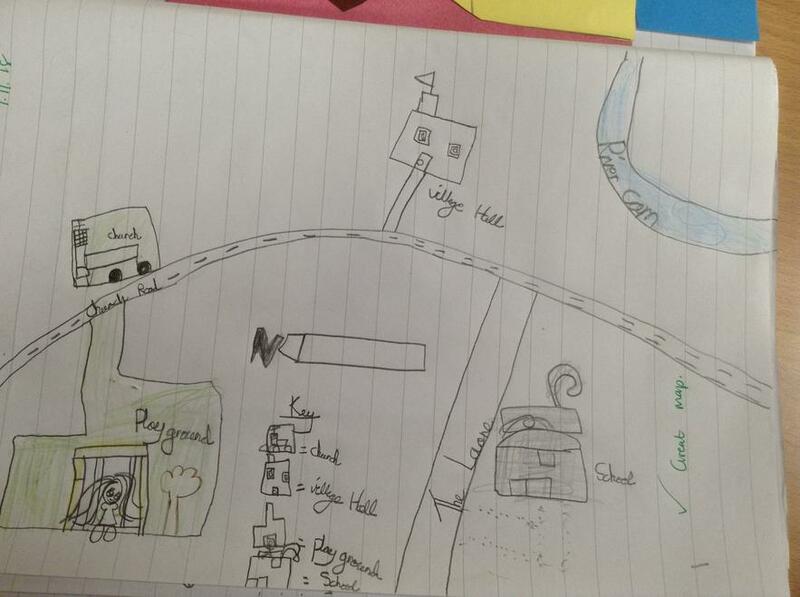 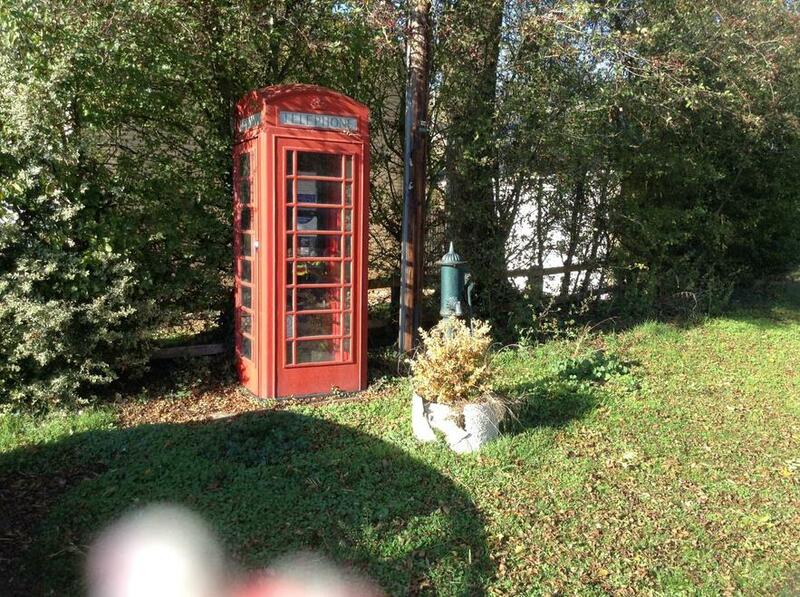 Our topic this half-term is going to be 'Myself and Where I Live'. 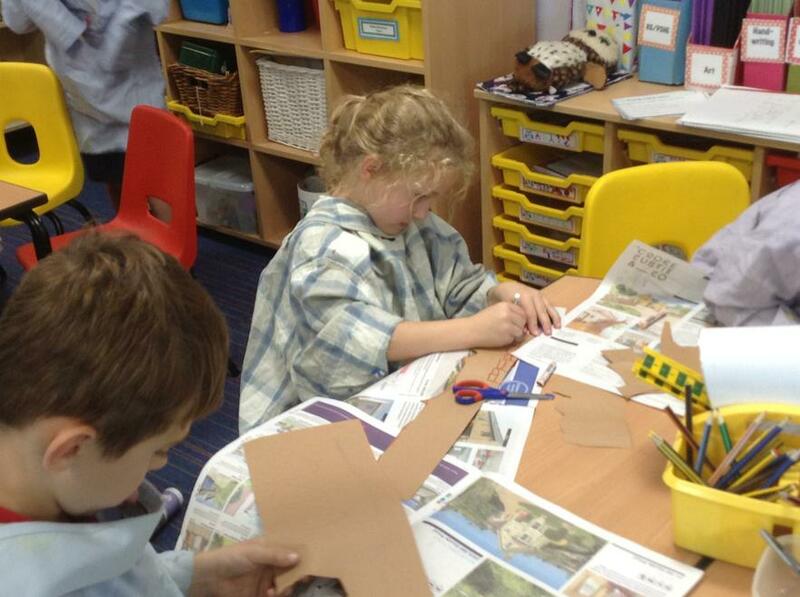 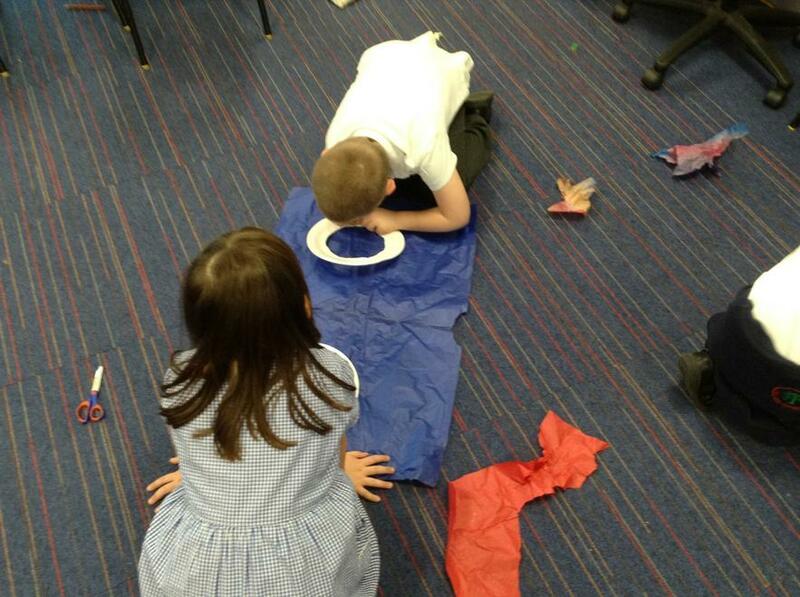 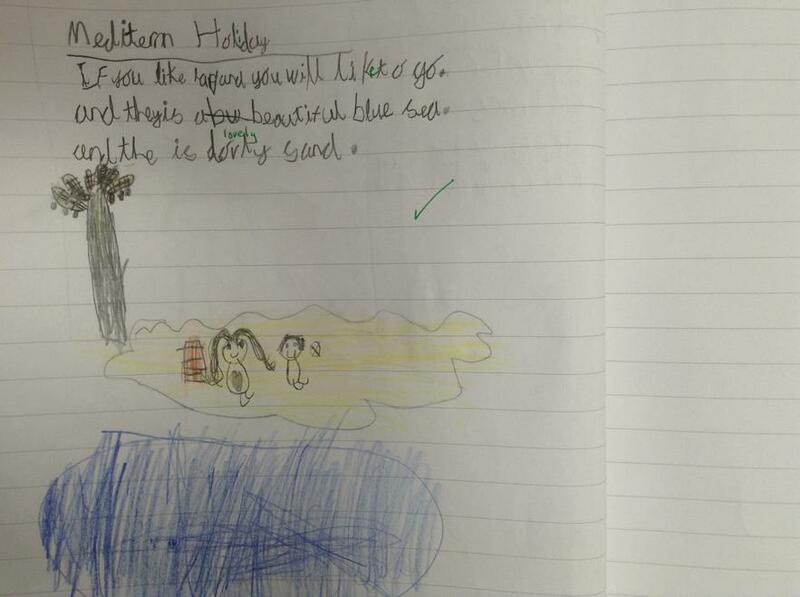 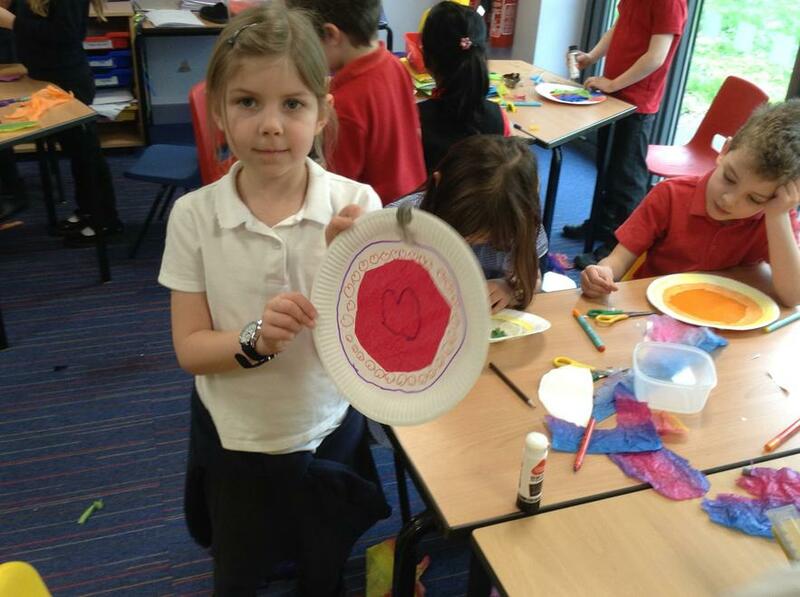 We will also be looking at Britain and writing our own autobiographies. 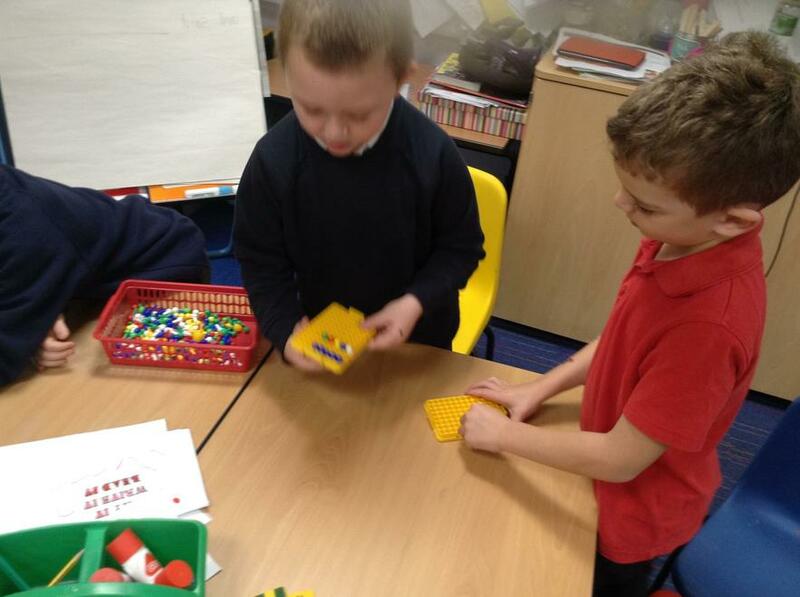 In Maths, we will begin with place value. 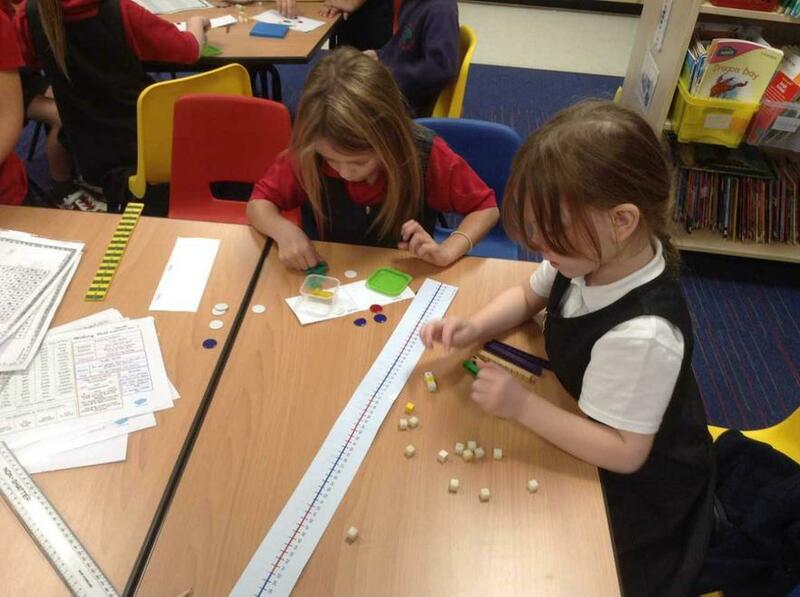 Year 1 will be starting off counting forwards and backwards in 1s from any given number and counting in twos and Year 2 will be counting forwards and backwards in steps of 2, 3, 5 and 10 from any given number. 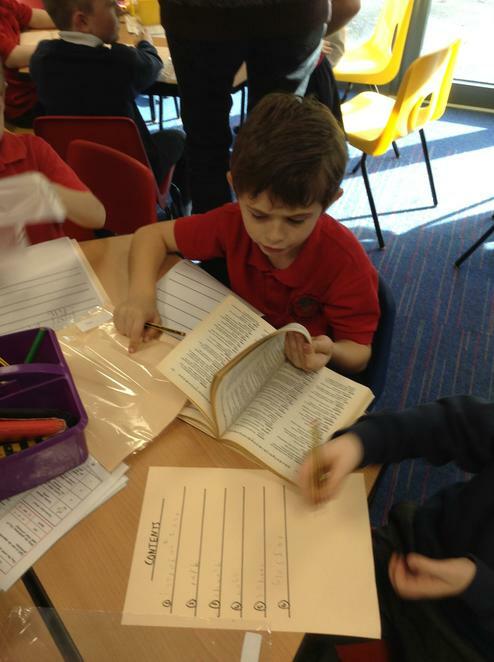 Reading records in school every day. 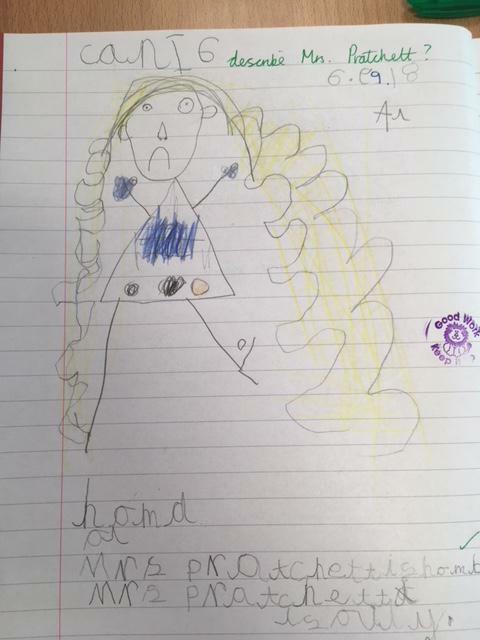 Please ensure that when you read with your child you fill in their record. 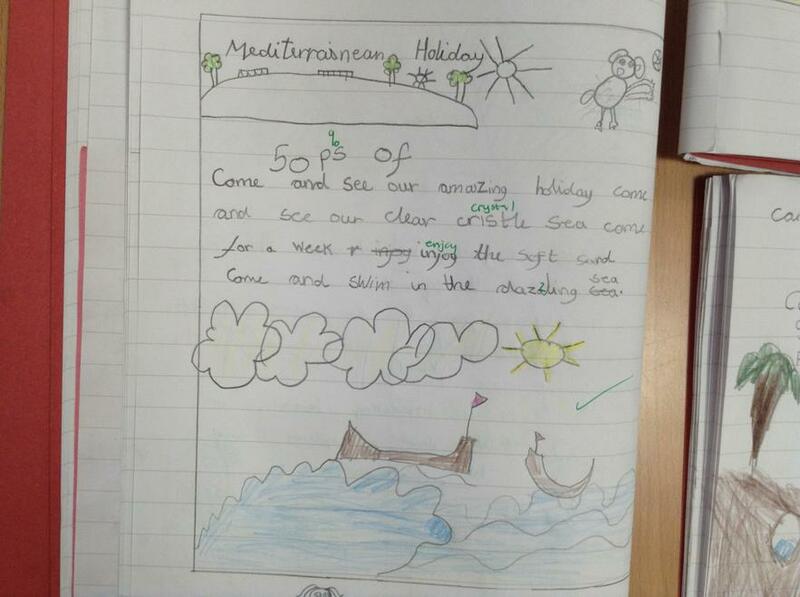 Homework will consist of a weekly MyMaths activity and a weekly SPaG (Spelling, Punctuation and Grammar) activity. 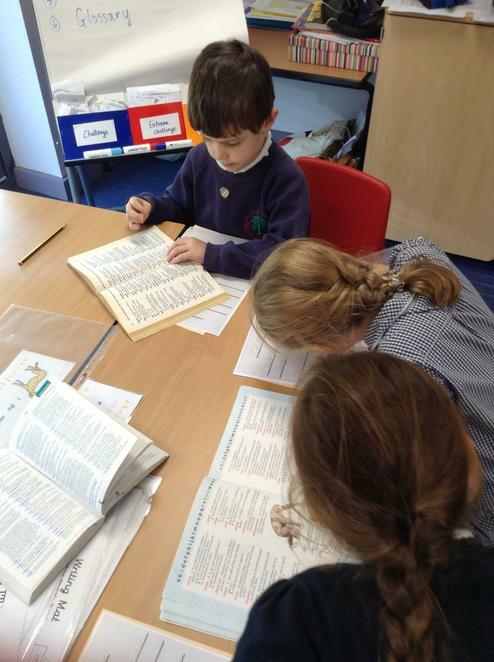 Last year it was fortnightly, so please note the change! 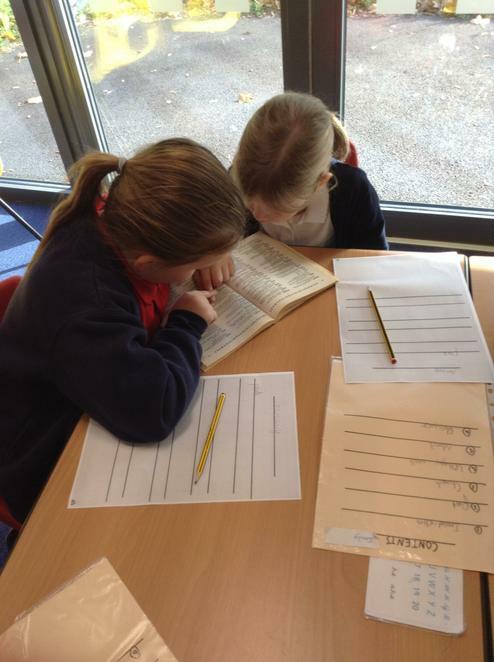 Learning Menu homework - you will receive a sheet detailing additional activities, two of which should be complete each half term. 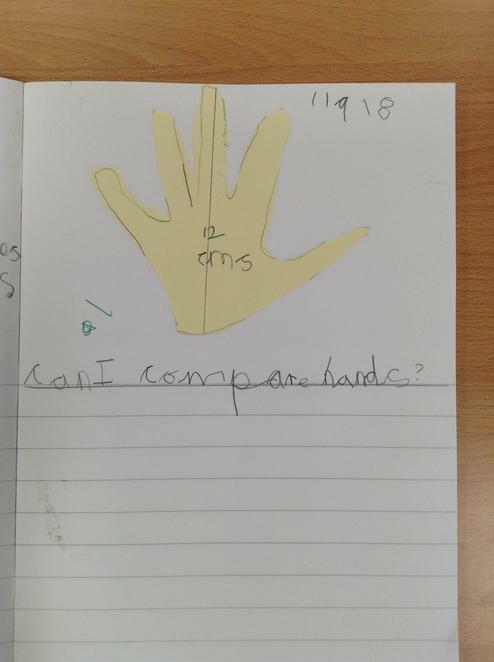 More can be done if you like! 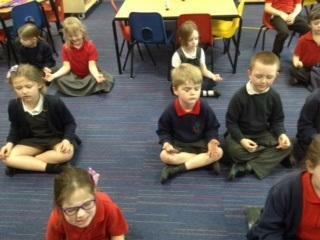 Learn by Hearts - please practise these at home with your child. 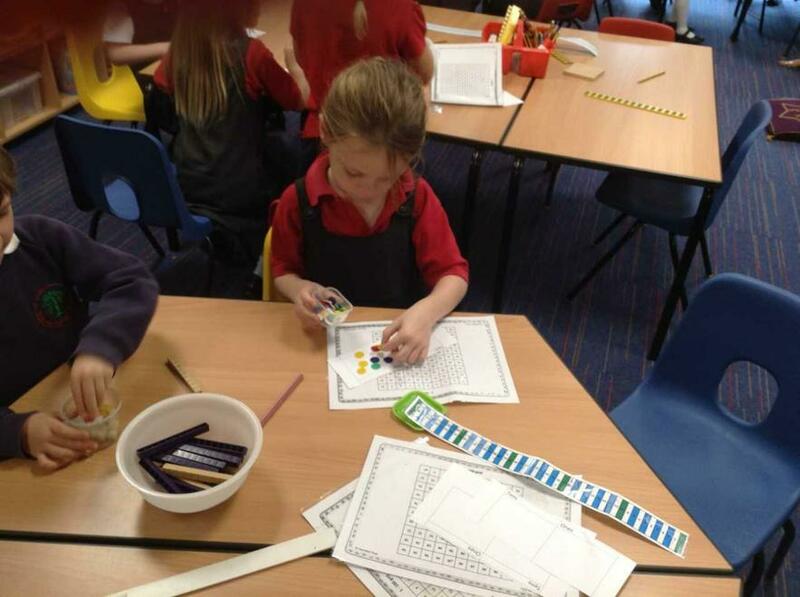 They will be updated termly.